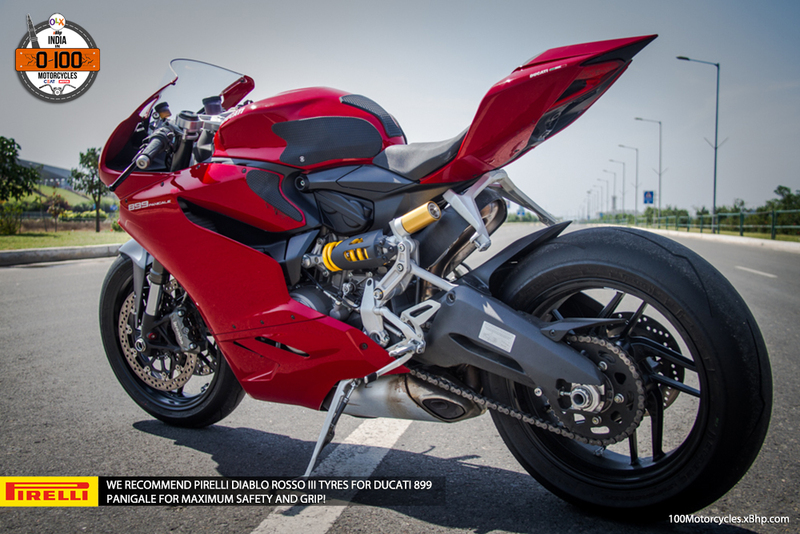 Buy a used Ducati motorcycle on OLX. 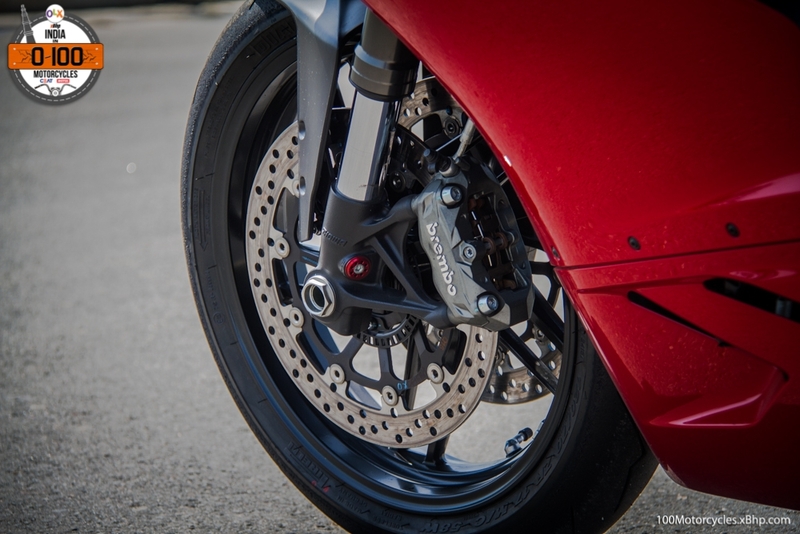 Thinning the boundary between a Supersport and a Superbike, that’s exactly what Ducati did with their ultra magnetic Panigale 899 (and now the Panigale 959). 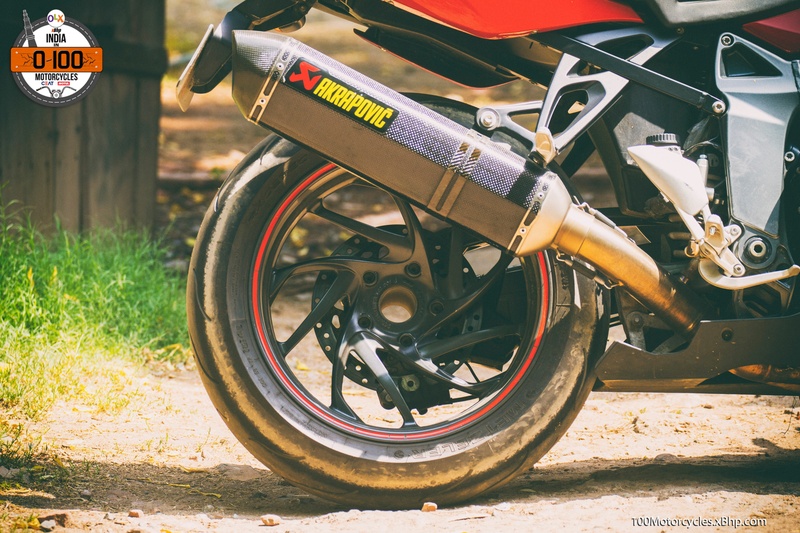 But Ducati isn’t the only one who has done this, Suzuki has long been making the GSX-R750 which is regarded as the motorcycle having a perfect combination of Superbike like power with the agility of a Supersport. Running low on budget? 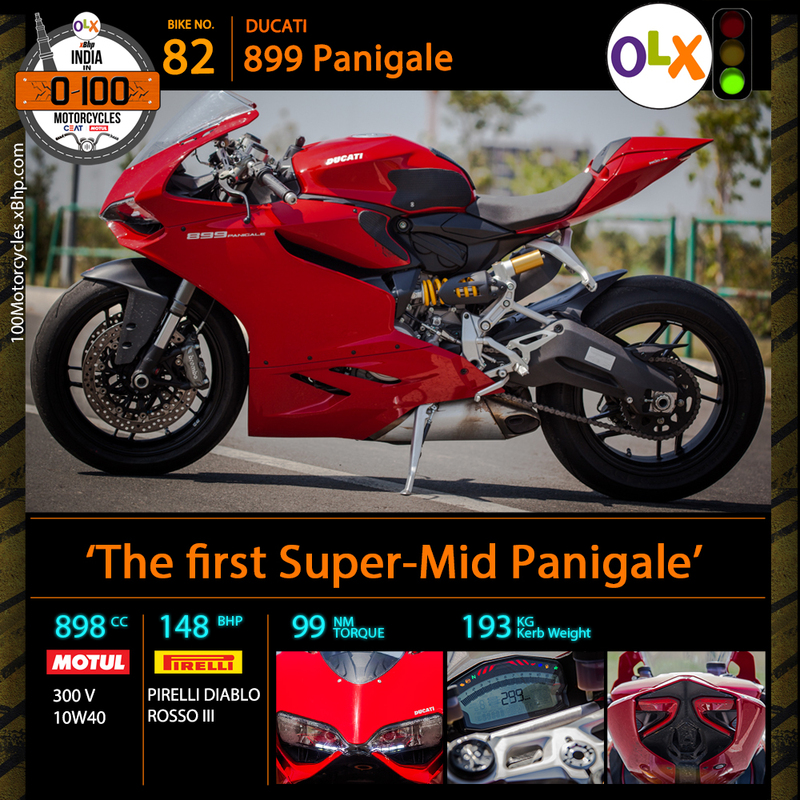 buy you favourite Ducati motorcycle on OLX. 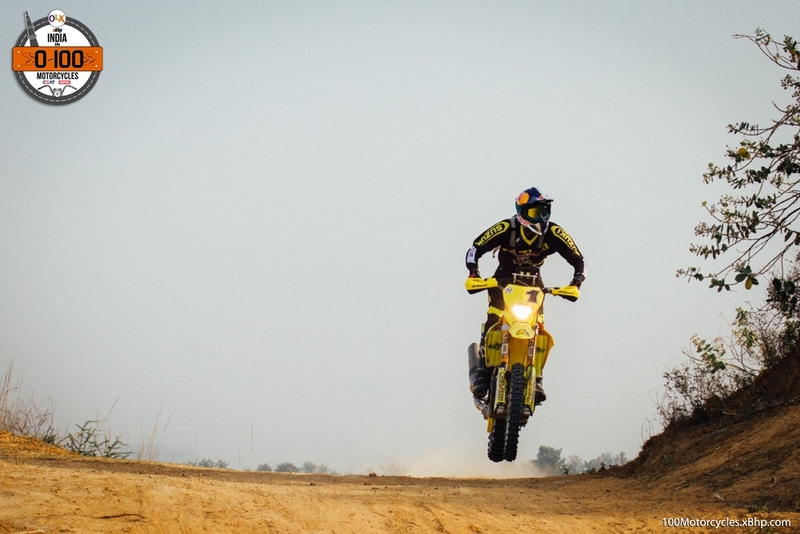 When it comes to making motorcycles for people, things become different than racing. 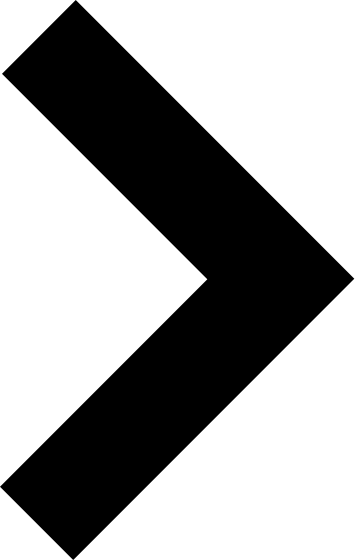 Categories that are always clearly defined in racing, as per the cubic capacities, become broader and broader outside of the track. And this is something which has become increasingly apparent over the last 10 years. 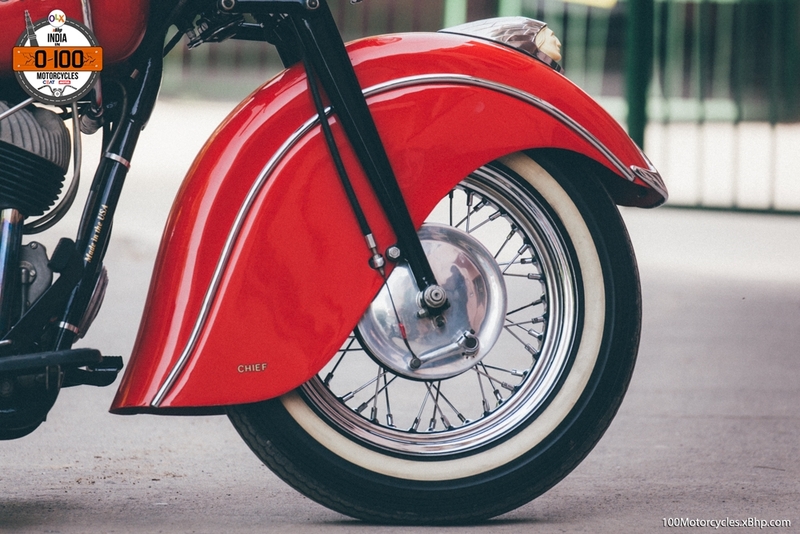 Many people out there looking to buy a motorcycle won’t mind what segment it falls into as long as it satisfies their requirements. And manufacturers understand that and try their best to come out with offerings that have the best mix of elements that more than one segment has to offer. This means categorizing motorcycles become rather confusing at times. 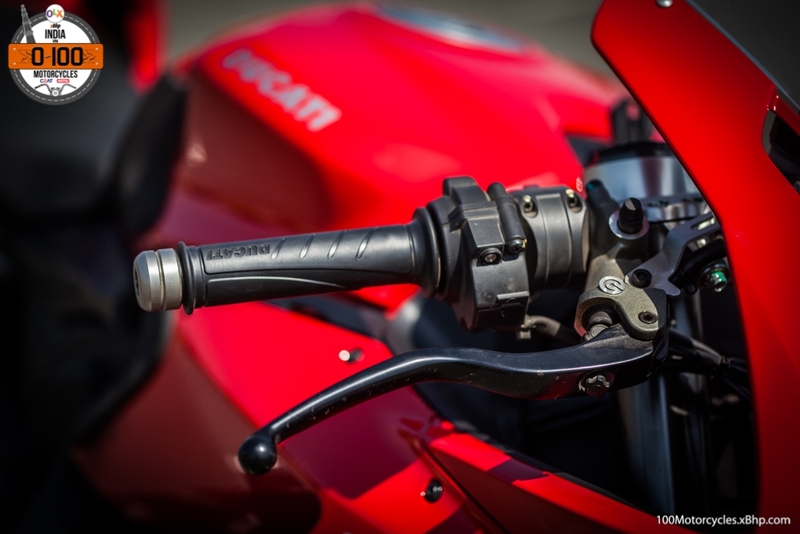 Ducati’s Panigale 899 is that kind. It is clearly out of the Supersport (600cc) segment with that 898cc engine, however, this also means it is not a Superbike either. It is somewhere in the middle. 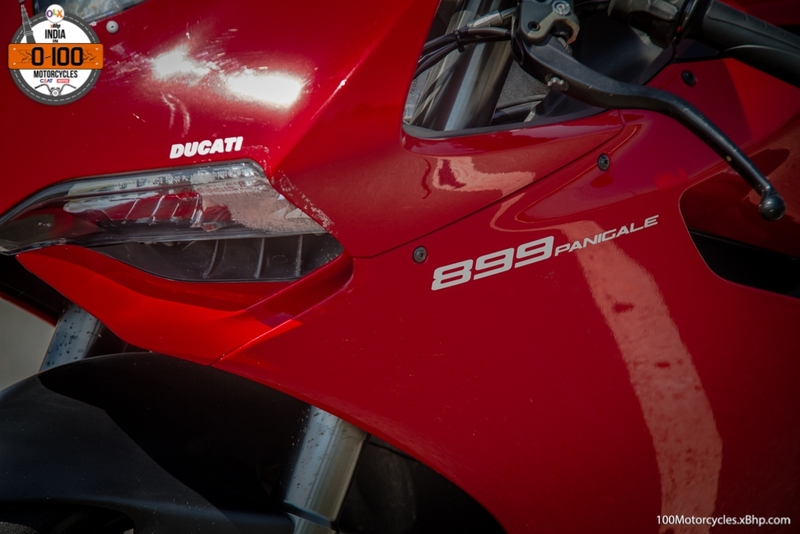 Today, the 899 has been succeeded by the Panigale 959, but even before that, the 899 was considered one of the best compromises between a 1000cc litre-class and a 600cc sportbike. 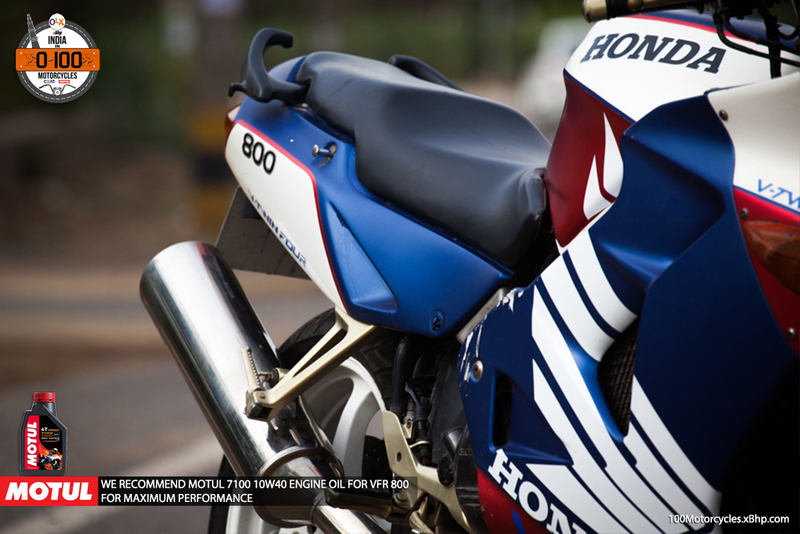 It produces 148 BHP at 10,750 RPM and 99 NM of torque at 9,000 RPM while weighing an impressive 193 kg ready-to-ride. 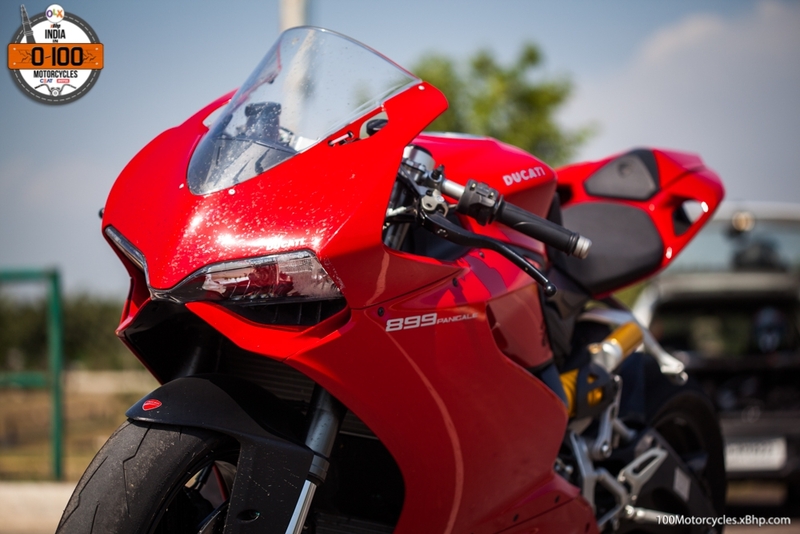 Launched in 2013, the Panigale 899 is one of the most successful motorcycles to ever come out from Italy. 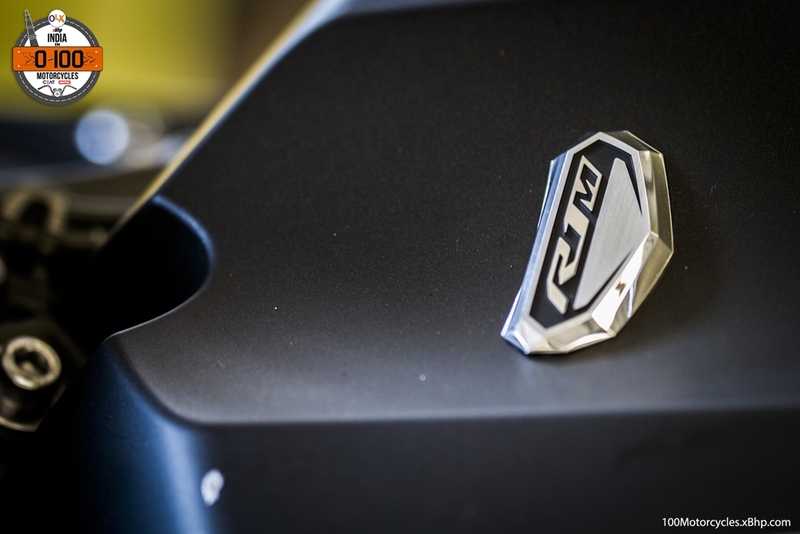 It is based on Ducati’s new approach towards designing minimal chassis and making the engine a core member of it. Unsurprisingly, the company has picked up this philosophy from their previous generation MotoGP race bike. 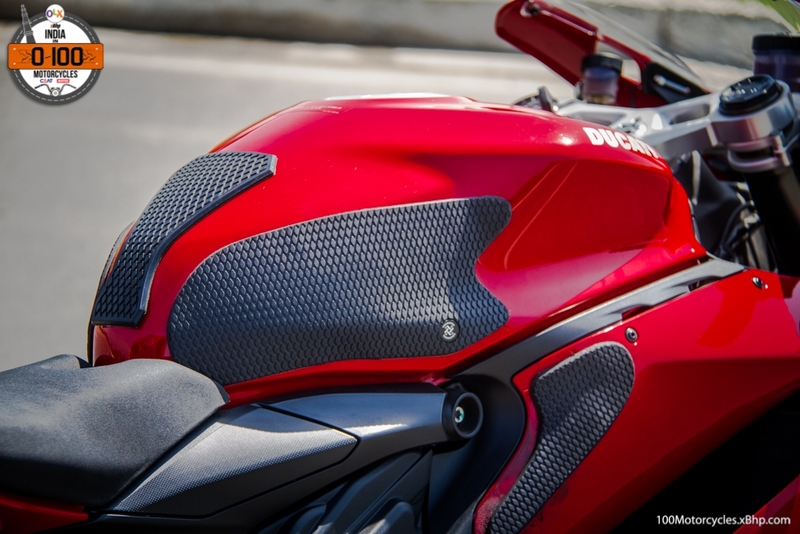 The Panigale lineup is entirely different from any full-faired sportbike that Ducati has ever put into production. 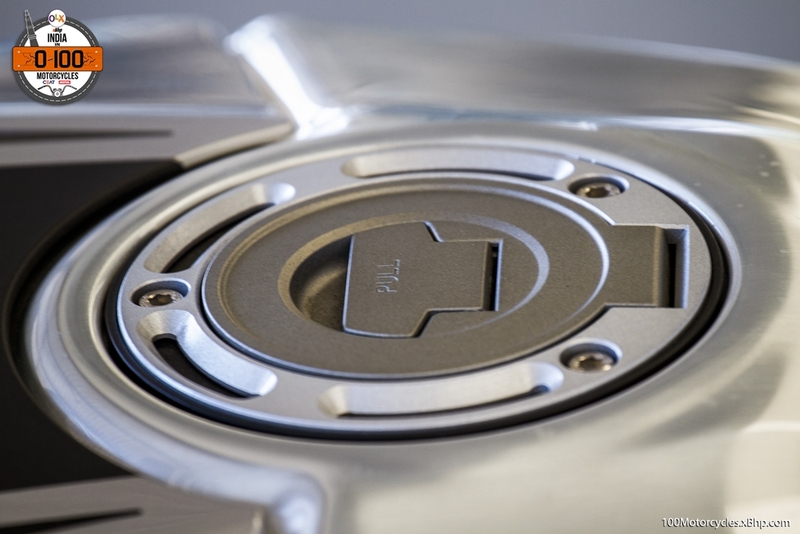 From the liquid-cooled L-twin engine to the design and to the chassis, everything has broken company traditions. The entire frame (main and sub) is made of cast-aluminium and is minimalistic in design and mass. 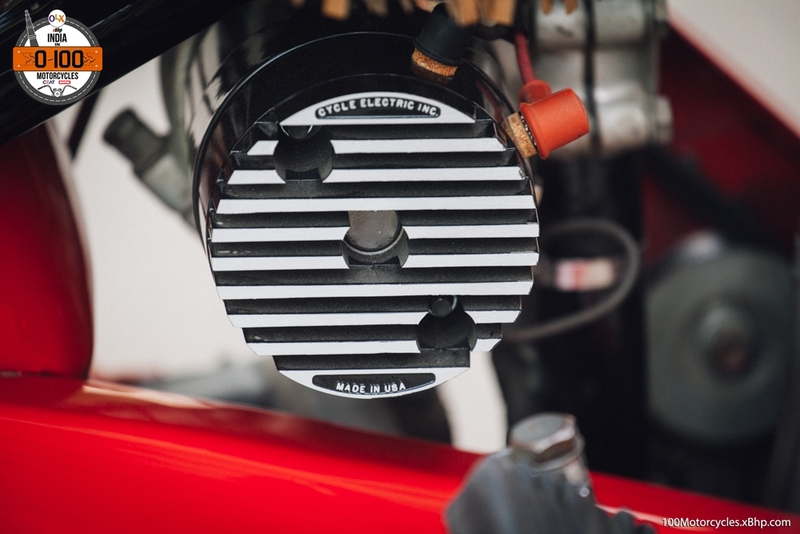 It integrates the air-box, fuel circuitry and the steering head at the front. 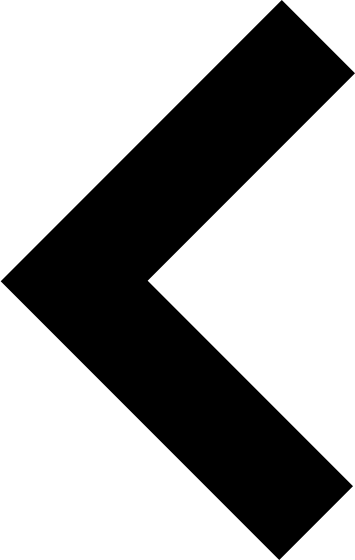 The engine is the core part of the main frame and acts as the frame itself. 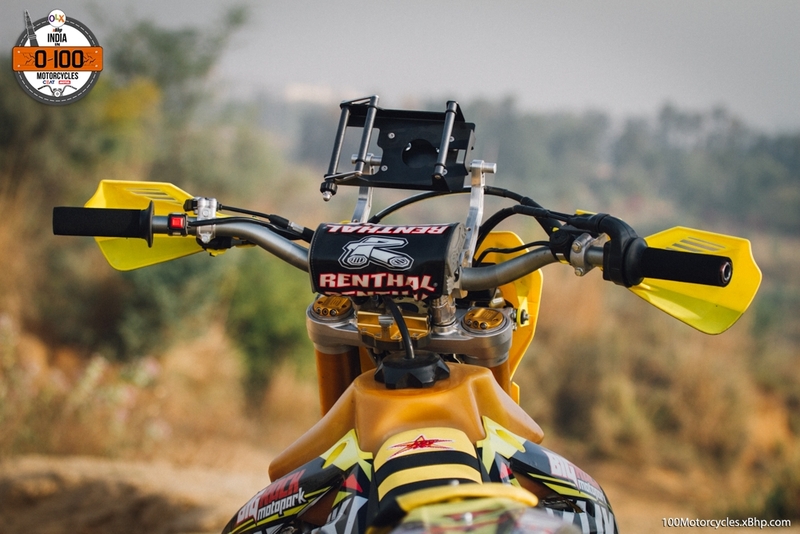 The rear sub-frame connects directly at the head of the rear cylinder. This makes for exceedingly compact dimensions and helps in keeping the overall weight low. 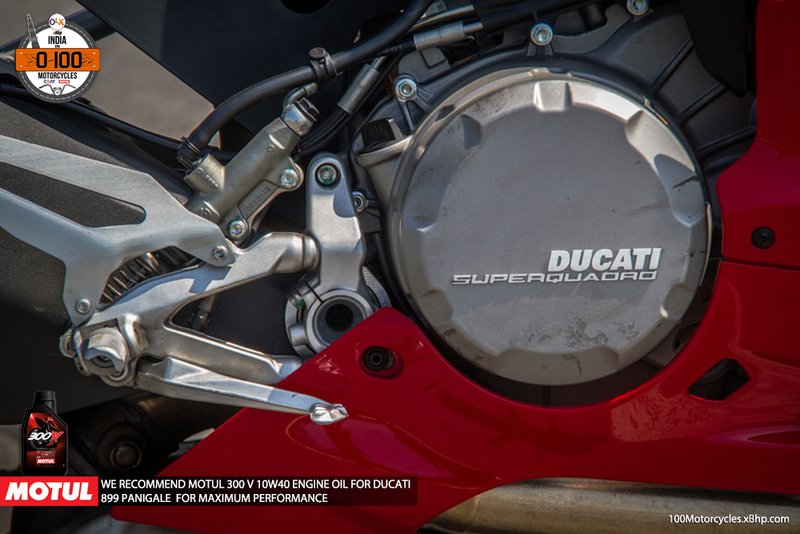 Then there’s the liquid-cooled engine giving a totally new dimension to Ducati’s middle-weight sportbikes. 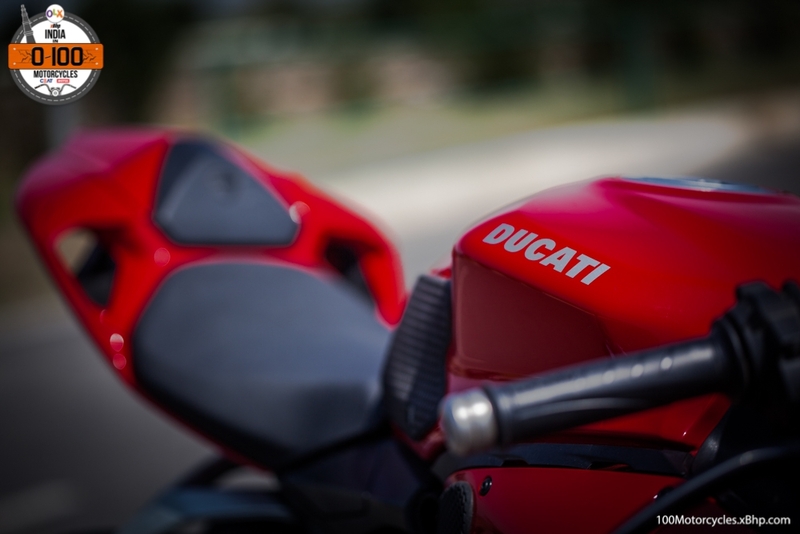 It is easily one of the best motorcycles that Ducati made. 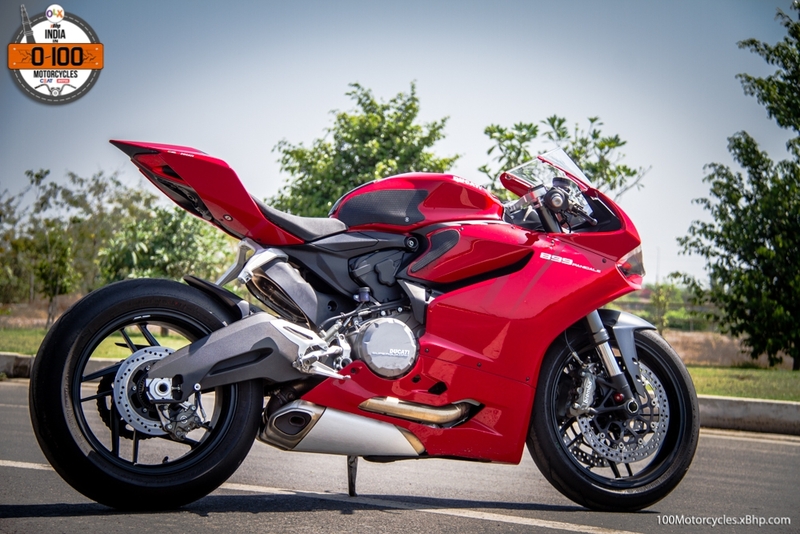 Even though it can’t compete in World Supersport and World Superbike championships, the 899 has been hugely successful in the market. 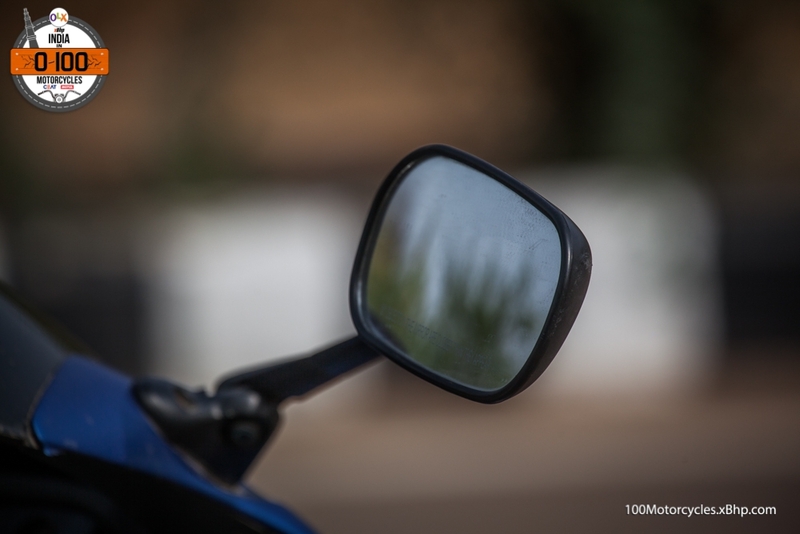 The biggest reason for that it is one of the best compromises between a 600cc Supersport and a 1000cc Superbike. 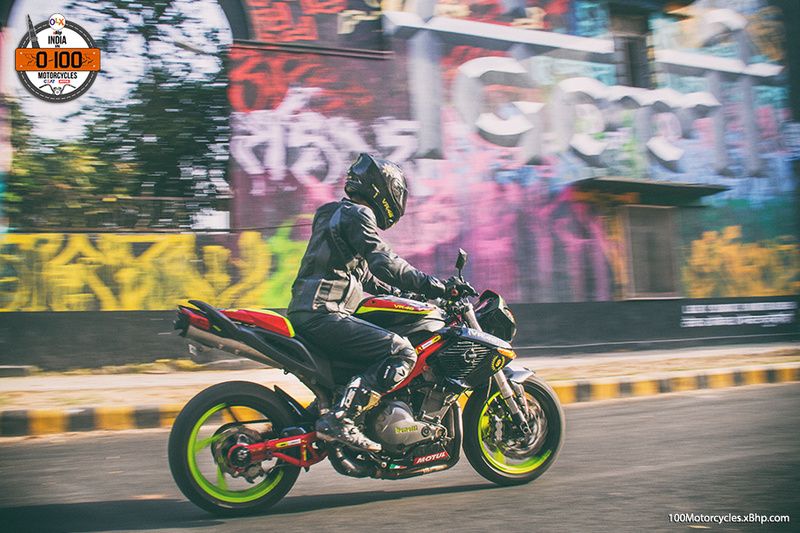 For experienced riders, the power is more manageable and it is very much capable of rubbing shoulders with the faster sportbikes on the road. 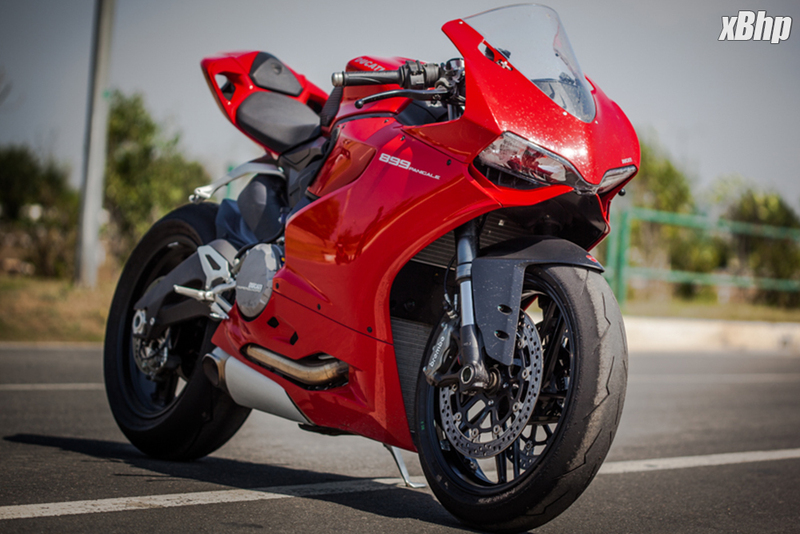 Ducati now has a successor of the 899 which is the 959 Panigale. 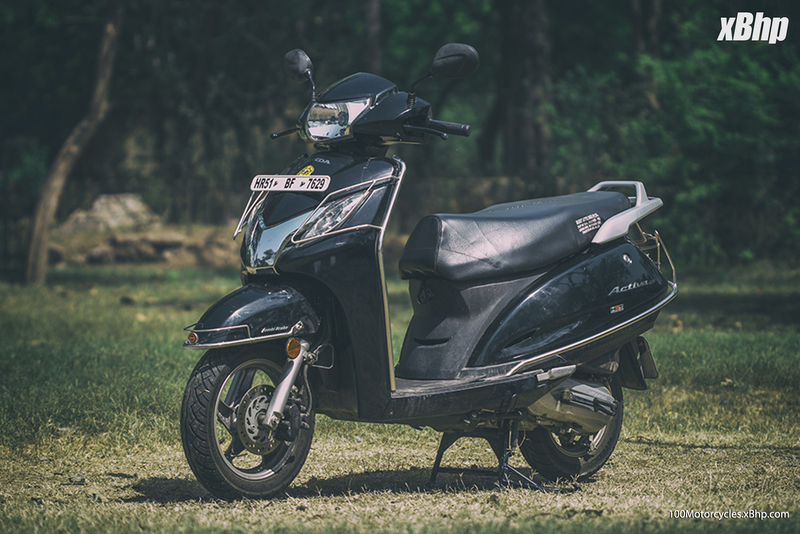 The 899 can’t be found in showrooms anymore and for anyone who would still like to have one will have to look it up on OLX as a second-hand bike. 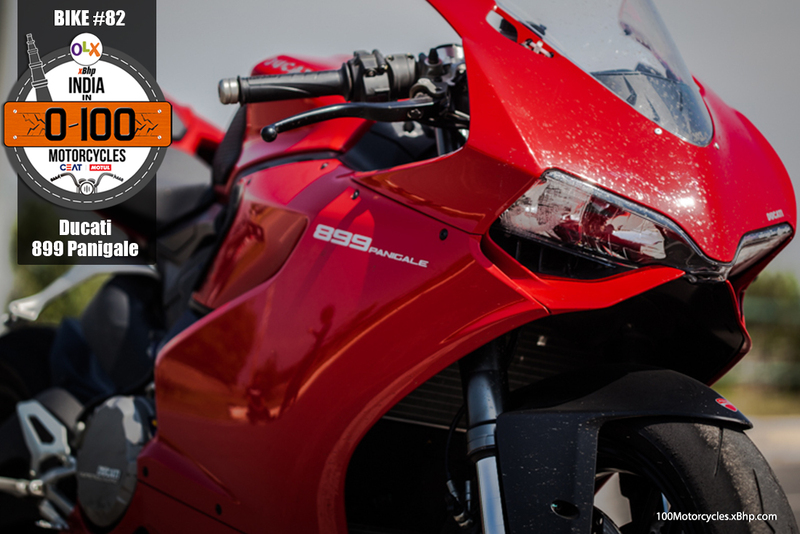 We would also like to thank Dr. Neharika Yadav for her time and letting us spend some enjoyable moments with her motorcycle, the 899 Panigale. 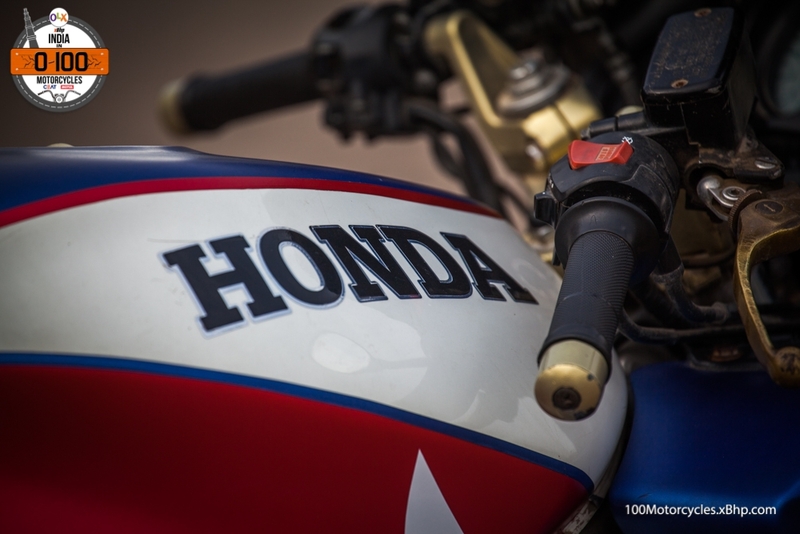 Buy a used Honda motorcycle on OLX. Think about a movie which is quite faultless in execution with the perfect cast and the matching background score, but it isn’t commercialized enough for you to consider it making it a flop on the box office eventually. Or that it is simply lacking something, an x-factor, which doesn’t excite you enough to watch it. You know it’s there and that it is probably one of the best movies you’d ever see, yet, you won’t take the plunge. You would rather prefer something more conventional perhaps. Running low on budget? 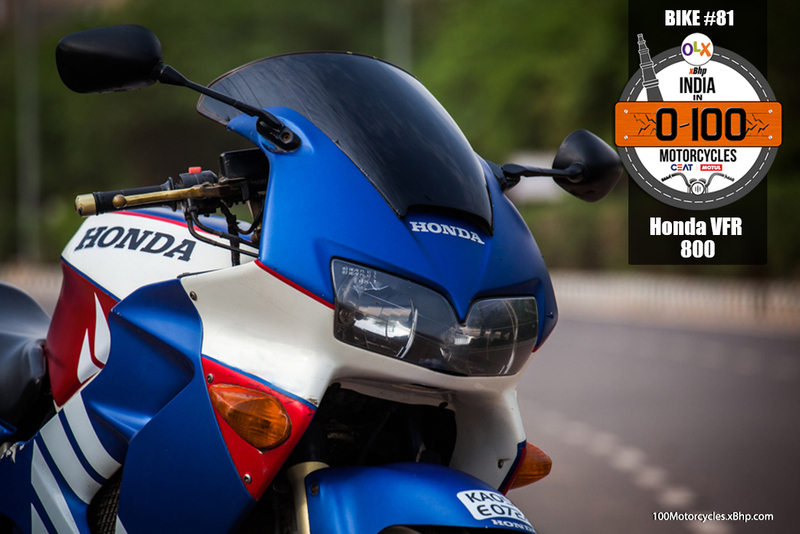 buy your favourite Honda motorcycle on OLX. VFR 800 by Honda is like that movie. It’s been quite brilliantly built, especially the latest one, with all the mechanicals and software working in harmony giving their best while the exhaust note isn’t too bad either. 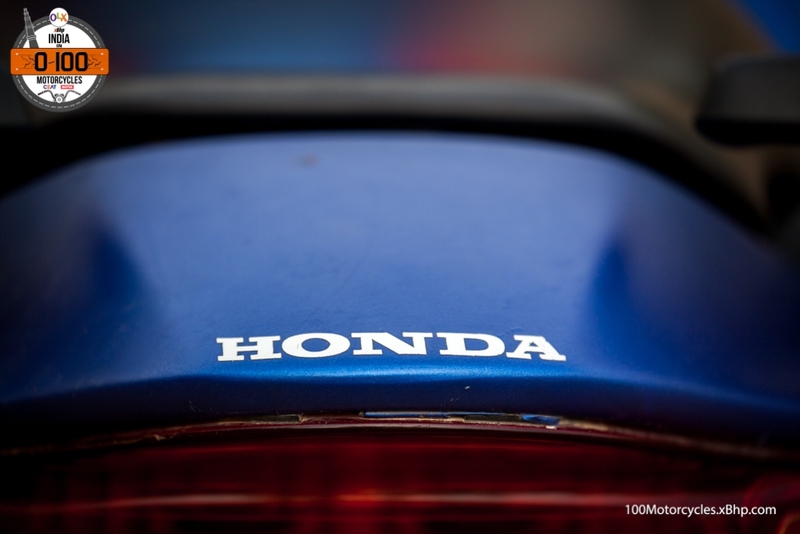 However, it hasn’t ever been as big a commercial success as Honda would like it to. Something in it didn’t quite get the hearts singing in most riders. But this is where the likeness between a movie and the motorcycle ends. A movie is made and the same one can’t be upgraded. It can only be remade and that one can either be better or even worse than the first one. 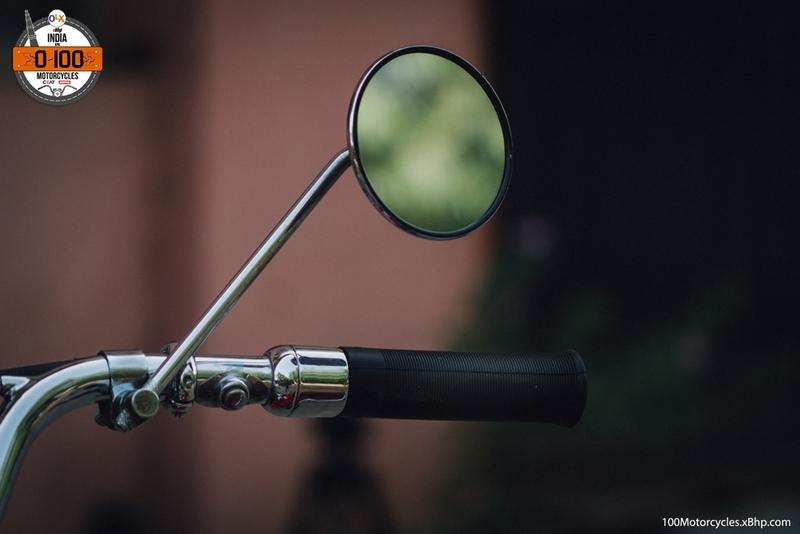 With motorcycles, however, manufacturers continuously update them with newer technologies as and when possible and in all likeliness, the new one is always a better motorcycle than the previous iteration. 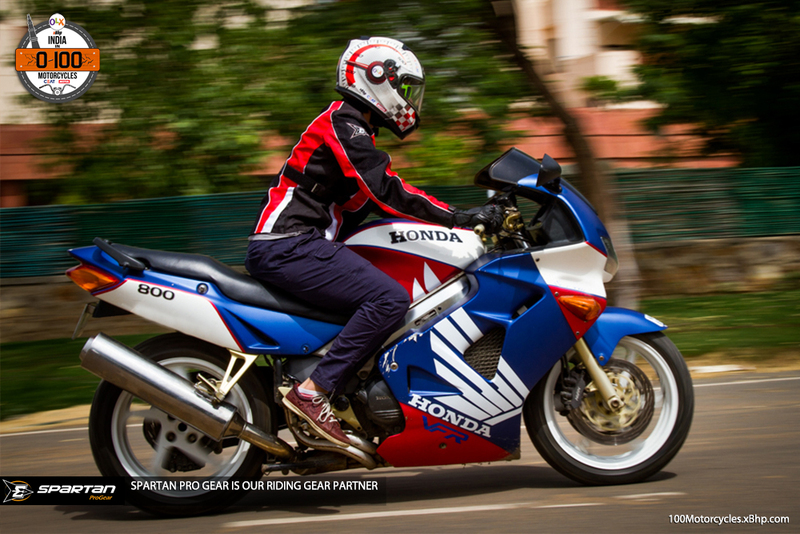 Honda launched the VFR 800 in 1998 as the successor of the VFR750F. 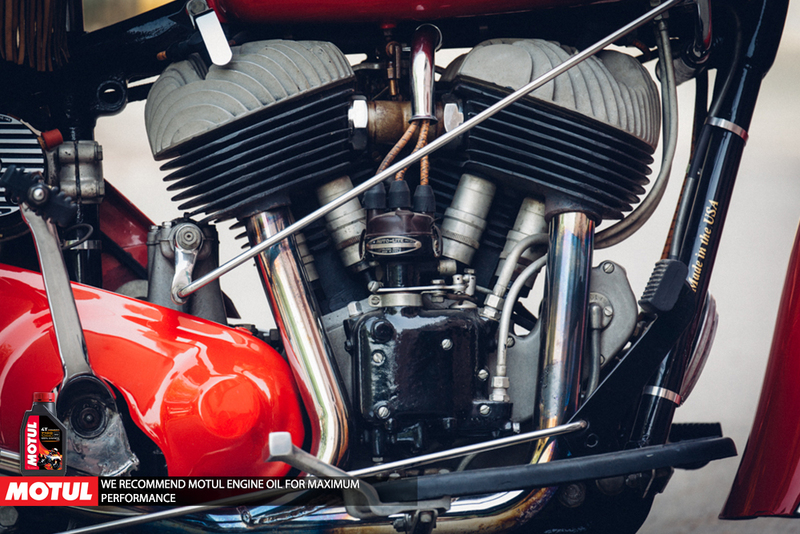 One of the major differences between the two motorcycles is that the 800 is fuel injected and the 750F carbureted while the similarity remained in the fact that both had the V4 engine. 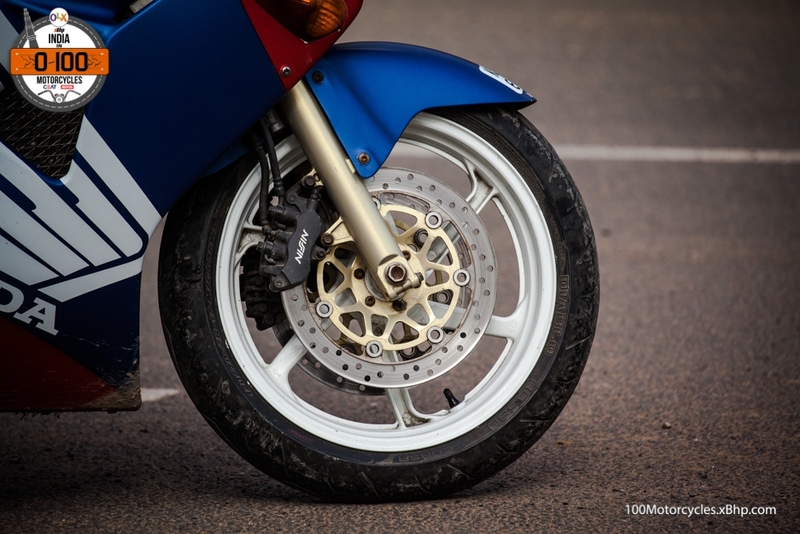 Other than having the V4 engine layout, the most popular element of the VFR 800 remains the V-Tec system which was introduced in the 2002 model. Because the engine had 4-valves per cylinder, V-Tec allowed only two valves to operate in lower RPMs (engine speed) and all 4 valves would operate from around 6,800 RPM and above. This would ensure good low to mid-range torque while very good top end power. However, the one we rode is the earliest version which did not have the V-Tec. 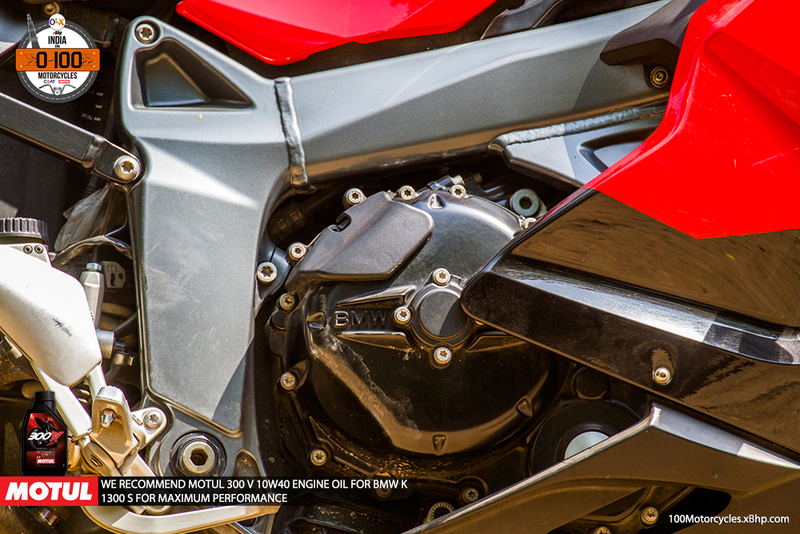 Its V4 engine displaces 781.7cc and the unit churns out around 108.5 BHP at 10,500 RPM and 82 NM of torque at 8,500 RPM. It was quite a remarkable motorcycle for its time with the single-sided swing-arm and attached to it is Honda’s pro-link mono-shock. The front suspension is conventional telescopic forks. 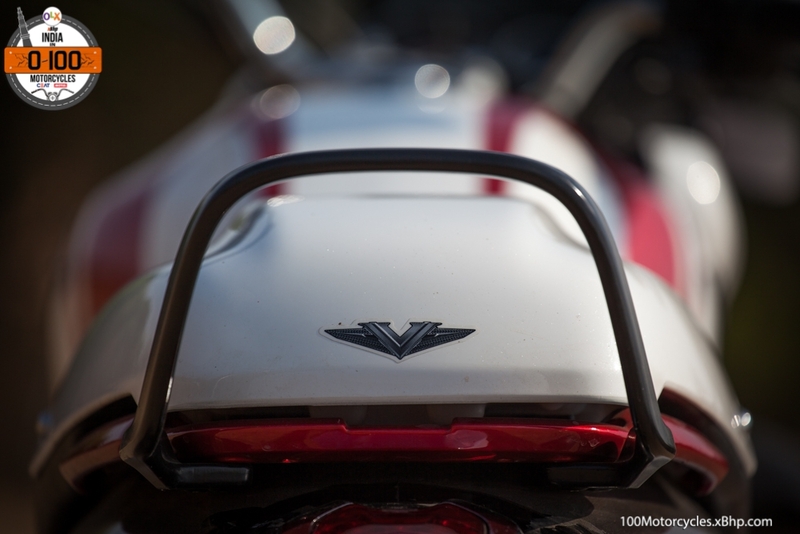 VFR 800 has been considered one of the best sport-touring motorcycles for years and this is not without a reason. 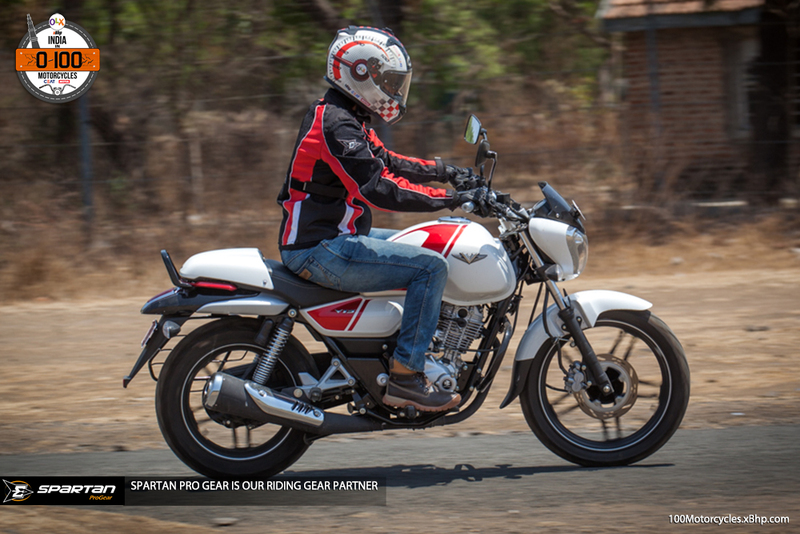 The riding position is forward leaning but it maintains a fine balance between comfort and aggressiveness. It can be ridden for hours in the saddle without much tiredness coming into effect. The engine, on the other hand, is exceedingly friendly at all speeds even though the V-Tec models were known to have a noticeable surge of power at higher RPMs when all 4 valves would work. 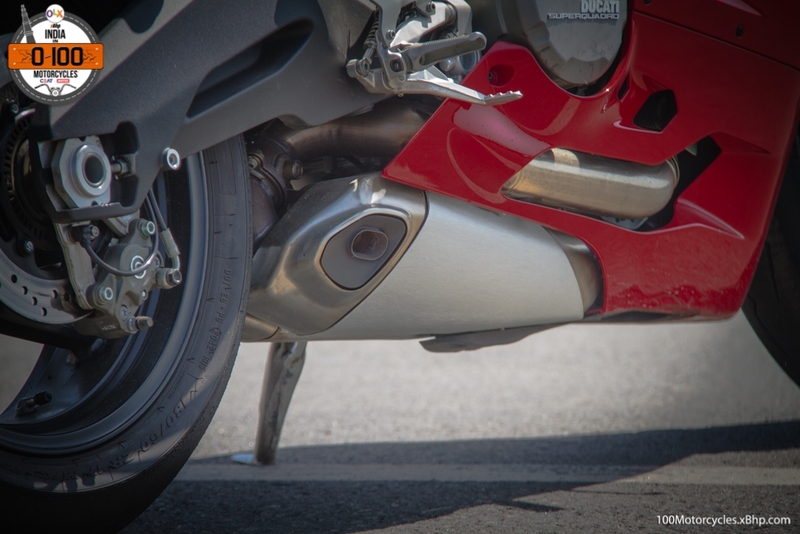 The VFR has gone through a number of iterations so far – from the side exhaust of the earliest model it went to the under seat setup in 2002 (and this is the one that got the V-Tec) and now, in its current variation, it has again gone back to the side-mounted exhaust. 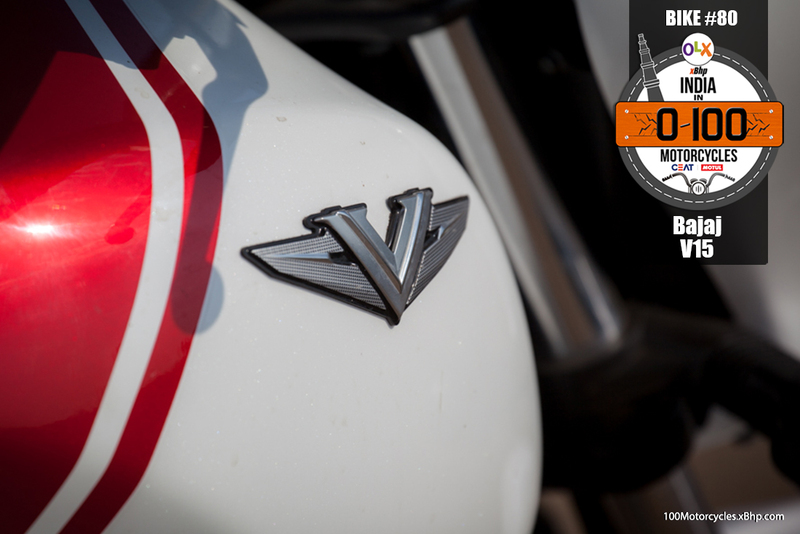 The latest version of the VFR 800 is naturally the most advanced one. While the engine is more or less unchanged, it’s got the completely new bodywork which includes LED headlight and the tail-light. Also, it gets all the basic safety features like ABS and Traction Control. So why does it not sell much if it’s that good? If we had to guess, we would say that the looks aren’t enticing enough. It’s not bad, but then, it’s not right up there as well. 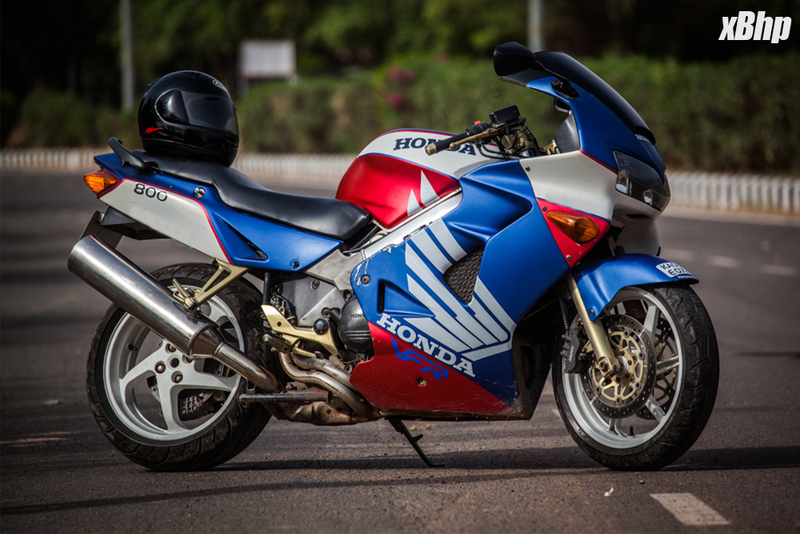 Honda is often known to create simple-looking designs (leading to boring, at times) for their motorcycles irrespective of what segment they are in. Perhaps, the VFR 800 suffers a bit there. 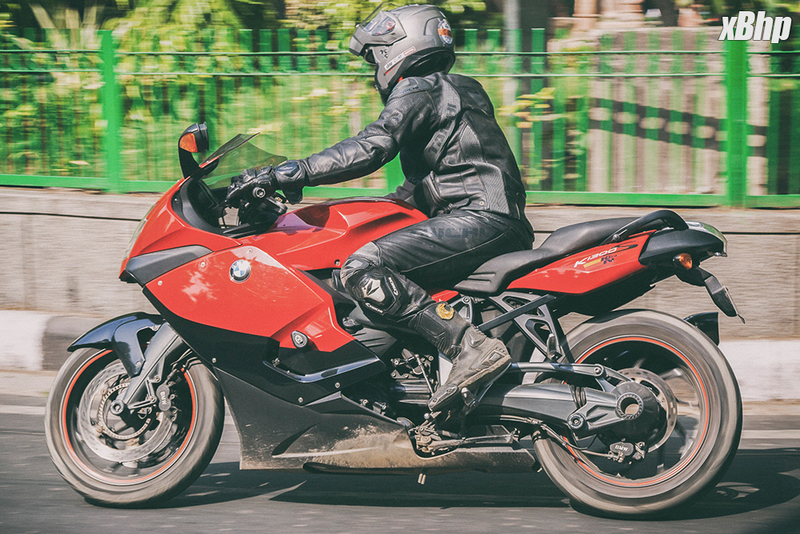 Although, it could also be that making a motorcycle look radical may not be too easy if you’re chasing practicality especially when that includes a pillion. 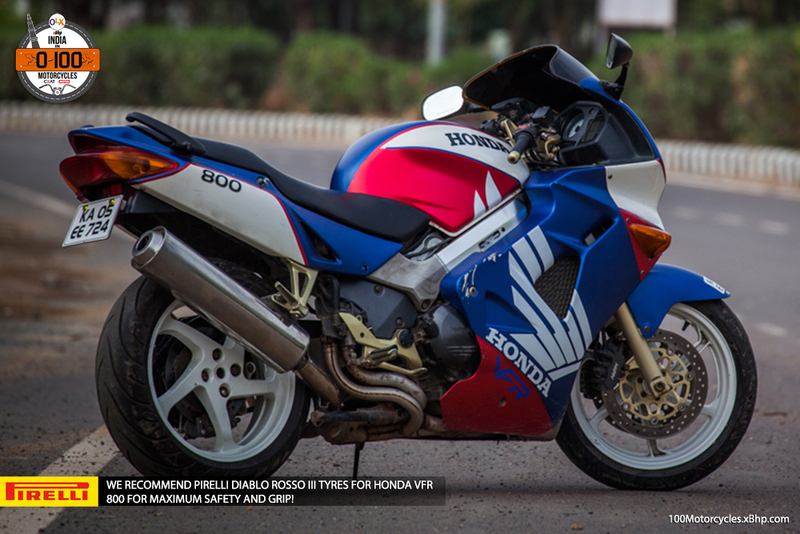 Looking at the lifeline of the VFR 800, one thing is apparent, it is one of the most reliable and long-lasting motorcycles in Honda stable. The engine is literally bullet-proof; the fact that it is mostly unchanged in the latest version says a lot about its unparalleled usability. Sadly, it is not available in India, it never was. If you or I want one, we would have to look for a second-hand specimen perhaps. 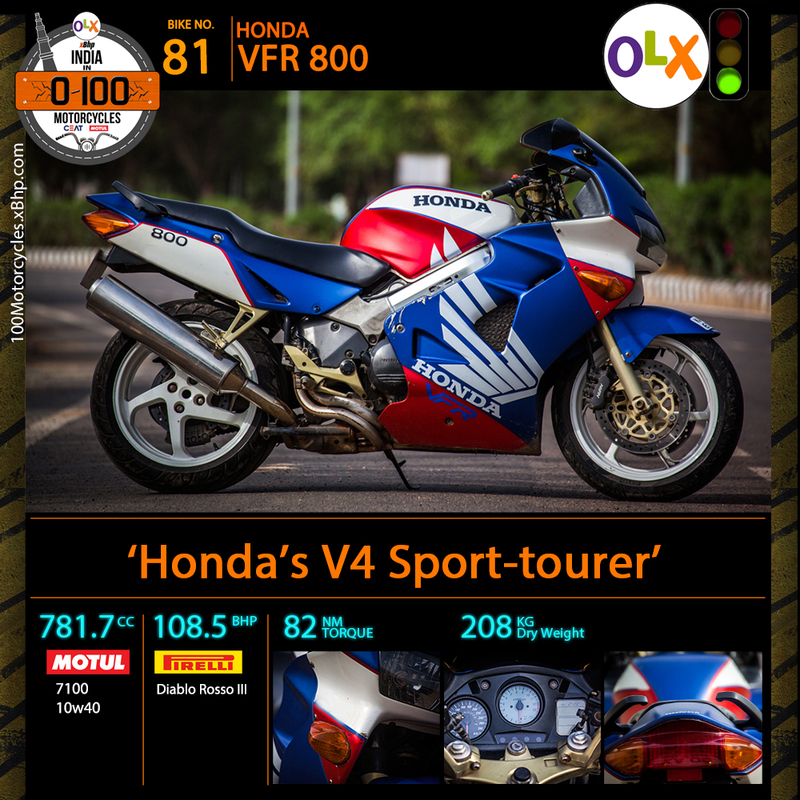 Here, platforms like OLX can help a great deal in finding a motorcycle of our choice and at much lower cost. We would like to thank Mr. Jai Tokas for taking out his time and allowing us to spend time with his dependable Honda VFR 800i. 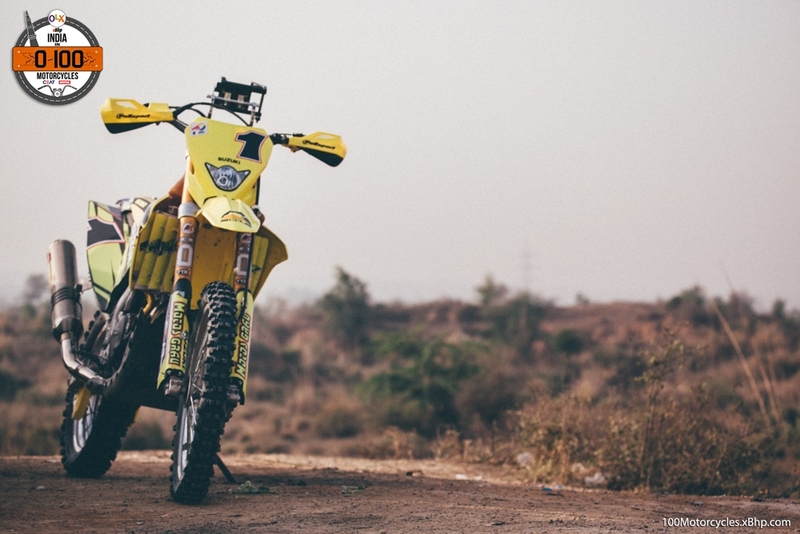 Buy a used Bajaj motorcycle on OLX. 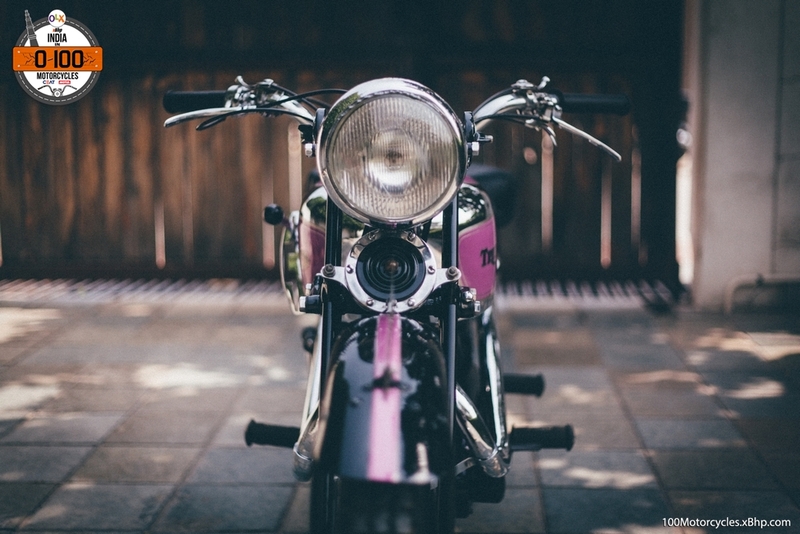 Let us ask you a question – what purpose do companies have in selling commuter motorcycles? It is to get the maximum number of them out on the road bringing as much money to the manufacturers as possible. 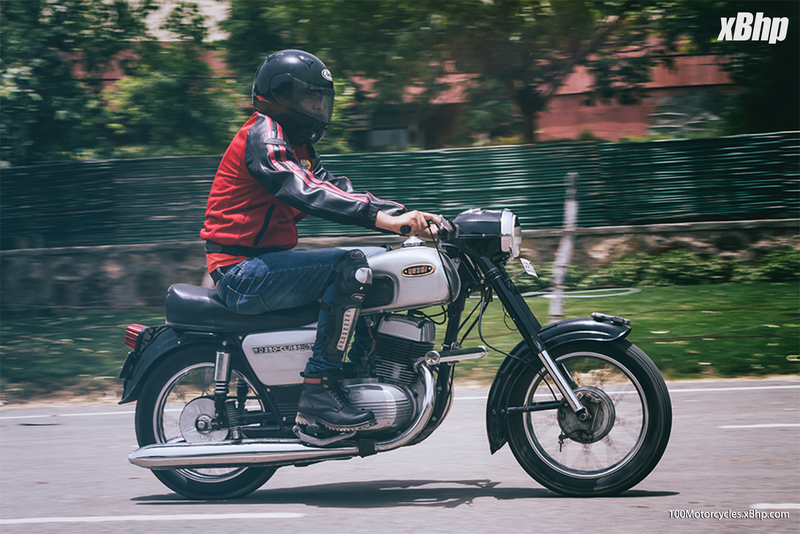 While the commuter motorcycles also make an inseparable part of a normal service class person’s life, and that’s why too they are made, there’s no doubt they get lots of cash to their makers. Well, that was an easy answer to contemplate, wasn’t it! Having a tight budget? 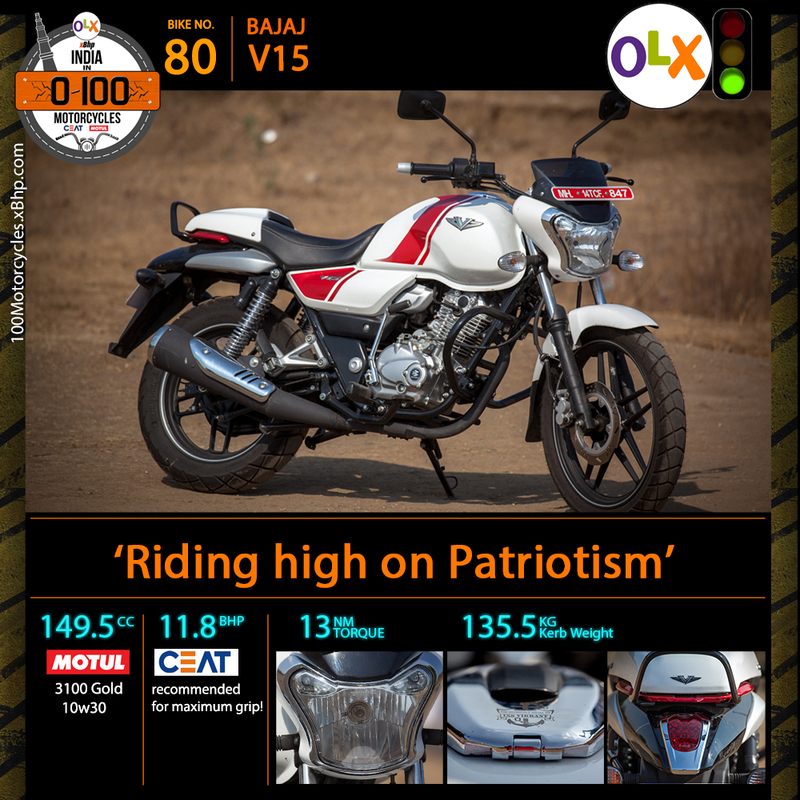 Buy you favourite Bajaj motorcycle on OLX. 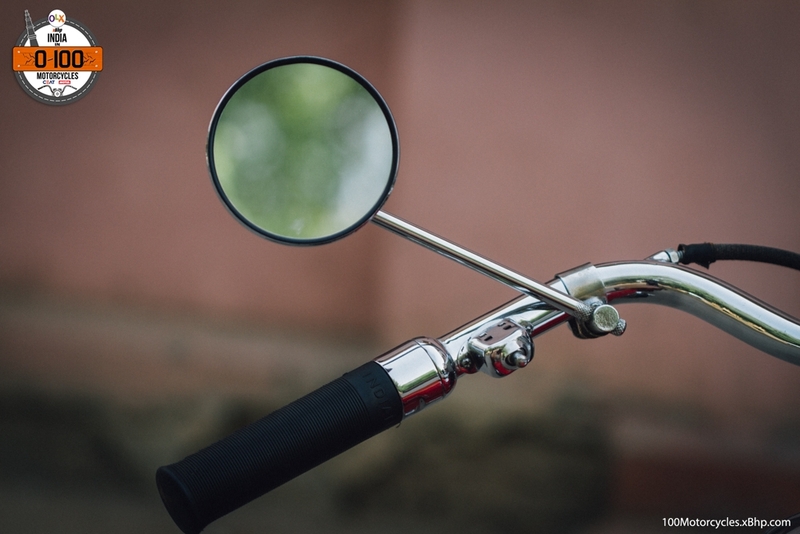 It would also mean that all commuter motorcycles are more or less the same when it comes to the intent of their development, that too, especially in India. 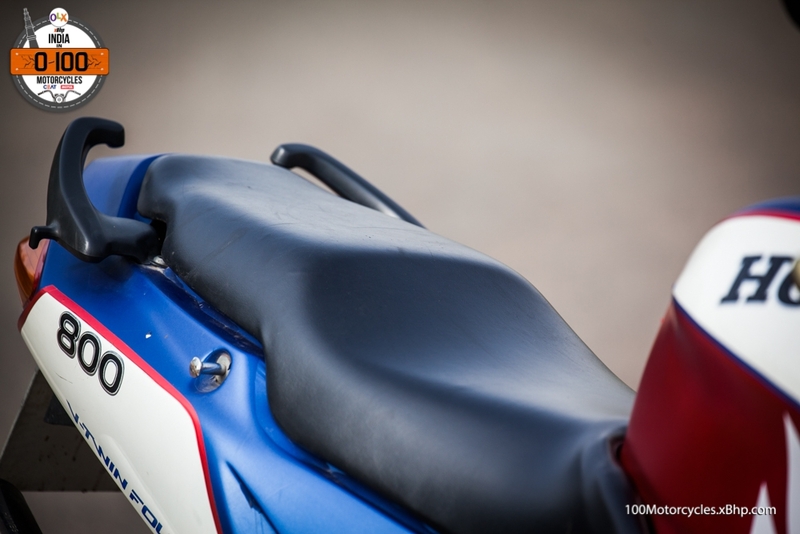 However, this segment has long broken the boundary of 100cc engines as it has spread its legs to up to 150cc at least. 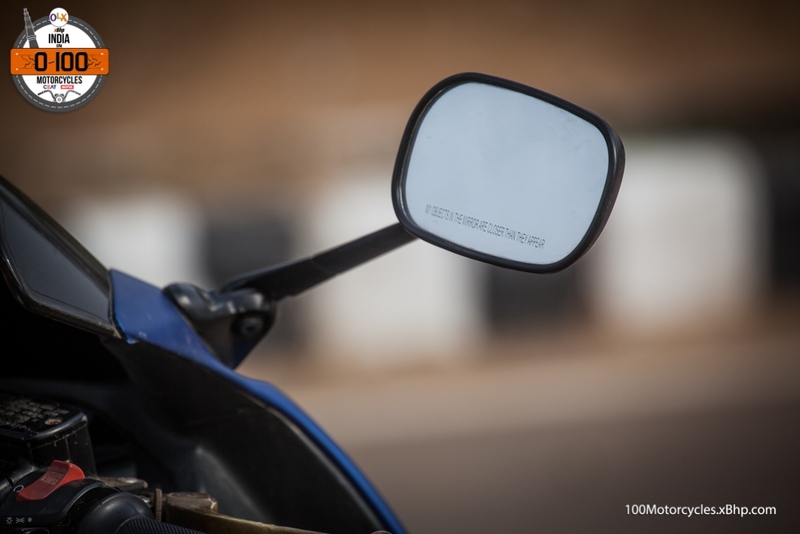 This is also due to a reason that 150cc motorcycles today are quite fuel efficient. 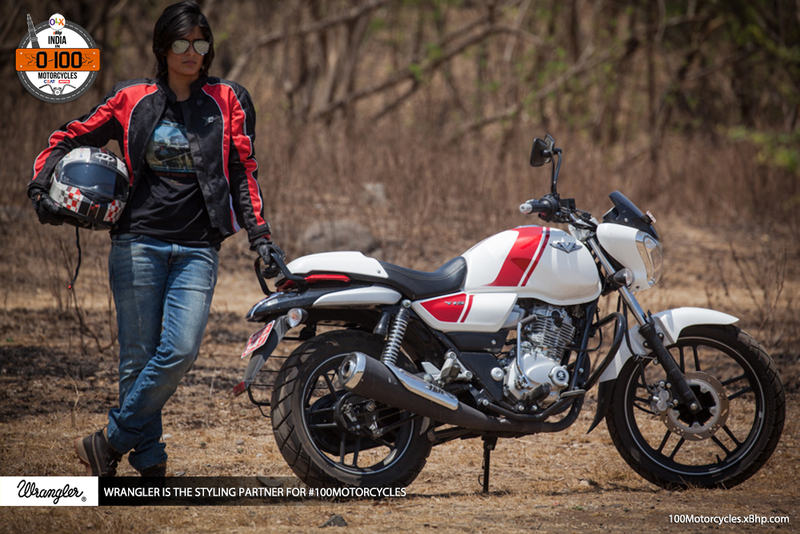 But there is one exception in all of them and it comes from Bajaj – India’s second largest bike maker. 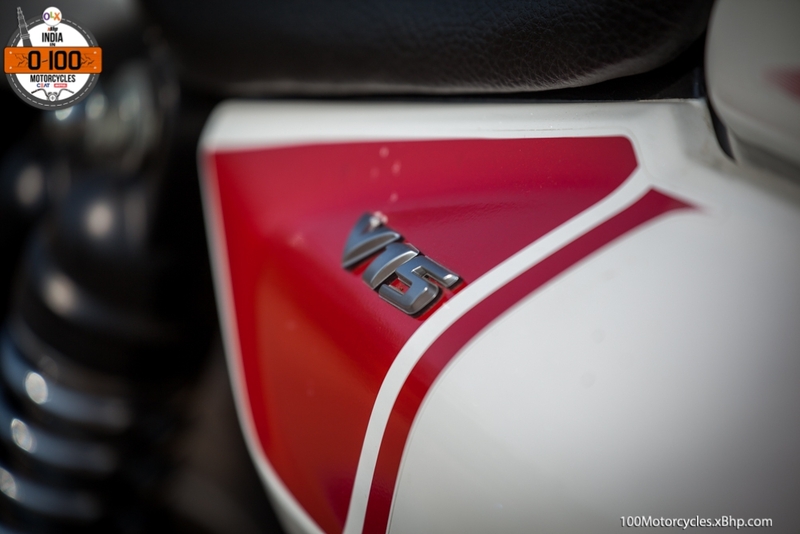 Among the plethora of Pulsars that Bajaj makes, there’s a new motorcycle called the V15 (it is not a pulsar). It isn’t a sportbike, it is very much a commuter, but it comes with the feeling of patriotism. 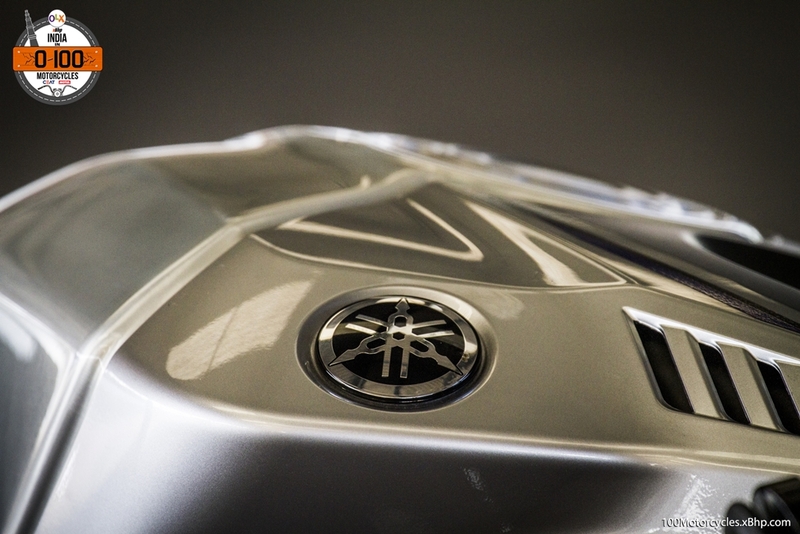 You see, the metal which has been used in the creation of V15 comes from a very special source – a ship. And it’s not just any ship, it was the first aircraft carrier used by the Indian Navy for many years which was instrumental in many battles that India fought in the last century. It was known as the INS Vikrant; was, because it doesn’t exist today. After serving Indian Navy for years, it was decommissioned in 1997 and announced for dismantling in 2013 because it could no longer be maintained. The V15 comes from there. 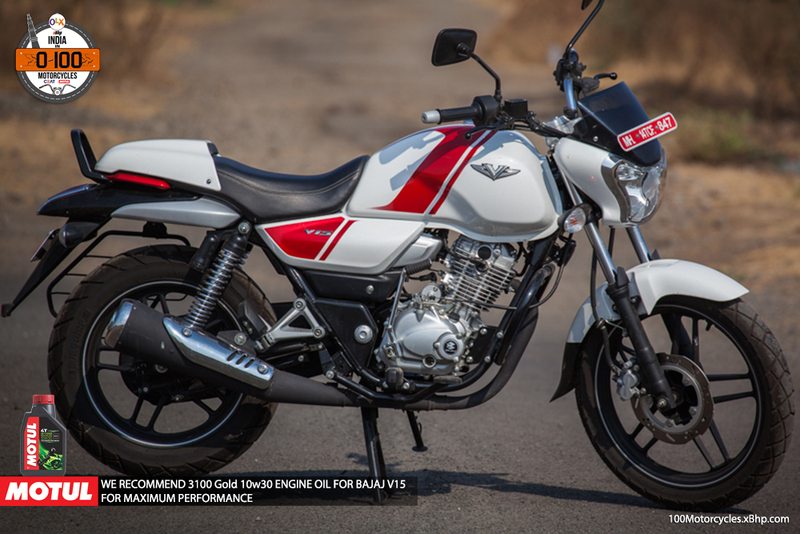 In V15, ‘V’ indicates, of course, Vikrant while 15 means that it has a 150cc engine. 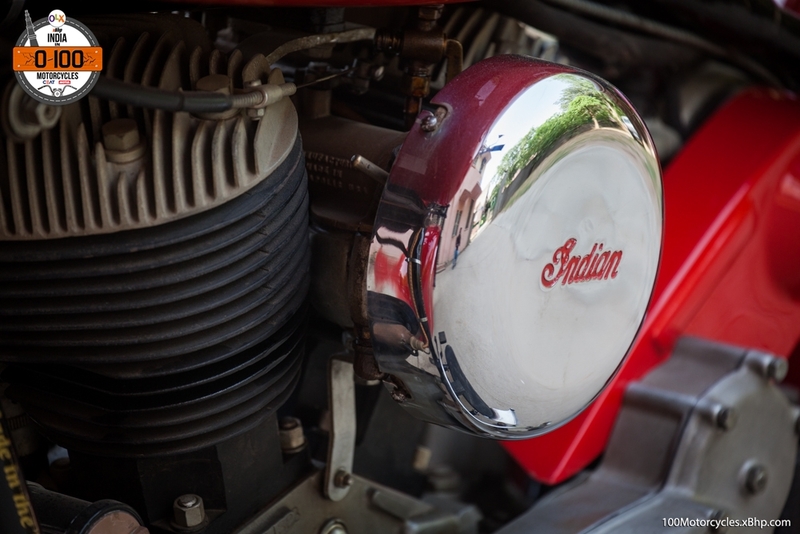 Even though only the fuel tank is made out of the metal from Vikrant, the essence is in the whole motorcycle. 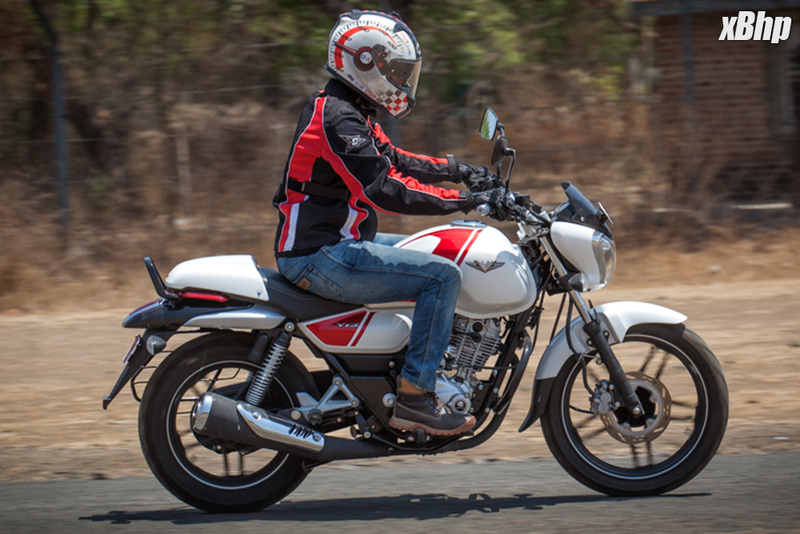 There’s no dearth of commuter motorcycles, in fact, they are overflowing and so, the V15 from Bajaj doesn’t really give anything special as far as practicality is concerned. It is a simple motorcycle with a 149.5cc DTS-i engine churning out 11.8 BHP of power at 7,500 RPM and 13 NM of torque at 5,500 RPM, hardly performance numbers there. 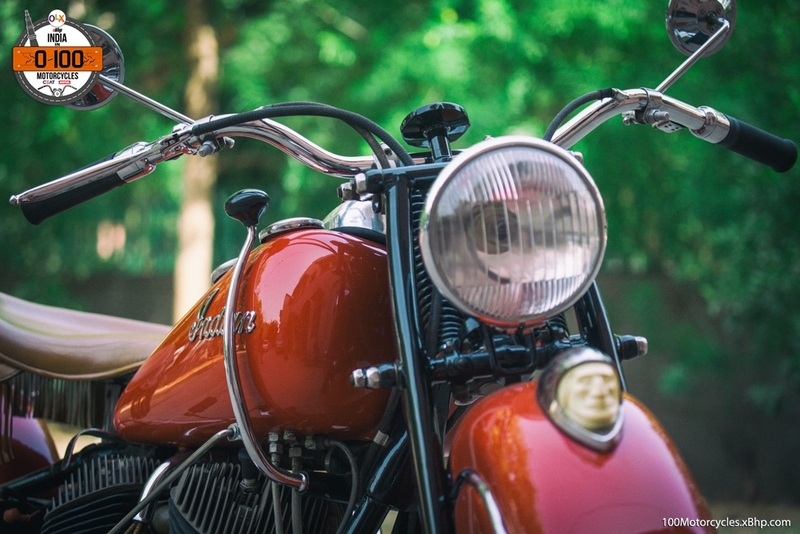 But then the motorcycle rides high on the feeling of patriotism. 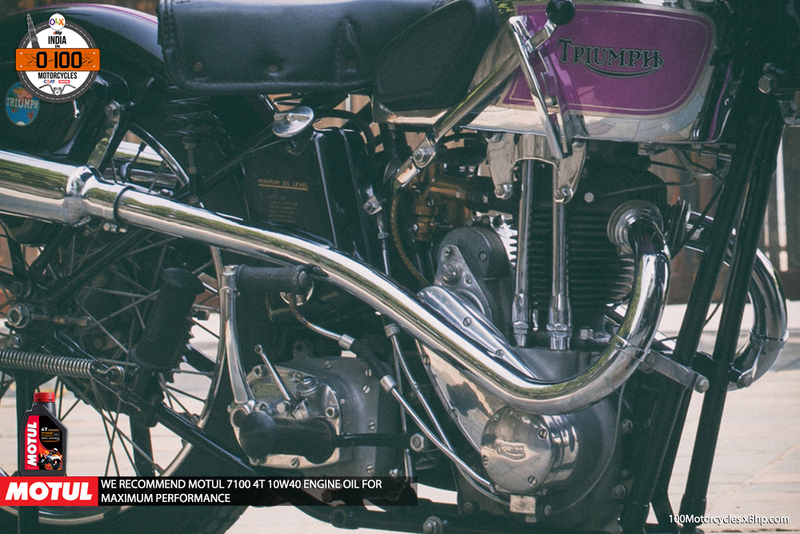 Motorcycles have always been an integral part of our defence services or throughout the world for that matter. 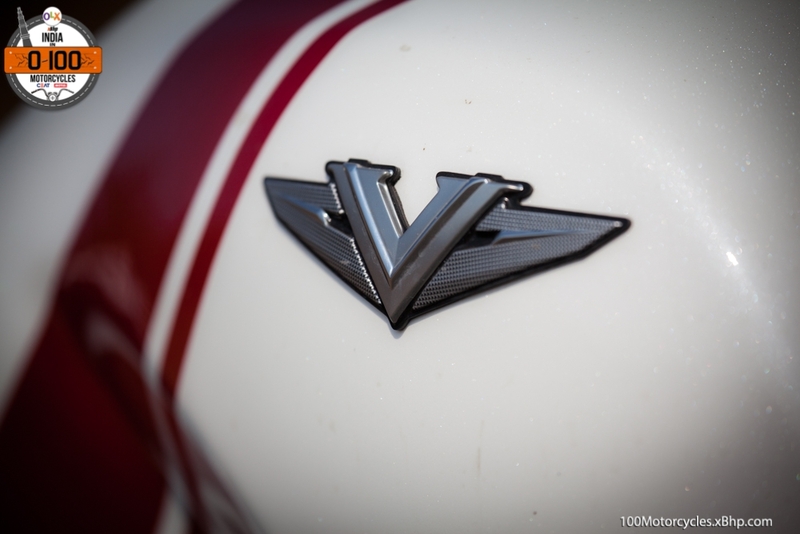 So, if you’re feeling patriotic enough and are looking for a motorcycle then you may want to look at the V15. 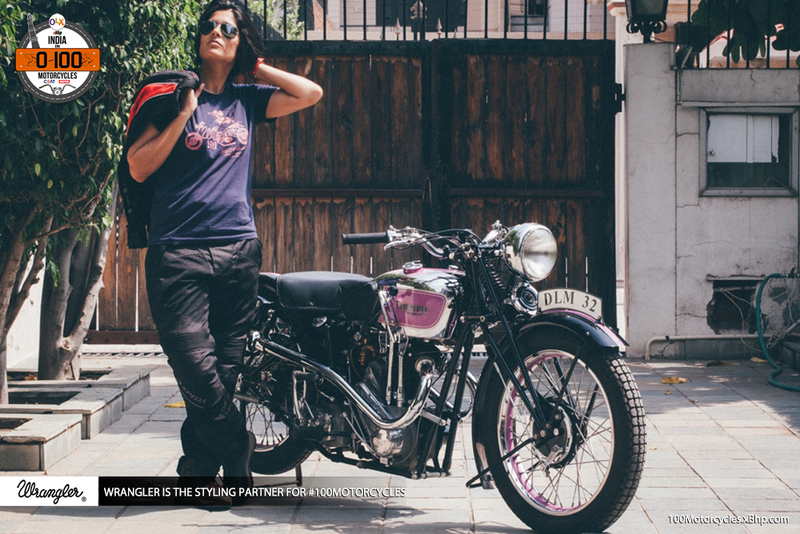 It is not every day that you have a basic commuter motorcycle which would have the ability to make you feel special. 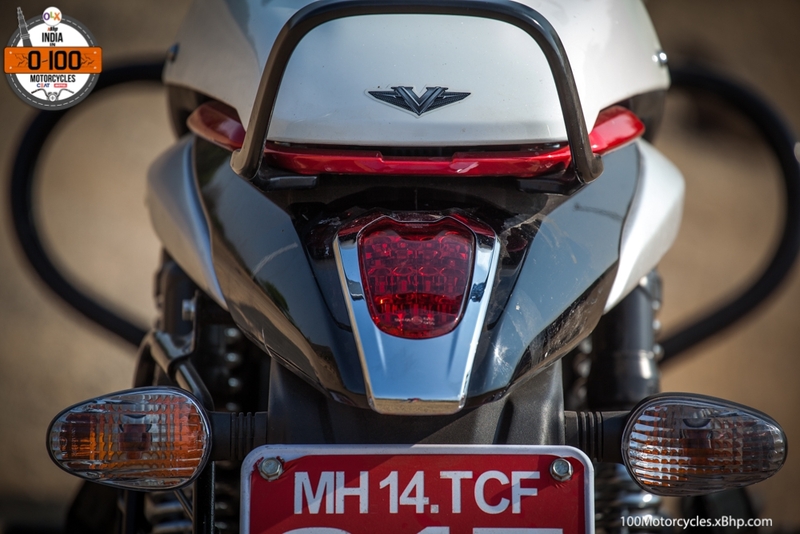 But yes, the V15 has a distinct style – the front headlight is unconventional as far as Indian motorcycles are concerned, it is not even akin to what is found in the likes Yamaha FZ and Suzuki Gixxer. 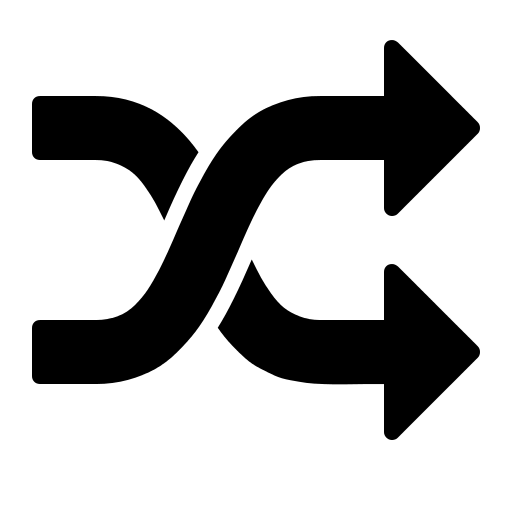 It is just different, but overall, it is still triangular. 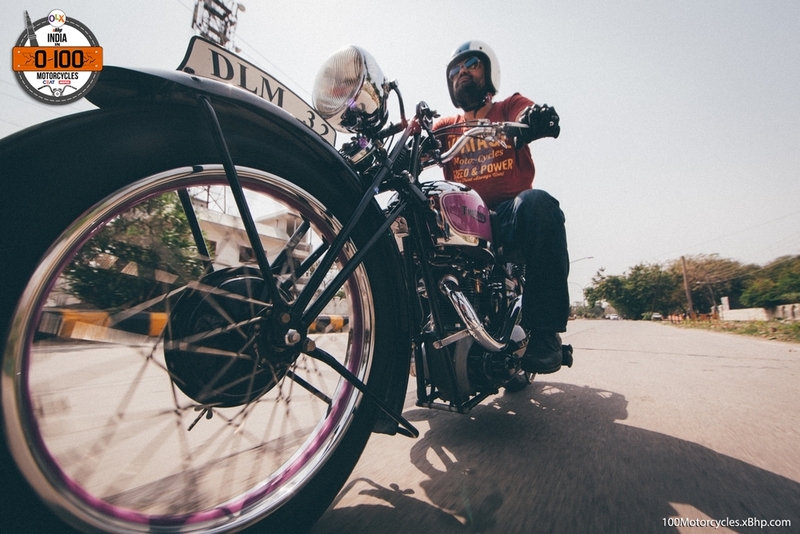 The fuel tank is the brawniest part of the motorcycle and it holds 13 litres of fuel. 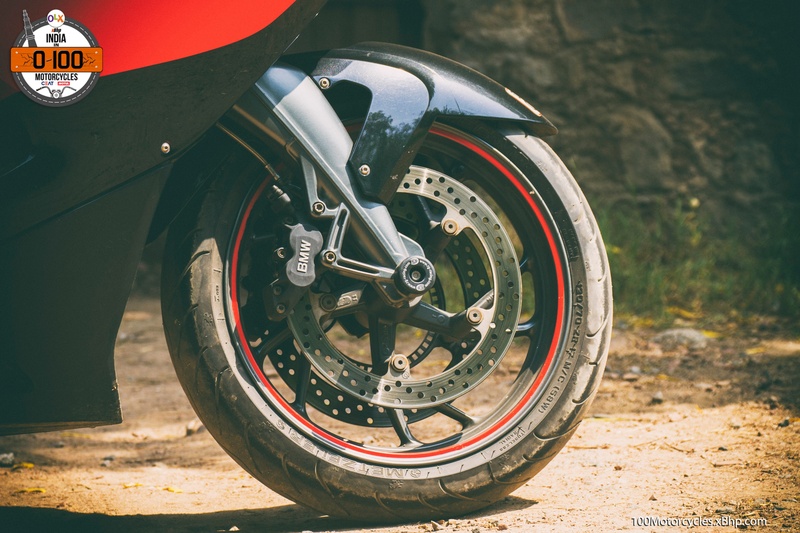 The rear wheel is 16-inch while the front is 18-inch giving the motorcycle a different perspective than others. There’s really nothing more to it other than the fact that it has been made out of respect for India’s first aircraft carrier, a hero that didn’t really breathe, but it played a major role in the defence of our country. It got old and was given a heartfelt farewell. The respect is much deserved. 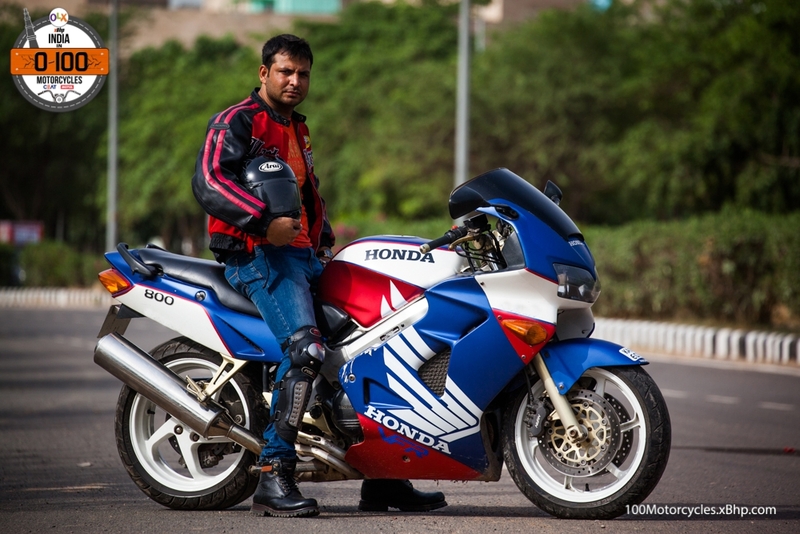 And now, Vikrant gets life in a motorcycle, what else could be a better tribute? 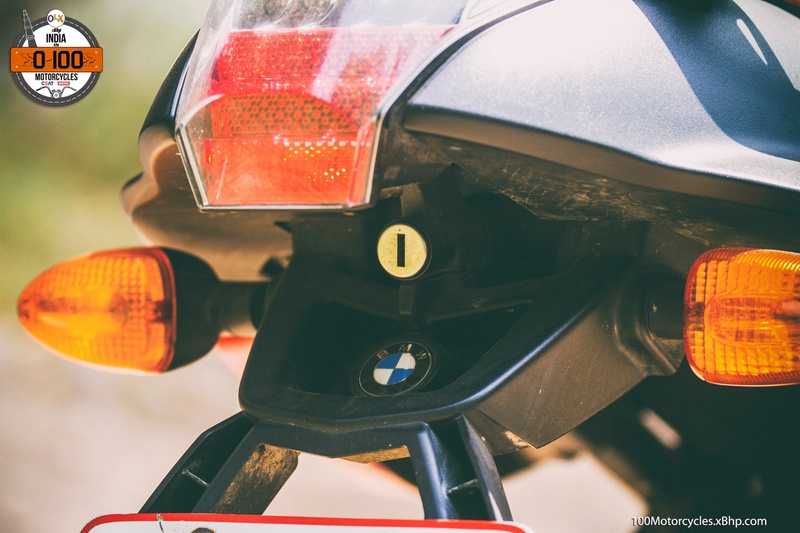 Buy a used BMW motorcycle on OLX. 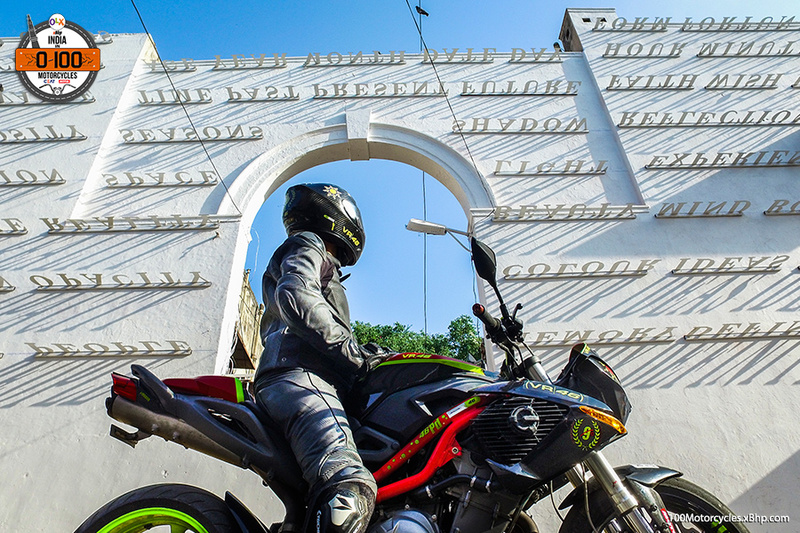 Kawasaki’s ZX-14R and Suzuki’s Hayabusa are often categorized as ‘Hyper-sports’ and ‘Hyperbikes’ while constantly being labelled as high-speed sport-tourers as well. Even though these two are hardly as comfortable as, say, a Yamaha FJR1300 or even the Ninja 1000 and Suzuki GSX-S1000F, Hayabusa and ZX-14R remain extremely capable mile-munchers. 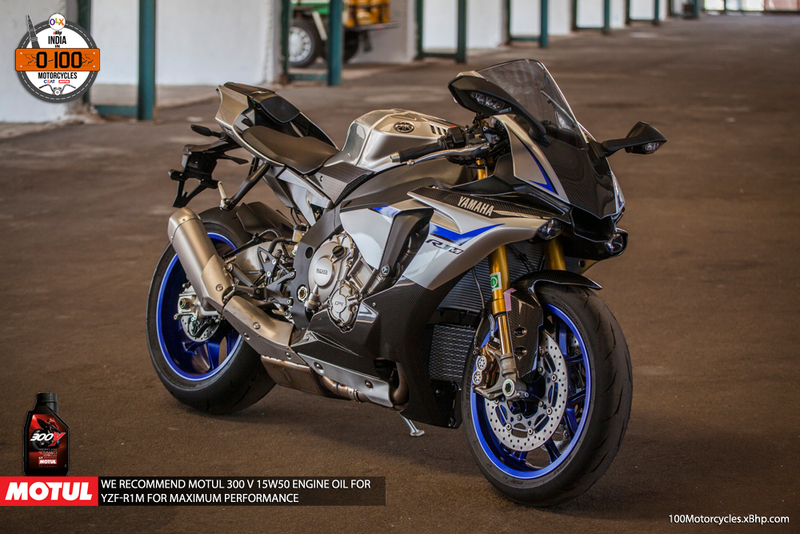 They’ve got ample of space, great engines to haul long distances in speed while remaining comfortable enough compared to the typical Superbikes. Running short on budget? 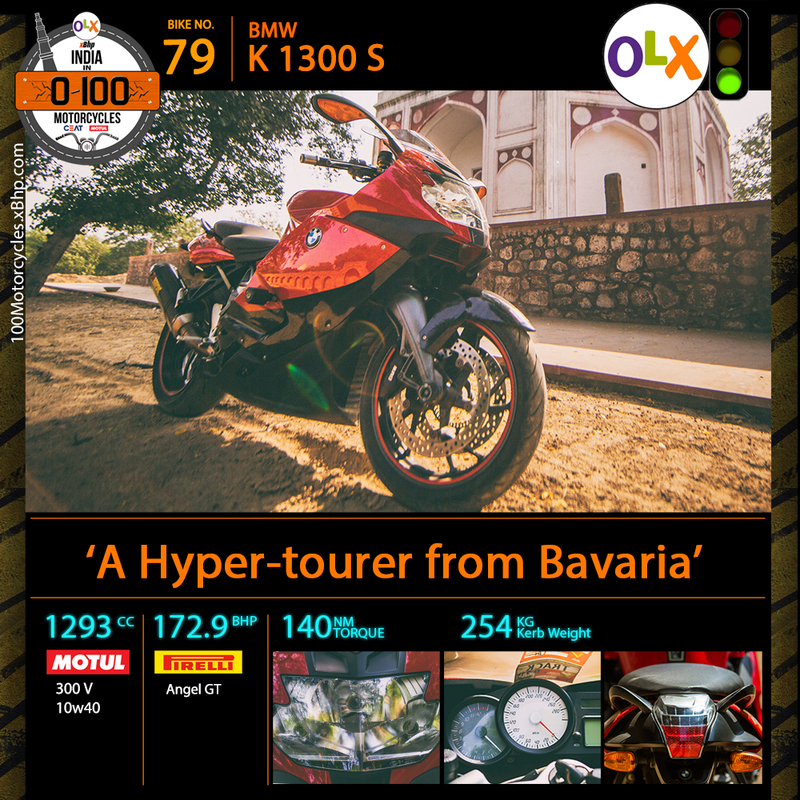 Find you favourite BMW motorcycle on OLX. 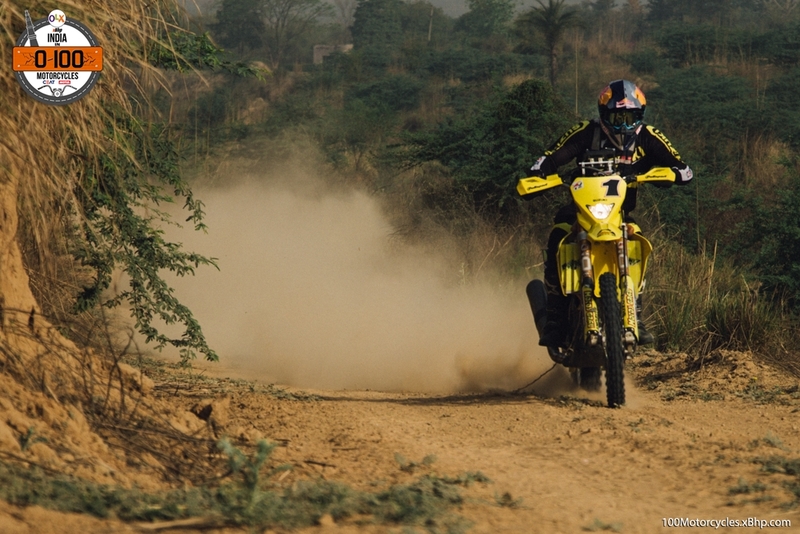 There’s isn’t really any other motorcycle which competes with the above two. 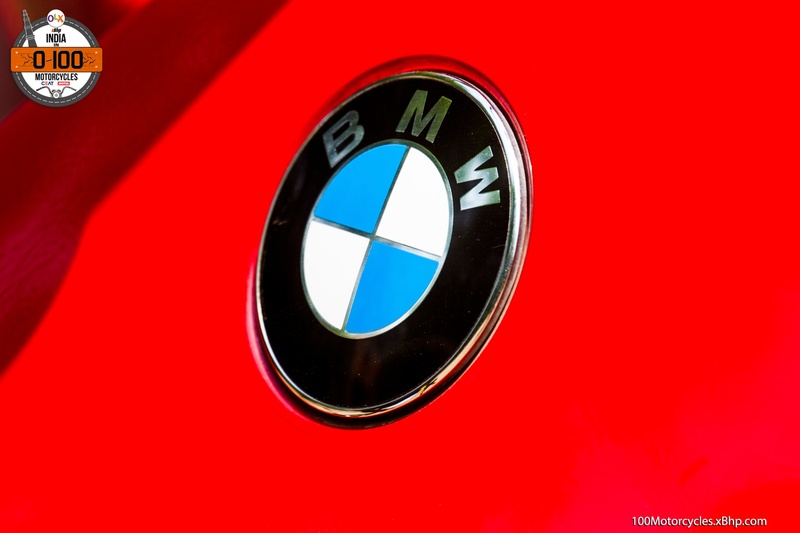 However, BMW had one in their lineup which while wasn’t really made to go as ballistically fast, it did offer an abundance of comfort which wasn’t made to be provided by the other two. 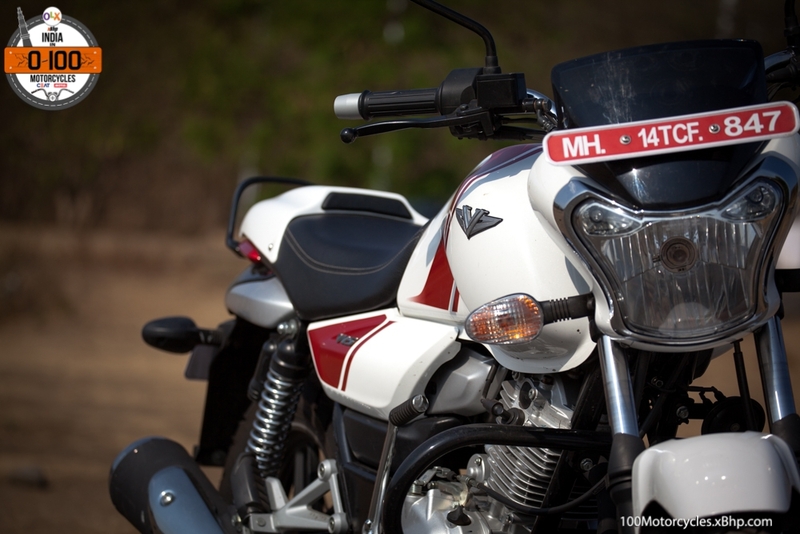 It is called the K1300S – the most unique of the lot. 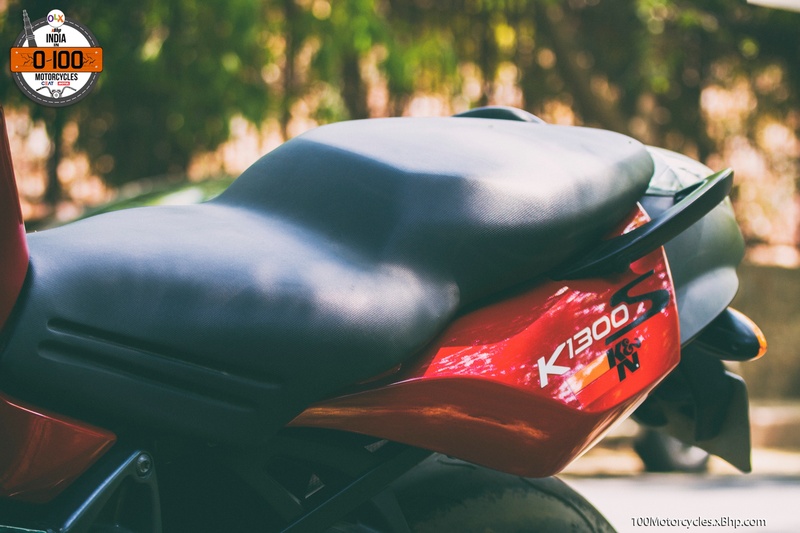 Launched in 2008 and powered by a 1,293cc inline 4, DOHC, liquid cooled, 16-valve engine, the K1300S produced 172.9 BHP of power at 9,250 RPM and 140 NM of torque at 8,240 RPM. Just look at these figures separately and it would be a given that the motorcycle is ferociously fast for all paved roads. However, this is clearly not its trump card. 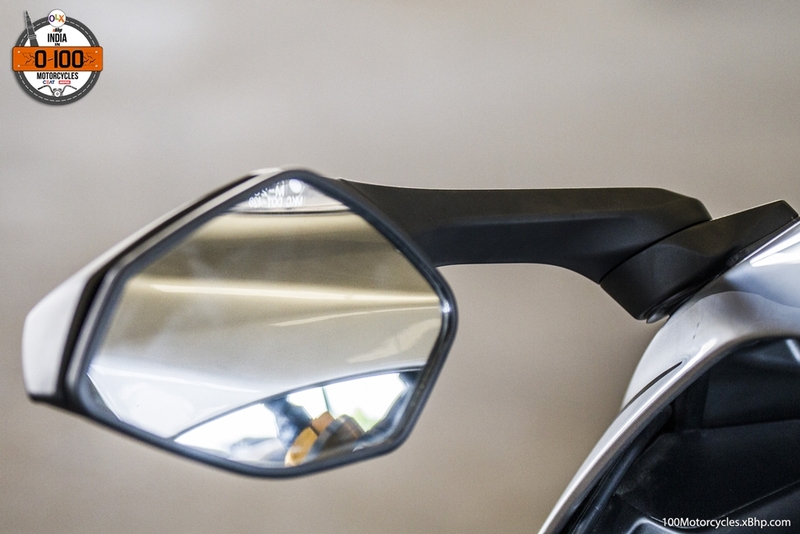 What makes the K1300S stand out is the remarkably forgiving riding ergonomics which includes the almost-flat seat for the rider and the pillion and the truly unique front and rear suspension which is typical of BMW. 254 kg kerb weight is actually lowest between itself, Busa and the 14R. 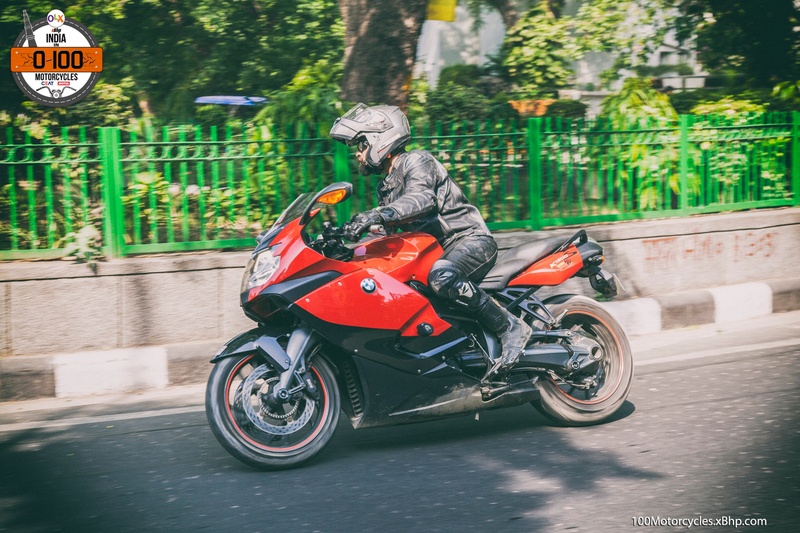 But this occasional comparison is a mere formality because the K1300S is supposed to be in the same segment; it is, however, a very different motorcycle which goes about its way in a rather calmer manner. 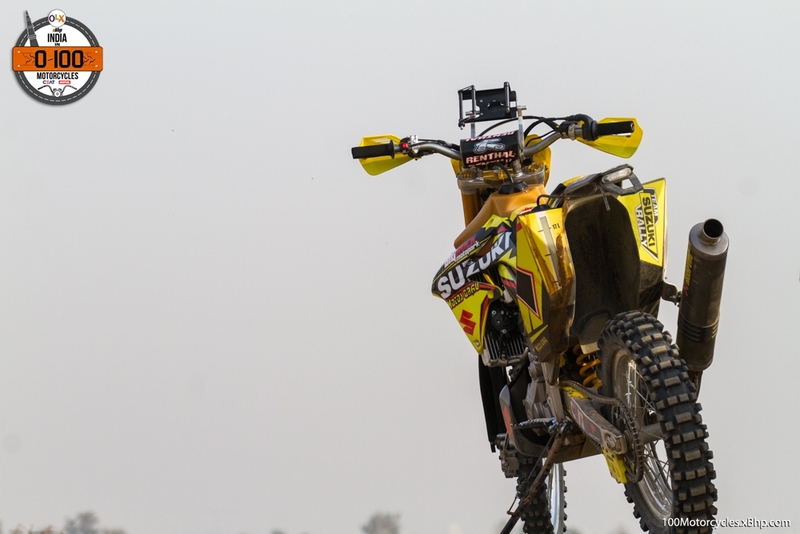 The highlight is the front Duoloever suspension which is engineered to not dive under braking. 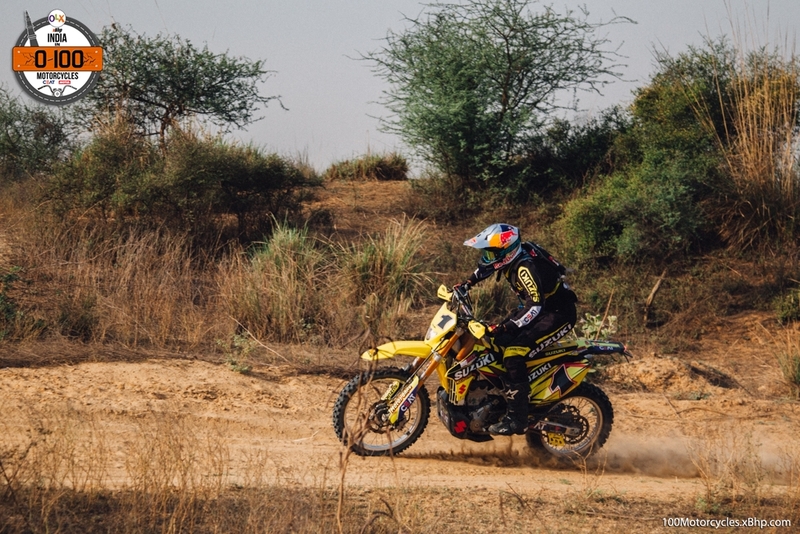 While this gives a very smooth feel to the ride when riding normally, there’s a noticeable setback as you start to have some more fun. 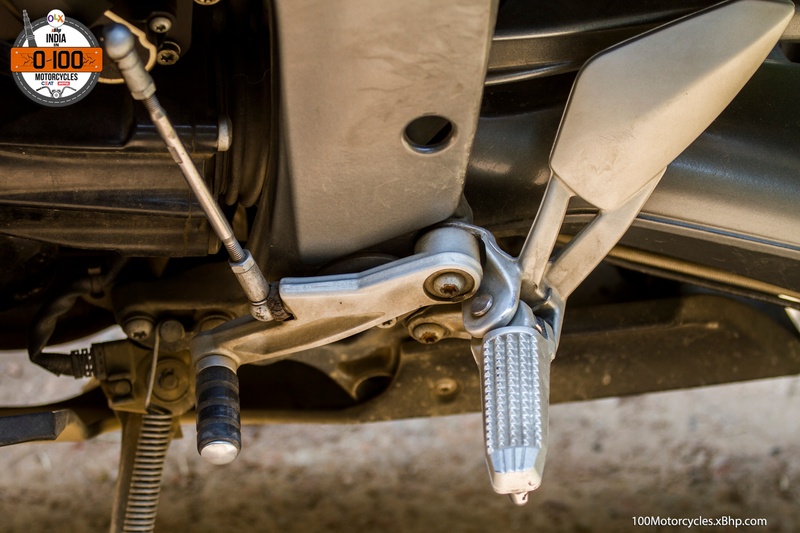 Apparently, the dive-not nature of the front suspension robs it off the frontend feel (and feedback) that riders seek when riding enthusiastically which would also involve hard braking. 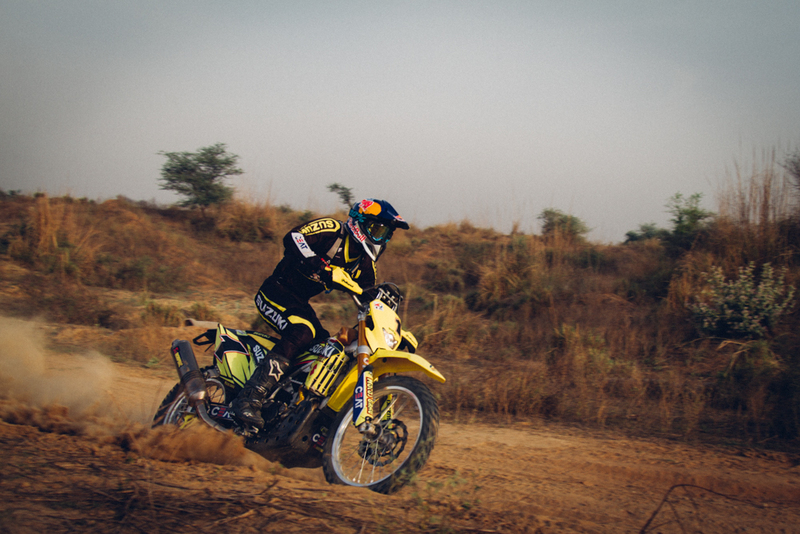 This can often lead to confidence issues when pushing the motorcycle more in certain situations like entering a corner hard. 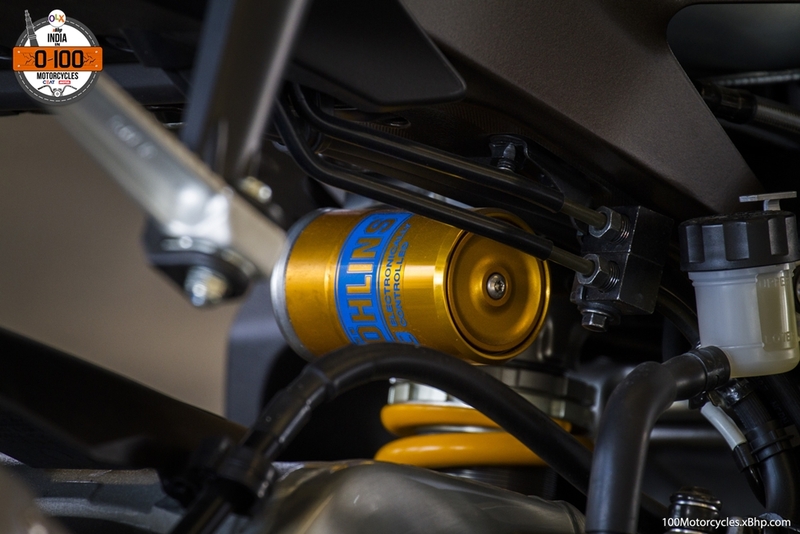 Generally, though, the K1300S (and BMW) have received more or less positive feedbacks about the quality and the performance of the suspension. 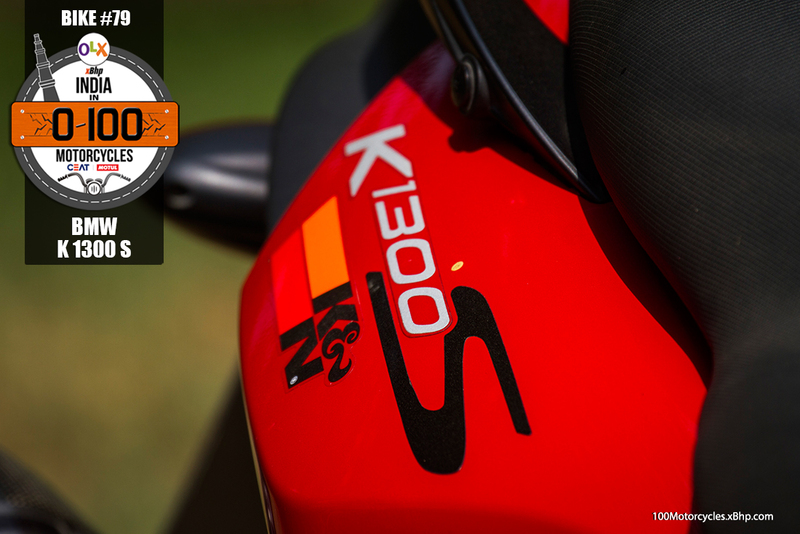 Soon enough and especially over the years, the K1300S has been considered an extremely comfortable sport-tourer. Something that we would like to call a Hyper-tourer. We’ve occasionally heard some people saying things like that BMW couldn’t beat the Busa and the 14R or that the K1300S isn’t as quick or fast. We would like to believe that it’s an unfair point of view. If there are any companies that can beat the two Japanese in their game of speed then BMW is certainly one of them. We just need to look at the S1000RR for example. K1300S isn’t as fast as either of the two simply because BMW didn’t make it like that. 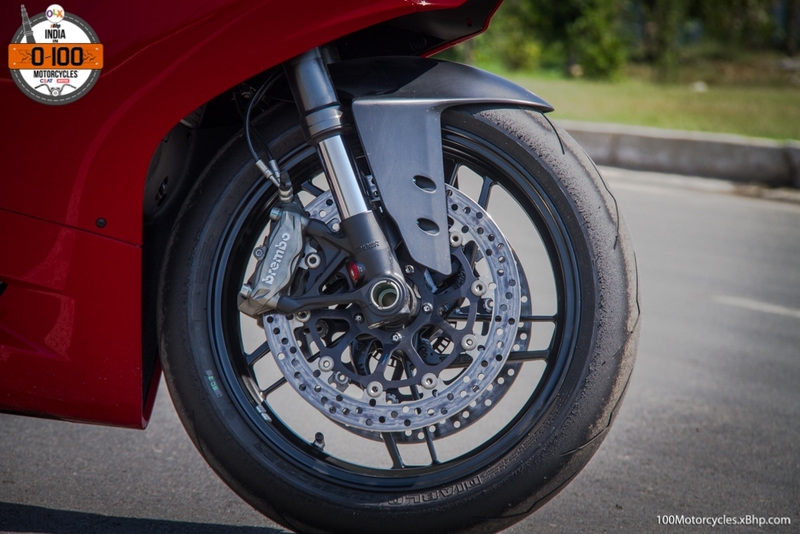 The Bavarian company wasn’t really looking to be the quickest and the fastest production motorcycle on the planet with this big and burly sportbike. 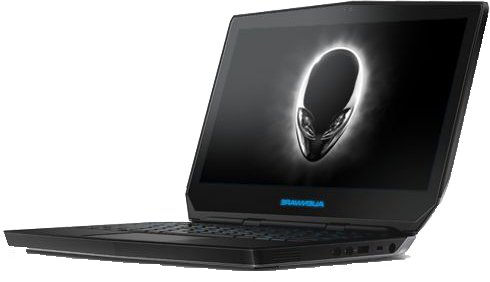 They wanted it to be fast enough while offering probably unmatched levels of comfort over long distances in its segment. And they have very well achieved this feat. 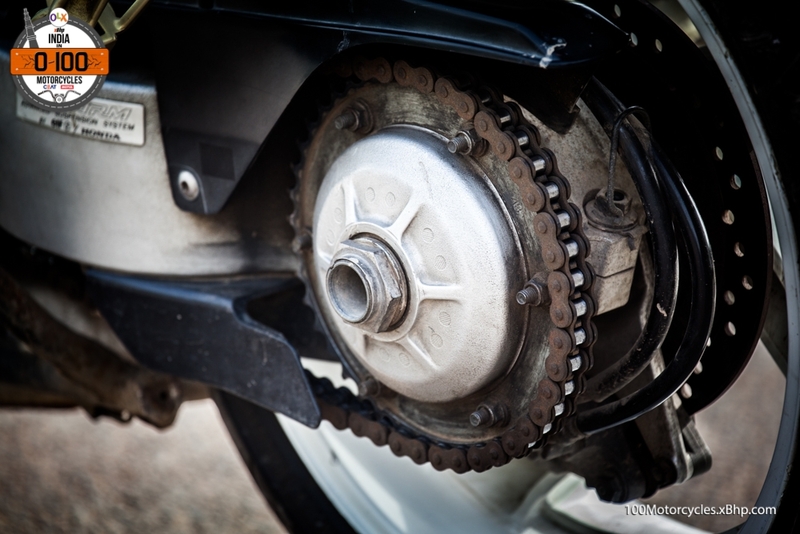 The motorcycle also benefits from the shaft drive (instead of the chain final drive) for its intended purpose. 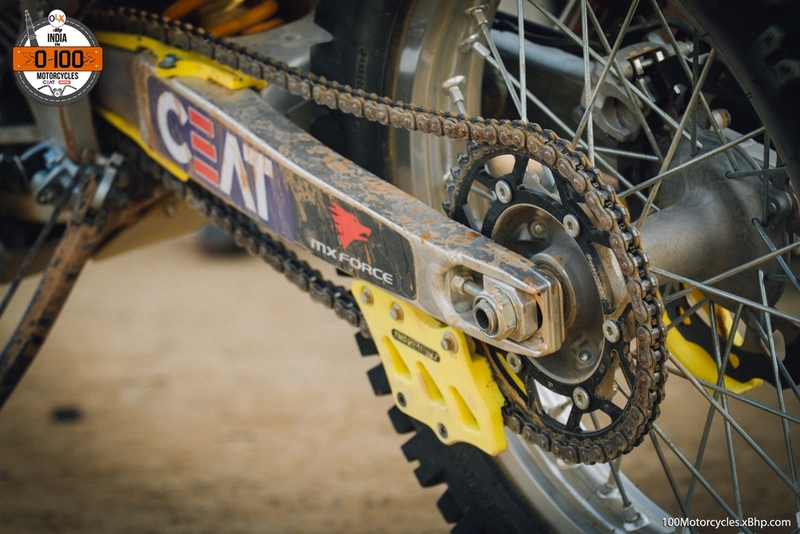 The shaft drive is virtually maintenance free and quiet, at the same time, the system isn’t as performance oriented as the conventional chain drive because it’s heavier. 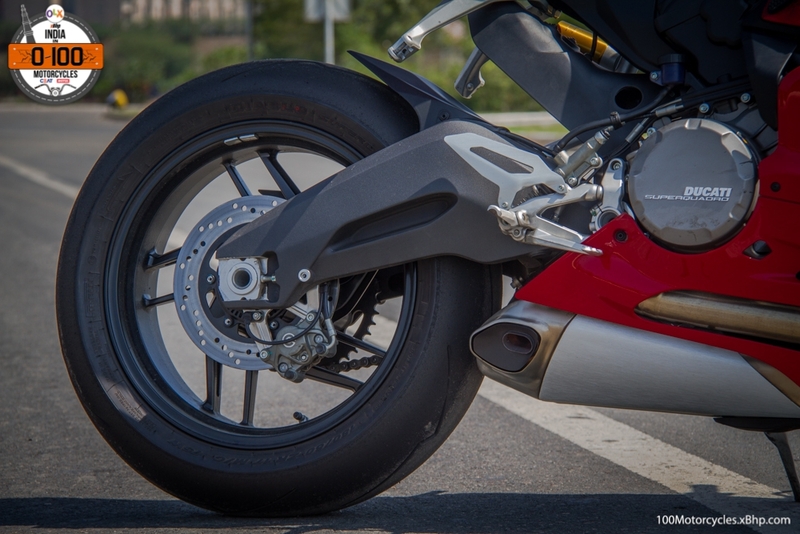 Clearly, the K1300S is in a class of its own. BMW doesn’t make it anymore, they now have the more capable K1600 GT/GTL as their sport-tourer with an inline 6-cylinder engine. But the K1300S is still a lovely motorcycle and that is why many of us still might want one. 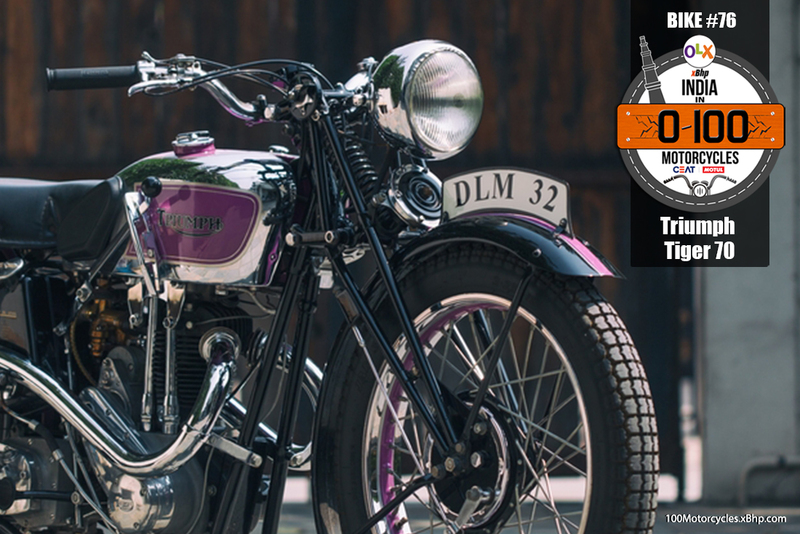 Luckily, we have platforms like OLX which can make it possible to find and own a second-hand motorcycle. So give it a try. 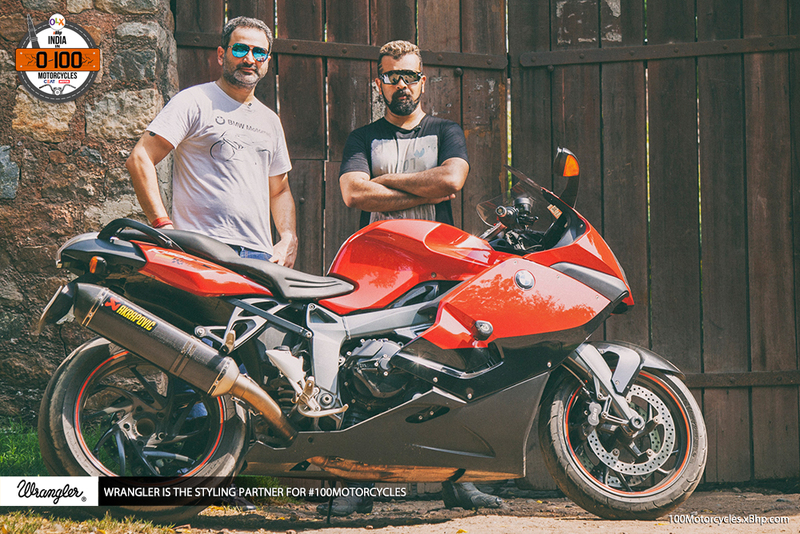 Finally, we would like to wholeheartedly thank Mr. Anurag Kapur for his time and allowing us to ride his beloved motorcycle. 78DSK Benelli TNT 899 - Still looks as futuristic as ever! 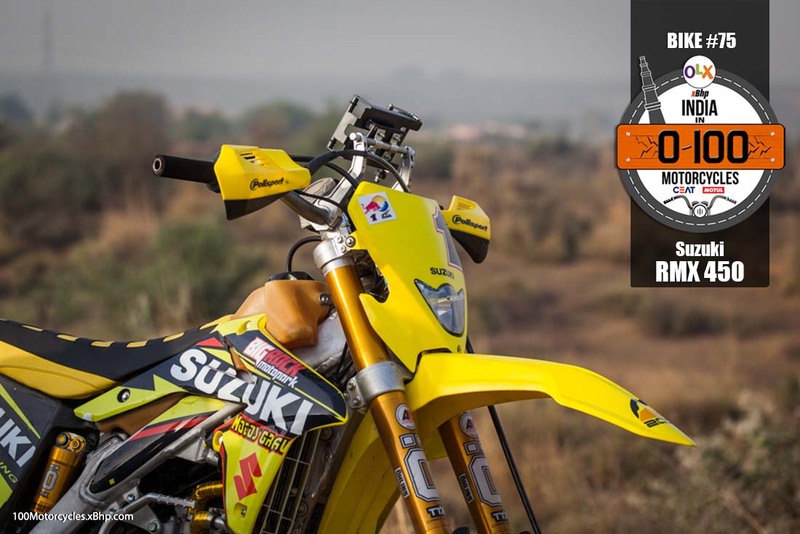 Buy a used DSK Benelli bike on OLX. 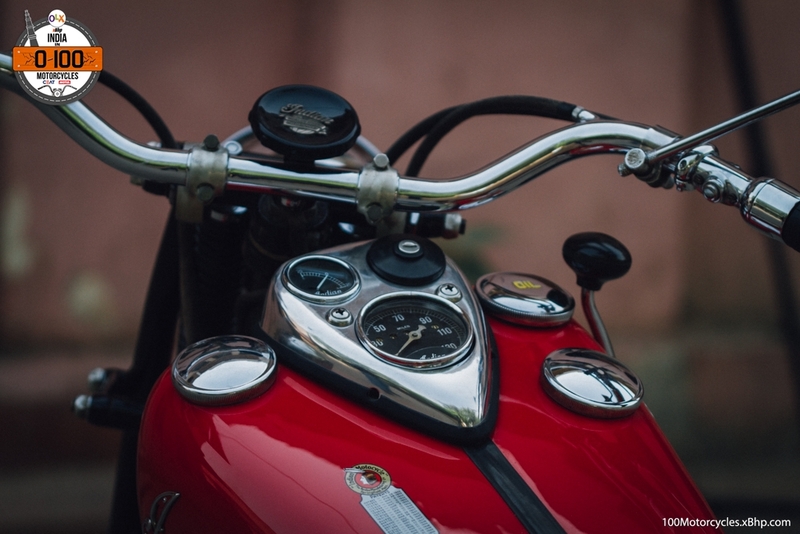 Benelli is one of the oldest Italian motorcycle manufacturers established in 1911. They have been making motorcycles since then, although, they also made shotguns! Running short on budget? 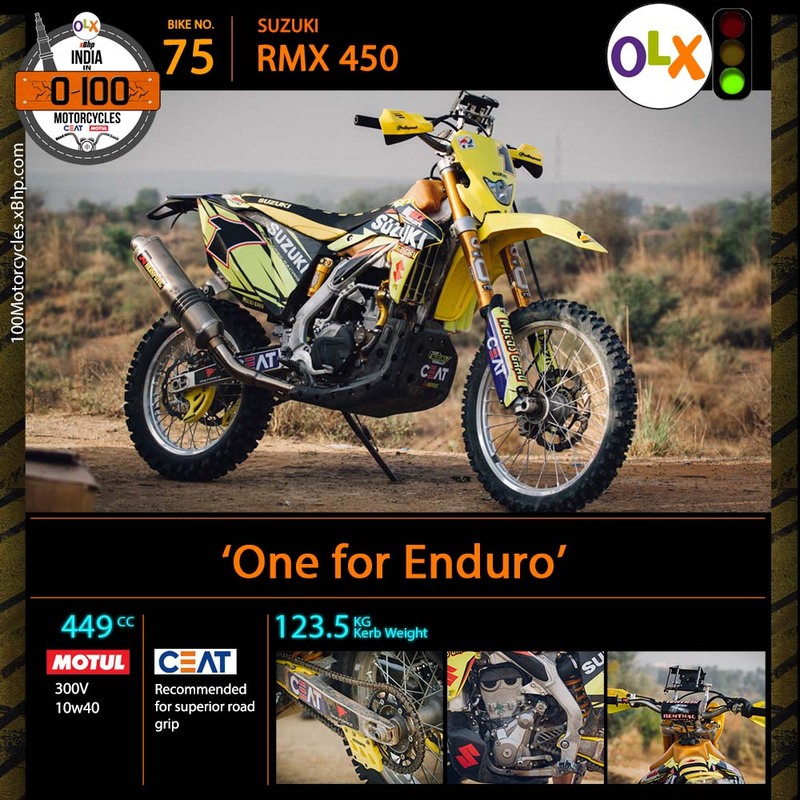 Buy your favourite Benelli bike on OLX. 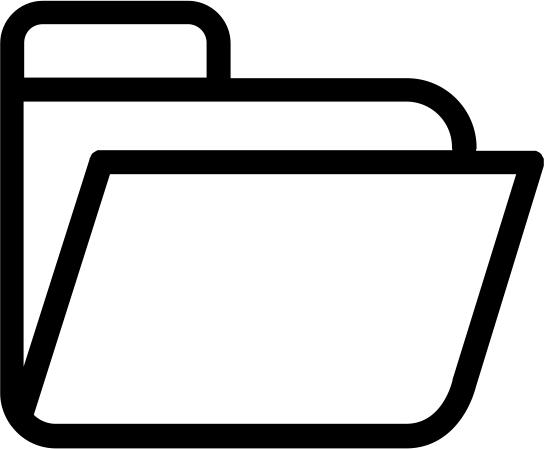 Given the longevity of the company it wouldn’t be really out-of-place to assume that it is a very successful brand, but the reality is a little bit different. The Italian company has had its fair share of troubles with various ownerships through the years that didn’t really enable it to reach the desired levels of success. However, Benelli did hard to produce some very interesting sportbikes with designs simply ahead of their times and features that were literally not found in any other production motorcycle. 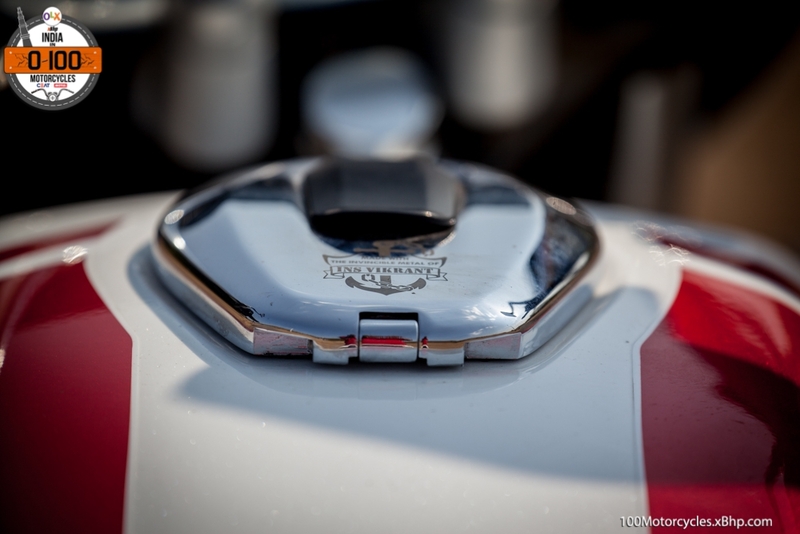 For example, the Tornado Tre Superbikes had the radiator fitted under the rear seat and the radiator fans that could be seen clearly from the back. From a distance, they looked like a pair of under seat exhausts. Incredible! Who would think of that? However, design wise, it wasn’t the most radical thing that Benelli had made. 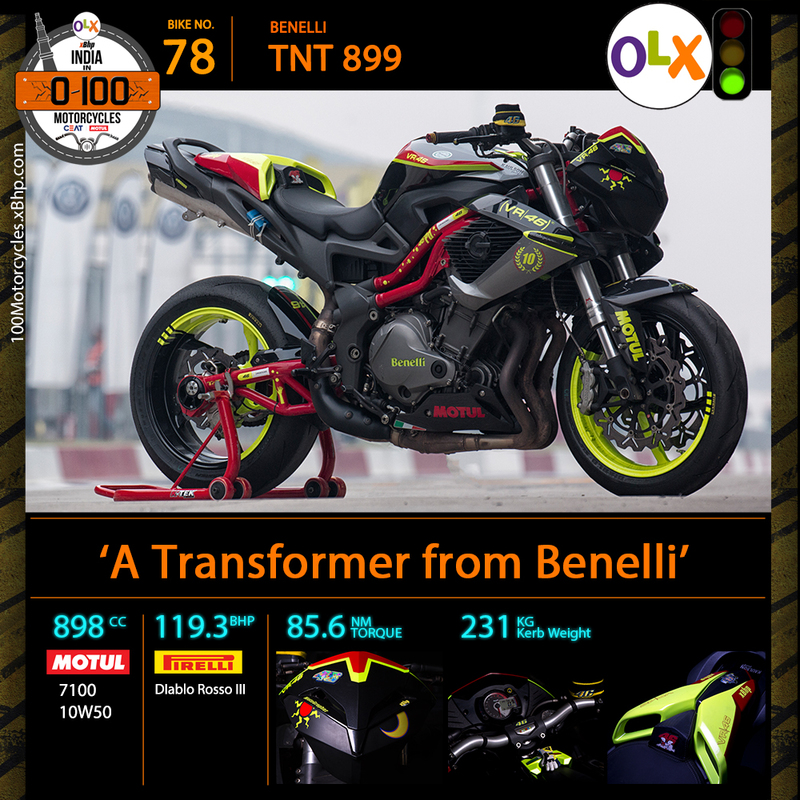 For that, we will have to look at the less streamlined Benelli, the one which exposes more flesh than the Tornado and comes with the TNT moniker. 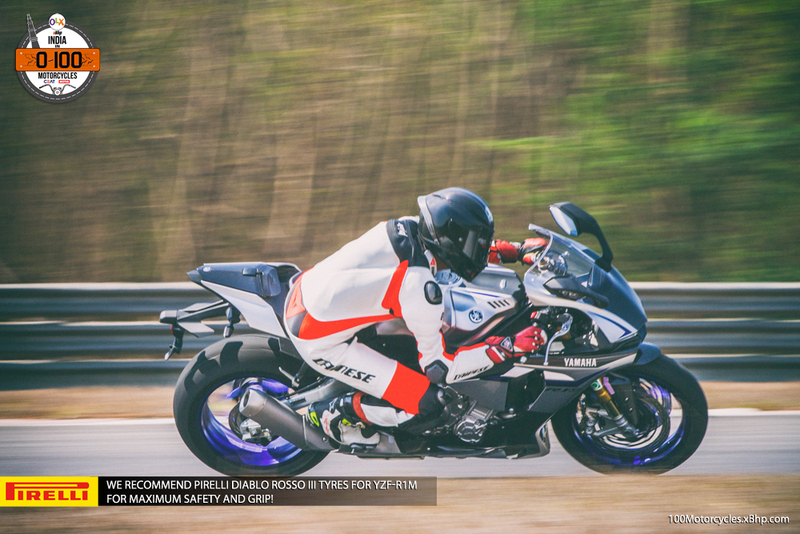 We actually also raced the Benelli TNT 899 and the 1130 at the Buddh International Circuit in the 1000CC superbike category and it performed quite well! 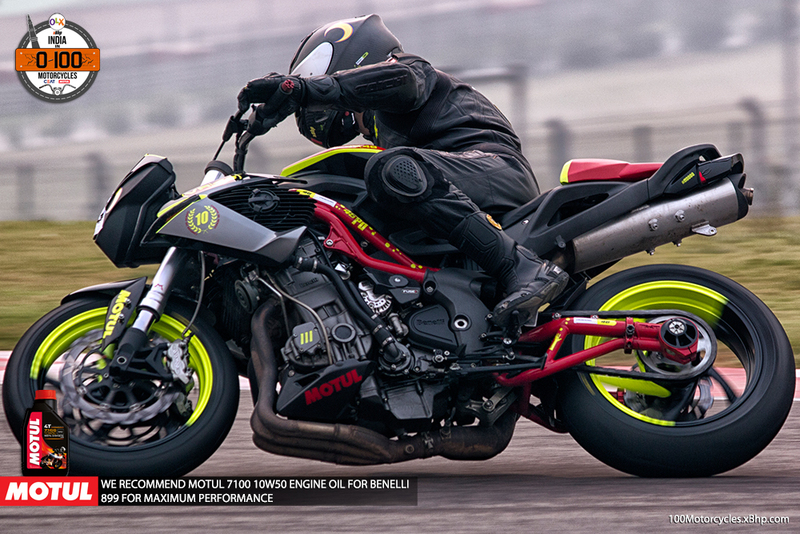 TNT – Tornado Naked Tre – are the naked or the streetfighter motorcycles from the Benelli stable. And for the uninitiated, ‘Tre’ means ‘Three’ (in Italian) for the inline 3-cylinder engines found in the Tornado Tre 1130 and the TNT 1130 and the TNT 899. Today, under the ownership of the Chinese motor group Qianjiang, Benelli is looking to make a statement in various markets. Since the company’s entrance into India, it has left majorly no stone unturned to get itself noticed and become a prominent player in our market. 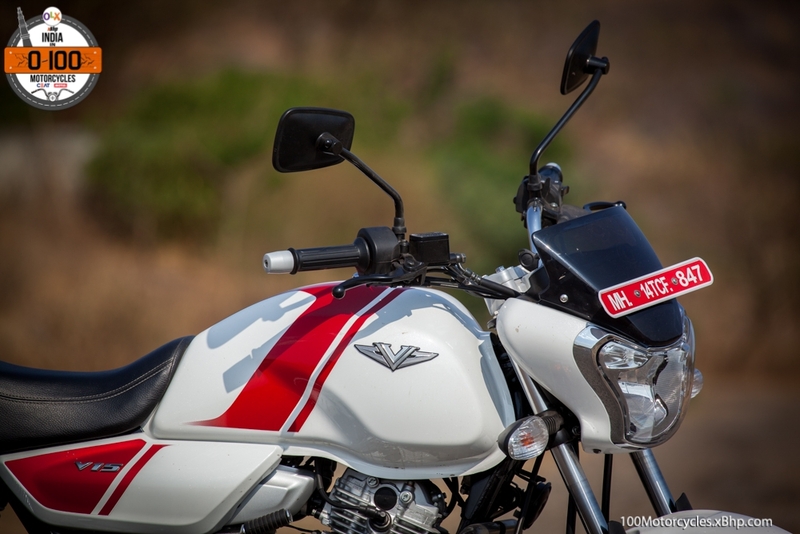 While it is not easy to compete against the more established and successful brands, Benelli has done quite well so far and offers six motorcycles from the 250cc to the 1131cc. One of those motorcycles is the TNT 899 with the 898cc inline 3-cylinder, liquid cooled, DOHC, 12-valve engine. 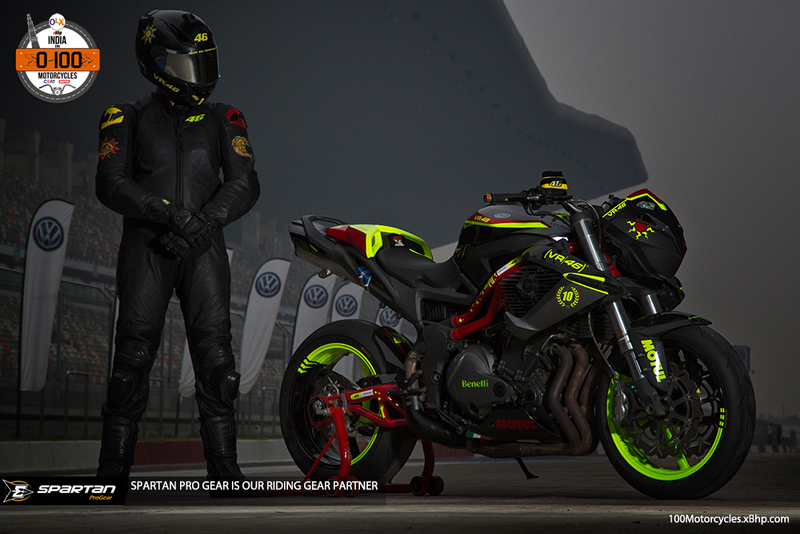 It produces 119.3 BHP of power at 10,000 RPM, 85.6 NM of torque at 8,000 RPM and weighs 231 kg ready-to-ride. 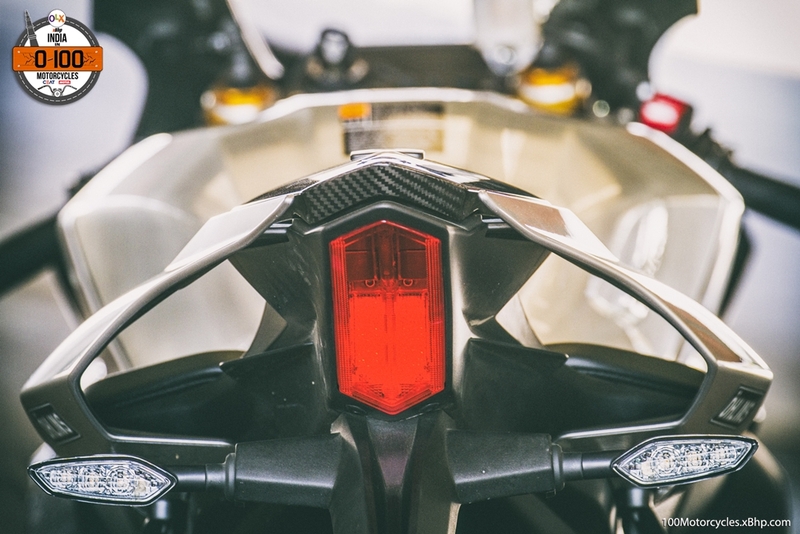 It looks like a robot transformed into a motorcycle. No wonder I wouldn’t be surprised to see it in a Transformers movie. 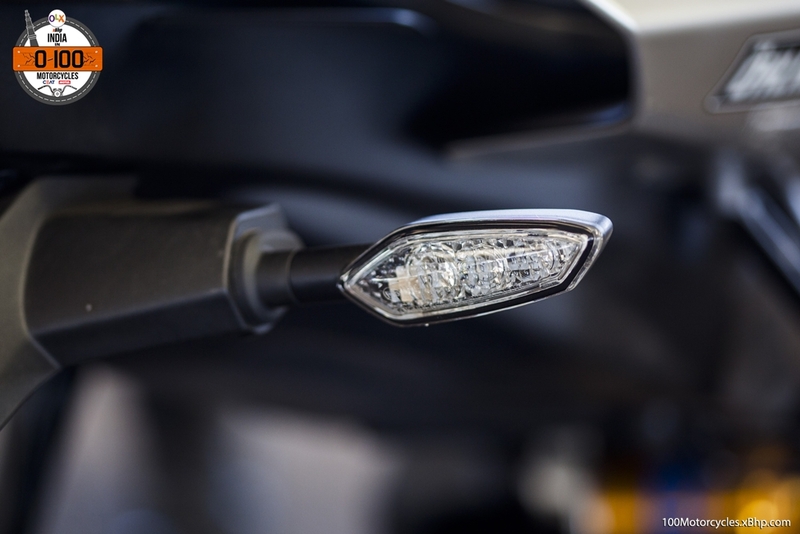 The headlight has a sort of a diamond-like shape and it looks like a face of a humanoid. Frankly, that is enough to give it a personality. 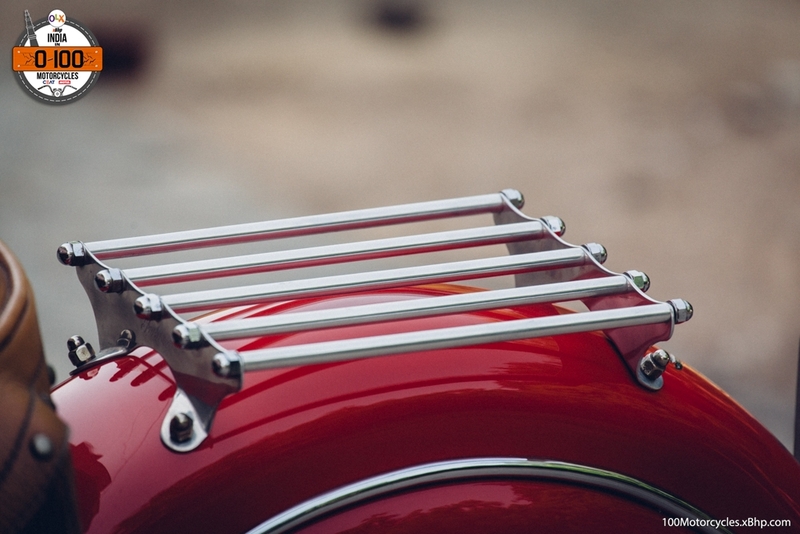 But the rest of the motorcycle carries the same design language throughout. The fuel tank is substantial and sharp enough but not overly edgy and the tank shrouds house the radiators. The seat is well-padded but a bit slim. 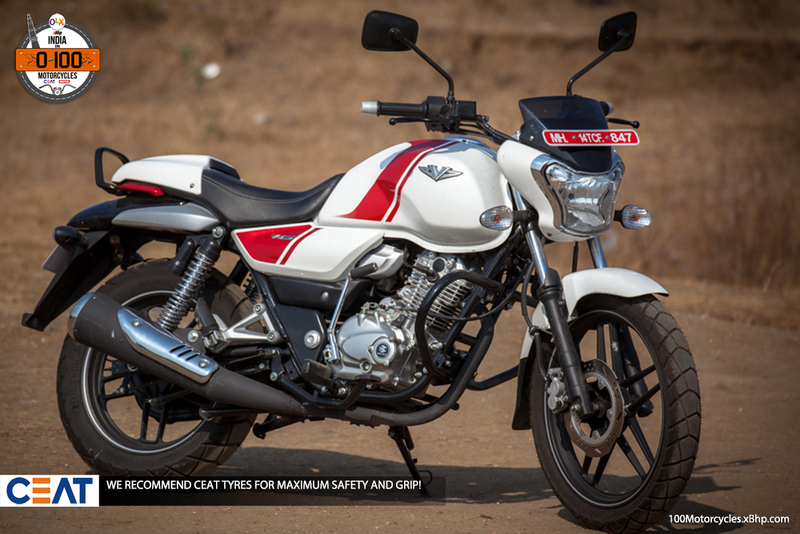 What adds to the TNT’s looks is the twin-tube steel frame and the similarly manufactured swing-arm and they are both finished in bright red colour. 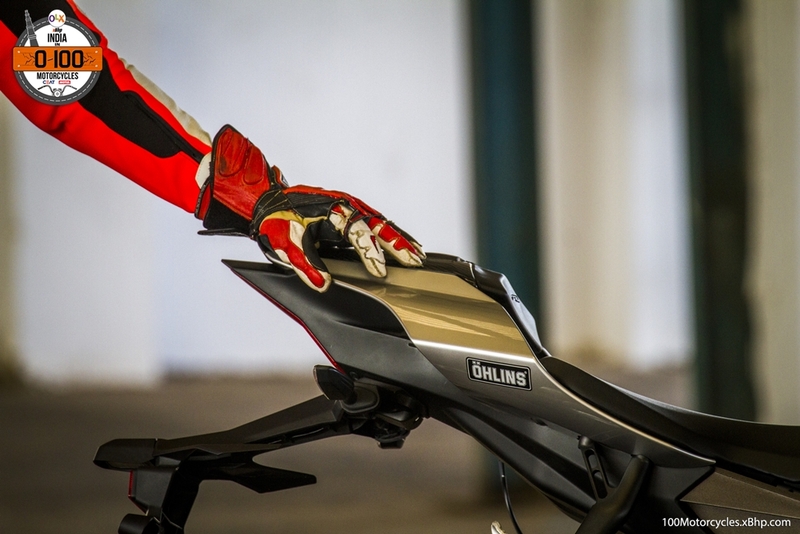 The swing-arm, particularly, is quite unconventional. 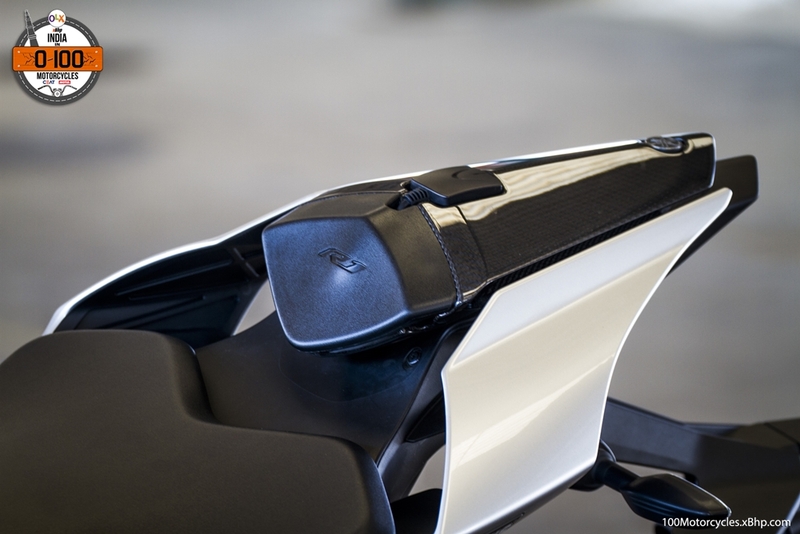 The rear sub-frame further adds to the fleshy design of the motorcycle. 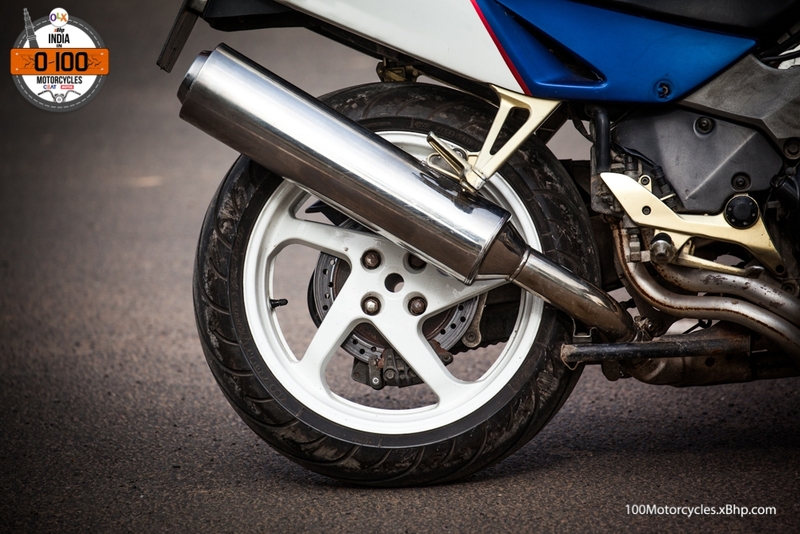 The 3-into-1 under seat exhaust might tell something about the not so low centre of gravity. 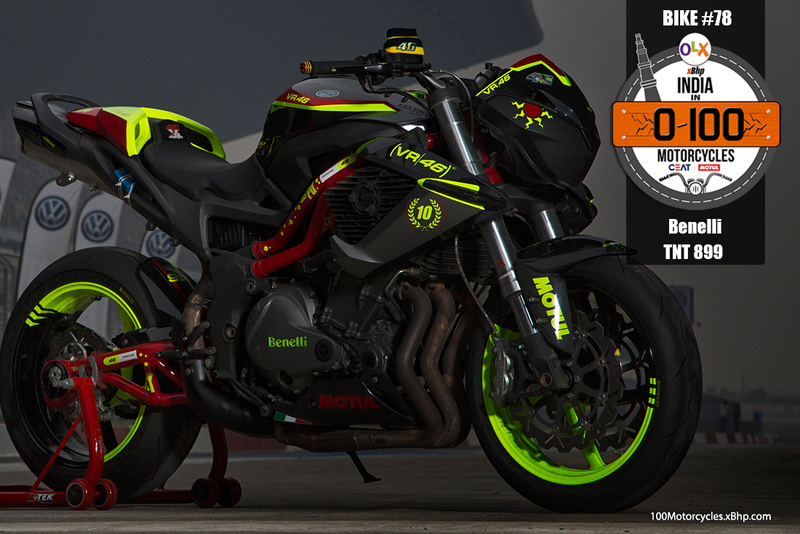 Italians are known for their design and the TNT 899 isn’t short of that. The fit and finish of parts are good but clearly, it is not as good as that of a Ducati for instance. Overall, it is an interesting looking motorcycle. 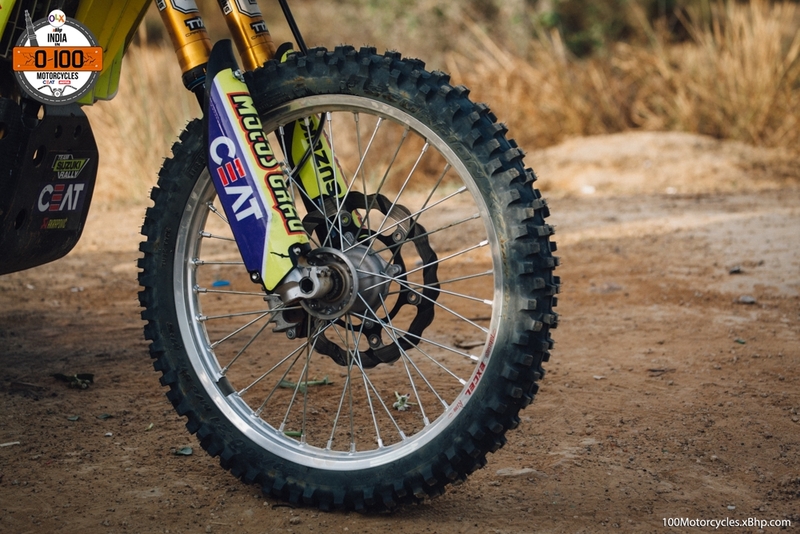 At the front, there’s a pair of Marzocchi upside-down forks along with twin-disc Brembo brakes. 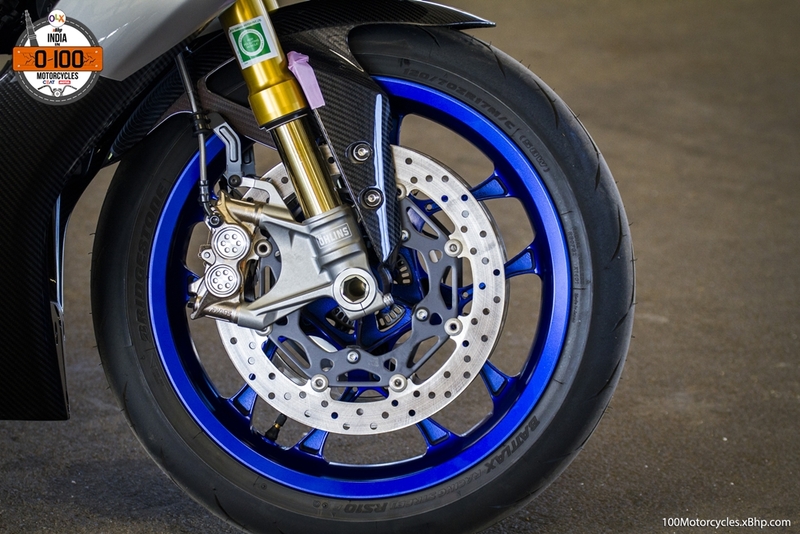 At the back, there’s a mono-shock with a single disc to assist the stopping duties. 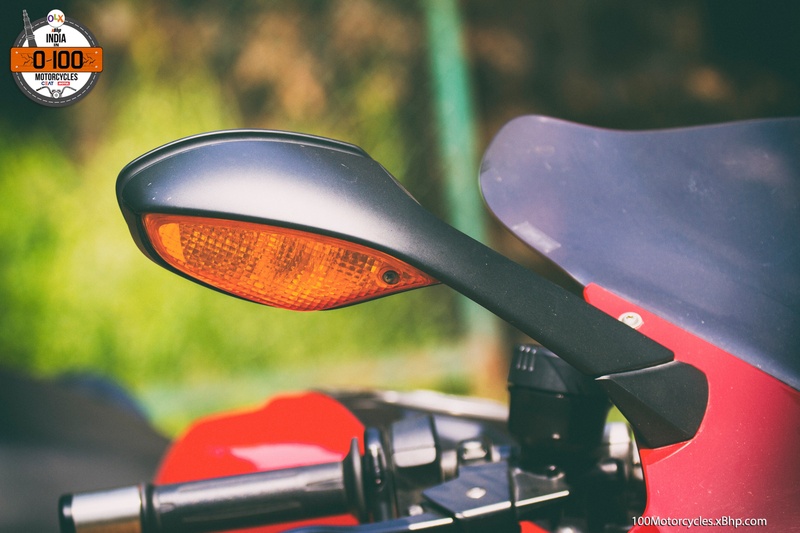 There’s no ABS on offer and that is one of the biggest downfalls of the motorcycle today. 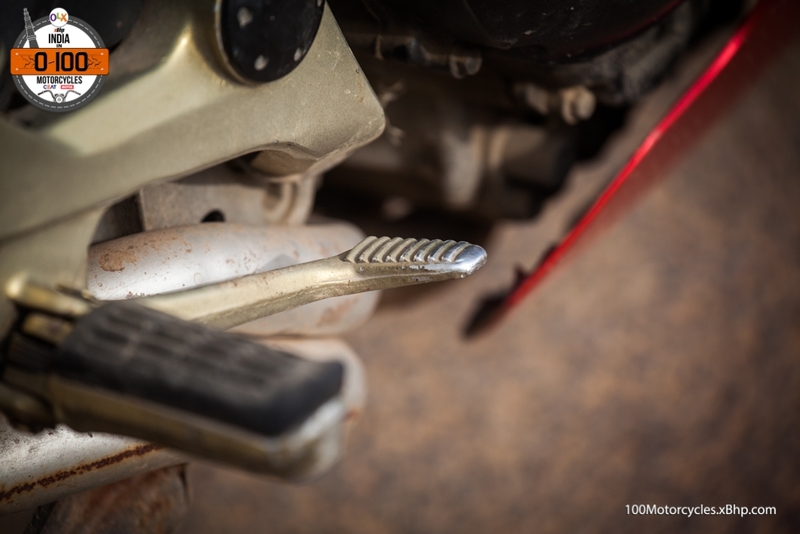 ABS is the most basic safety feature which is now available in most motorcycles and the TNT 899 doesn’t get that. 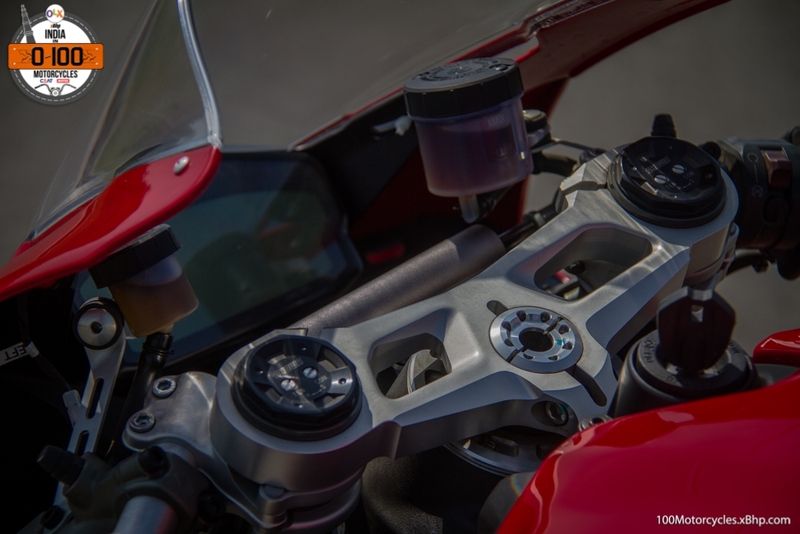 The 898cc inline 3 engine is quite smooth and generates a nice inline-cylinder hum, however, there’s a lot of mechanical noise at idle and lower revs at times. The seat height feels a bit tall for shorter riders but it’s not intimidating at all and the ergonomics are not bad for city riding at least. 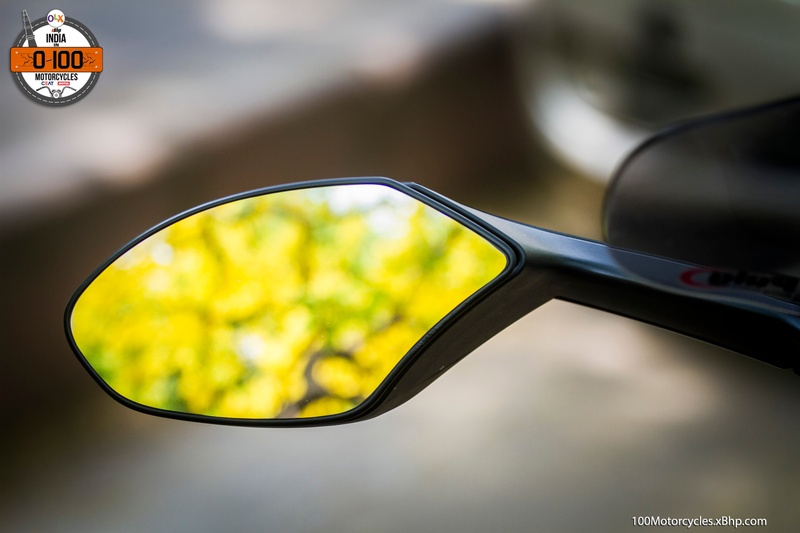 Handling is predictable but tight U-turns can be a bit tricky at times at very low speeds and since there’s no ABS, braking on not-so-perfect surfaces require lots of concentration. 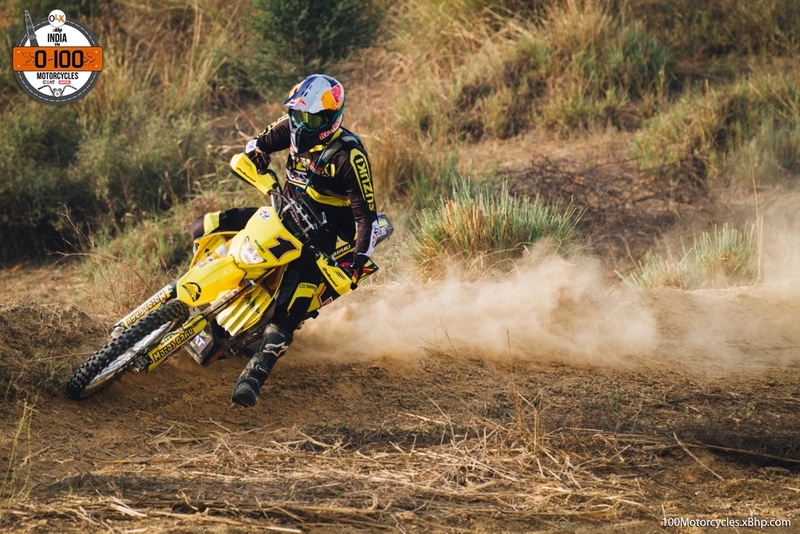 In corners, the TNT turns predictably but seemingly it is not in the league of, for instance, the Monster 821. Lack of development since its launch in 2008 is quite clear. It is like stuck in two worlds – the design makes it look futuristic, otherwise, though, it is quite outdated. 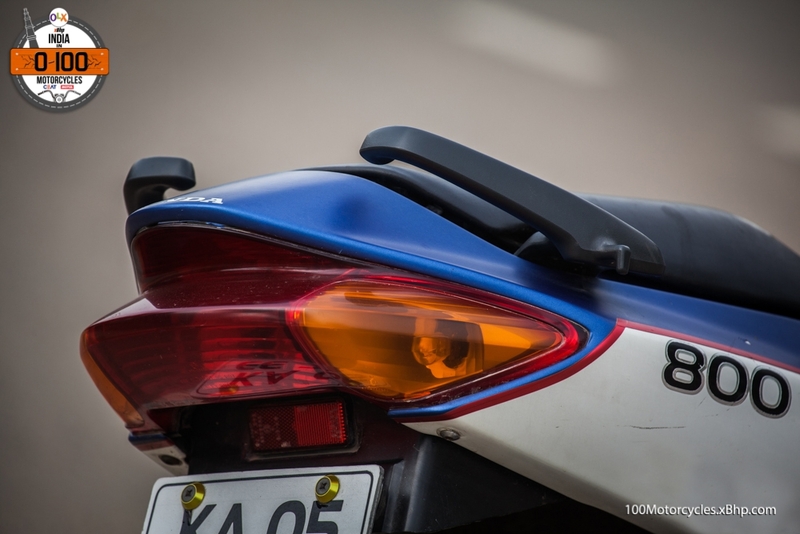 It needs to lighter first and foremost, then the under seat exhaust needs to go for better centre of gravity and pillion comfort. And no matter how cool it may look, it is long in the tooth and is begging for a styling upgrade as well along with a brand new engine. This becomes continually apparent as you spend more time in the saddle. Yet, it is impressive that the TNT 899 still looks as futuristic as ever. 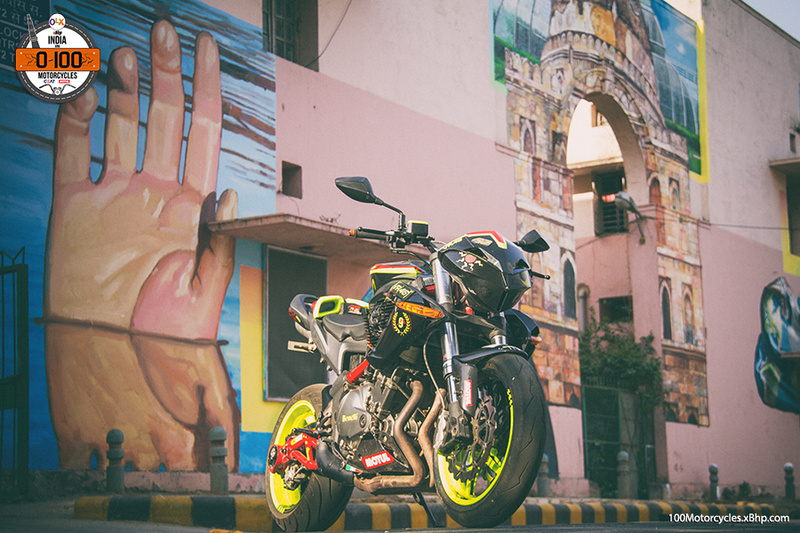 The motorcycle hasn’t lost its appeal at all as far as aesthetics are concerned and Benelli needs to be applauded for that. 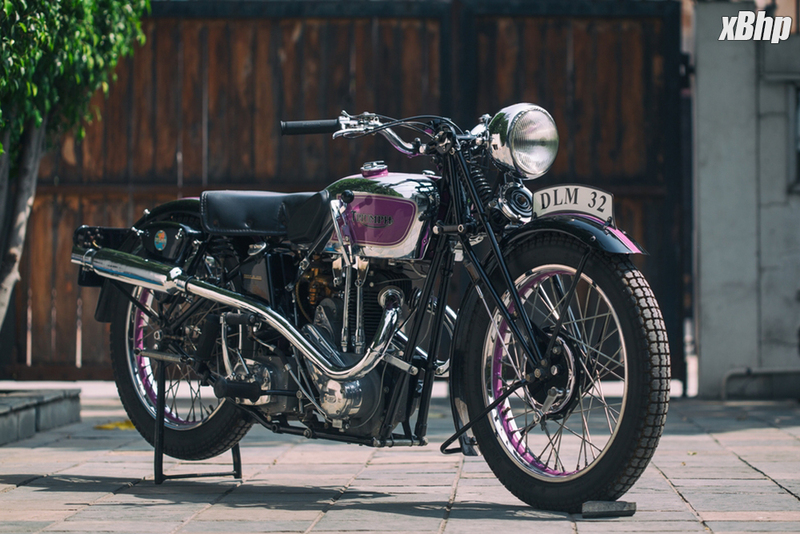 With all the trouble it has been through, this company which has its roots in Italy continues to produce some of the sharpest looking motorcycles. 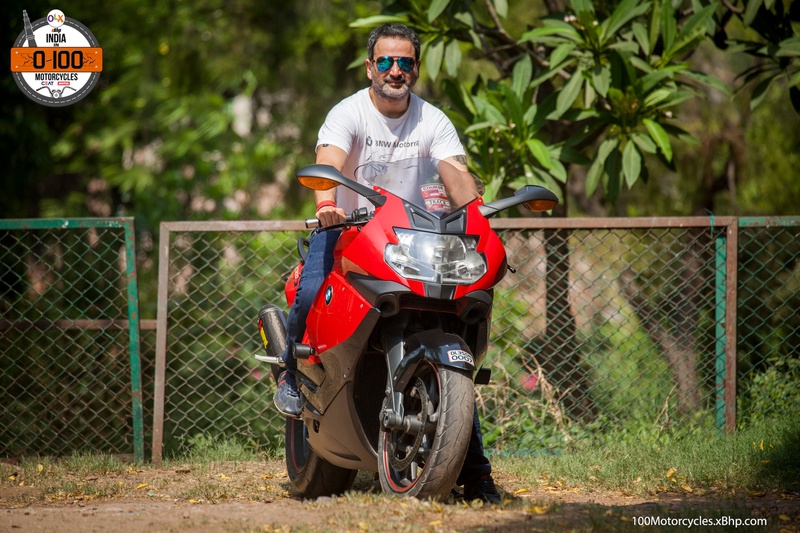 And with their rising popularity in India, which is again a very bit motorcycle market, we only wish that Benelli will come out with ever more stunning and cutting-edge motorcycles. Buy a used Yamaha motorcycle from OLX. 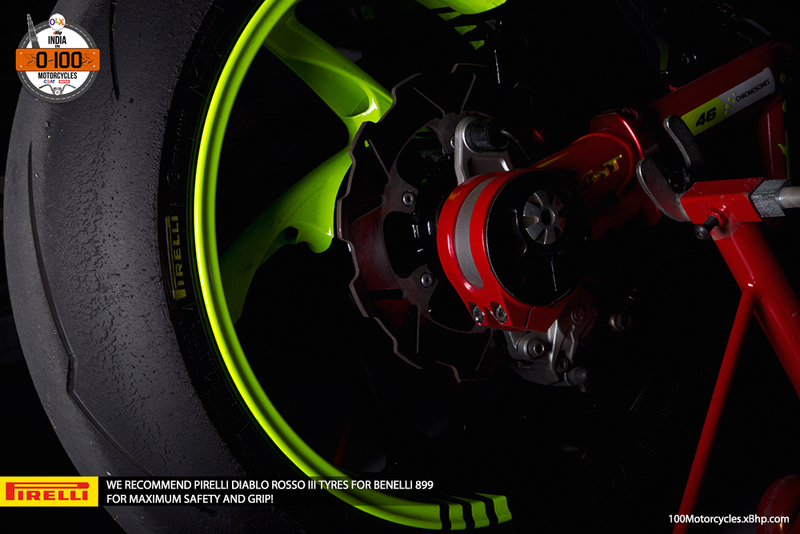 The litre class Superbikes have always been designed to go best on racetracks. 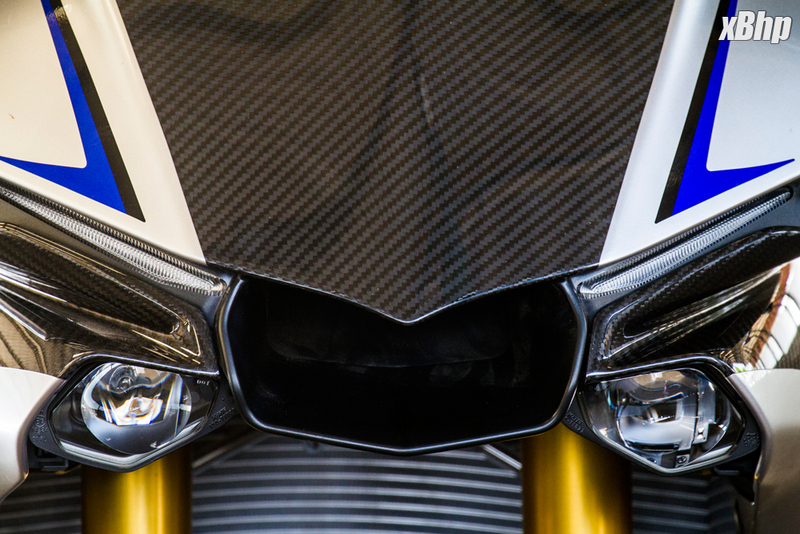 Their aerodynamic bodywork, aggressive riding dynamics, engine power and suspension setup – everything has been developed to extract the maximum performance out of them. 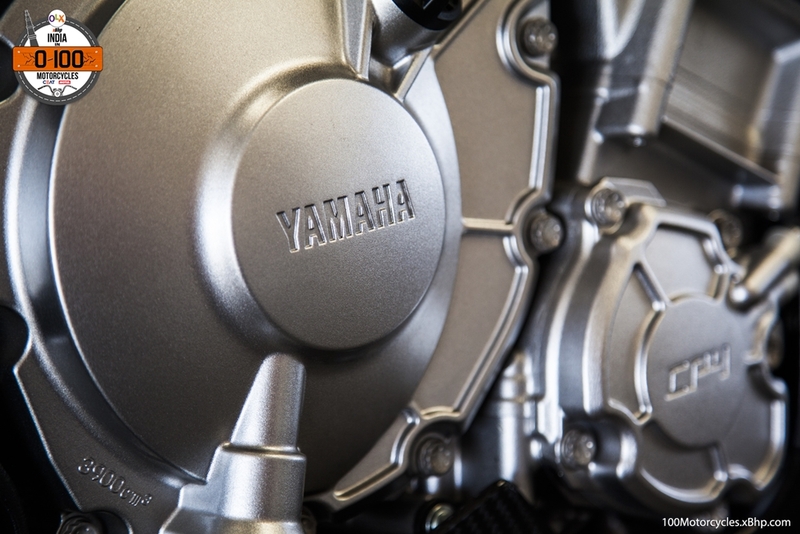 In essence, they are the most performance-oriented production motorcycles on the planet. Falling short on cash? 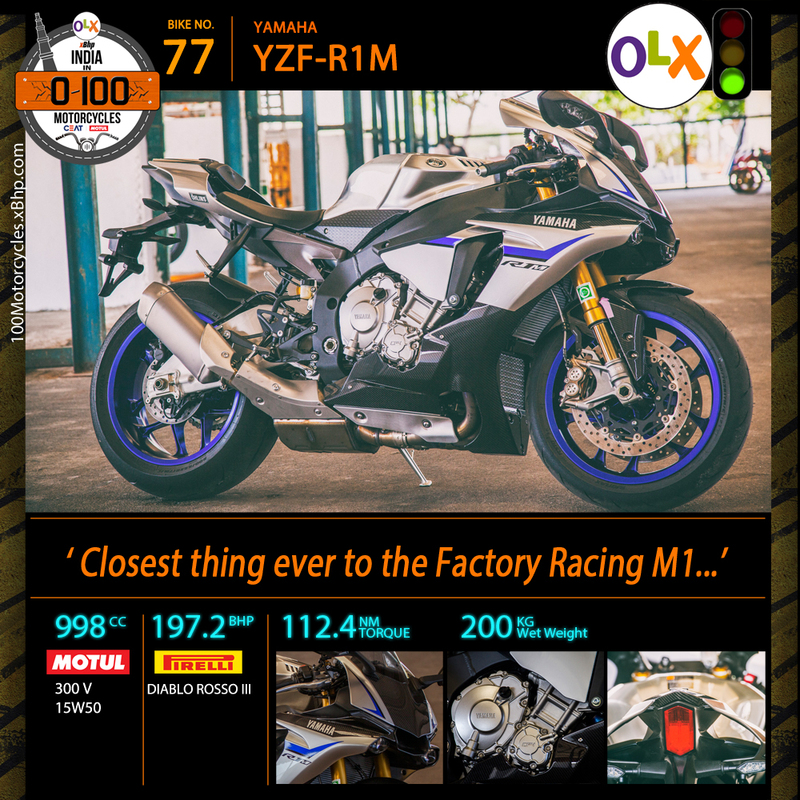 Find your favorite Yamaha Motorcycle listed on OLX for sale. 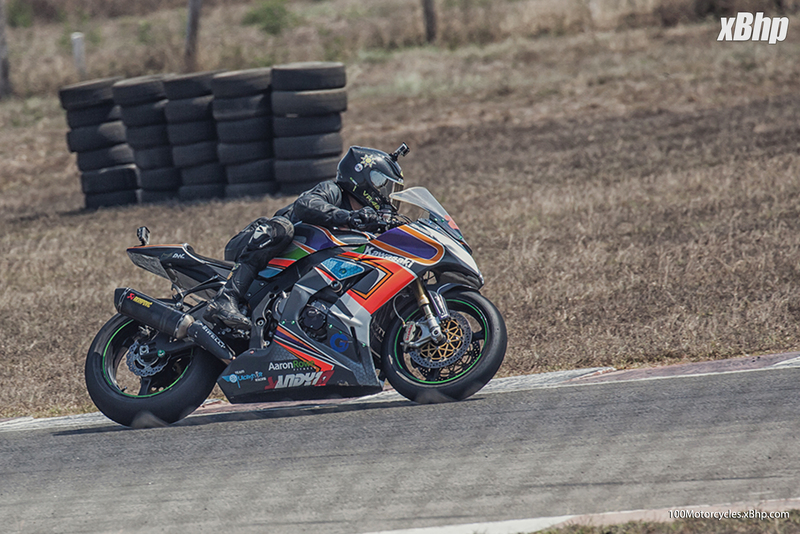 For this reason, alone, riders who are regular on track, highly experienced with setup and performance changes for track riding, often end up upgrading their Superbikes with better suspension, tyres and few other performance modifications to improve their motorcycle’s track performance. 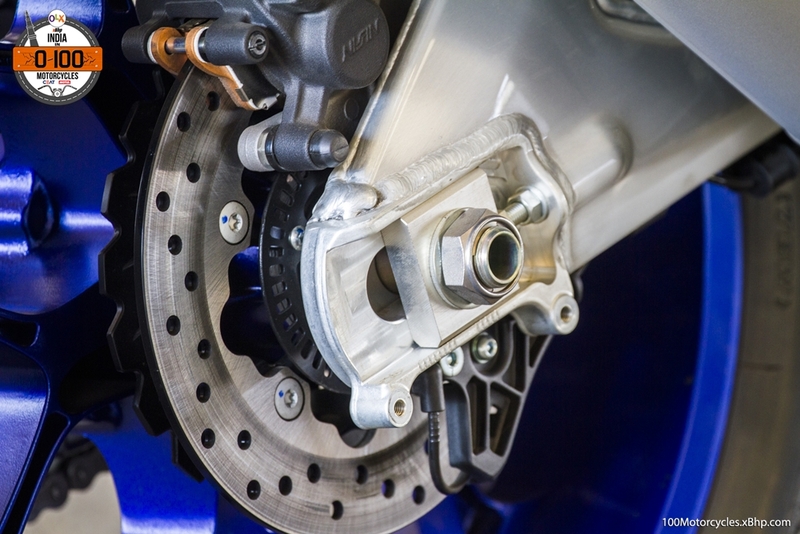 If you want the best out of your sportbike, changes required do not really come cheap. It requires investment and deep understanding of how stuff works. Also, you need time. But not everyone is knowledgeable enough about modifications and perhaps, not everyone would want to invest in aftermarket parts as there’s a risk of messing things up. 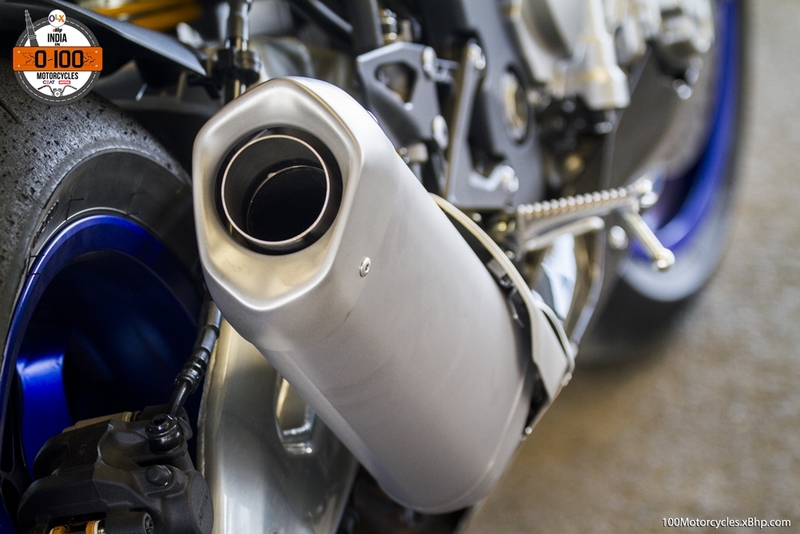 In comes the race-spec or the higher-spec versions of Superbikes that are made specifically to extract that extra ounce of performance and these motorcycles come right out of the factory floor. 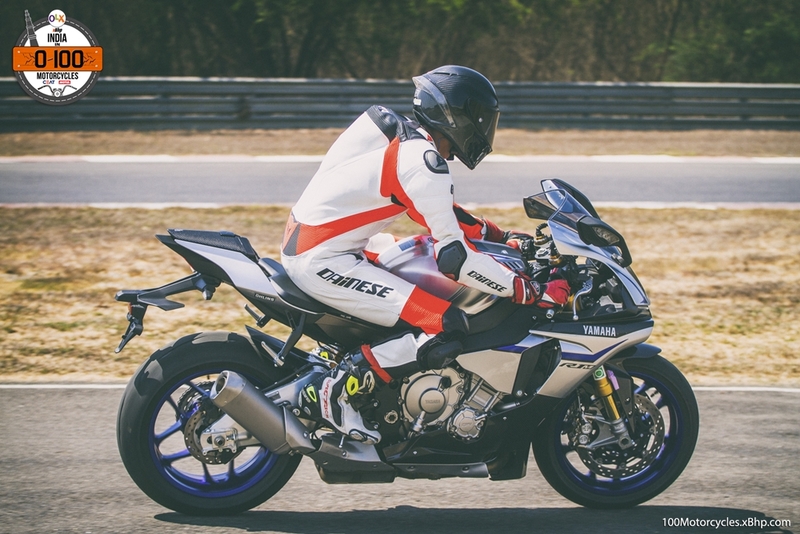 For some years now, motorcycle manufacturers have been offering these “upgraded” versions of base Superbikes as production motorcycles. These are usually not limited production motorcycles. And of course, these come at a premium. But they do prevent the effort required to turn your sportbike into a better weapon on the track using aftermarket parts. 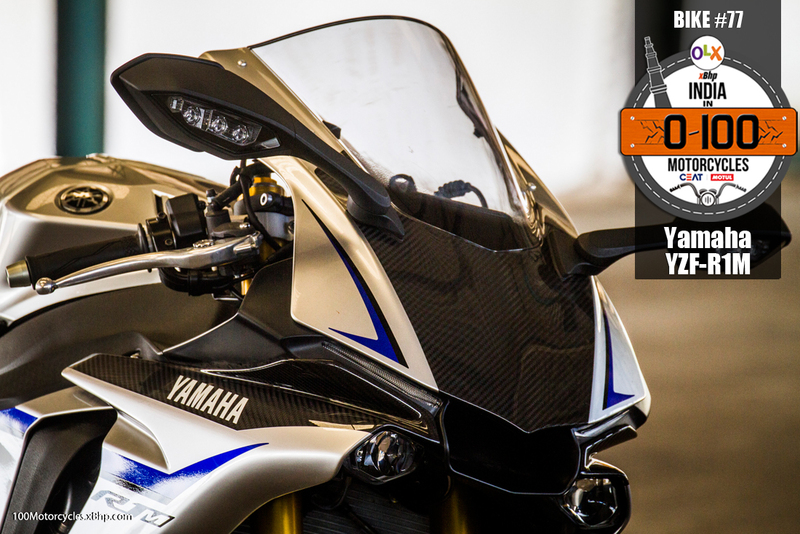 Today, we have one of the best race-spec versions of one of the best Superbikes available on the market. 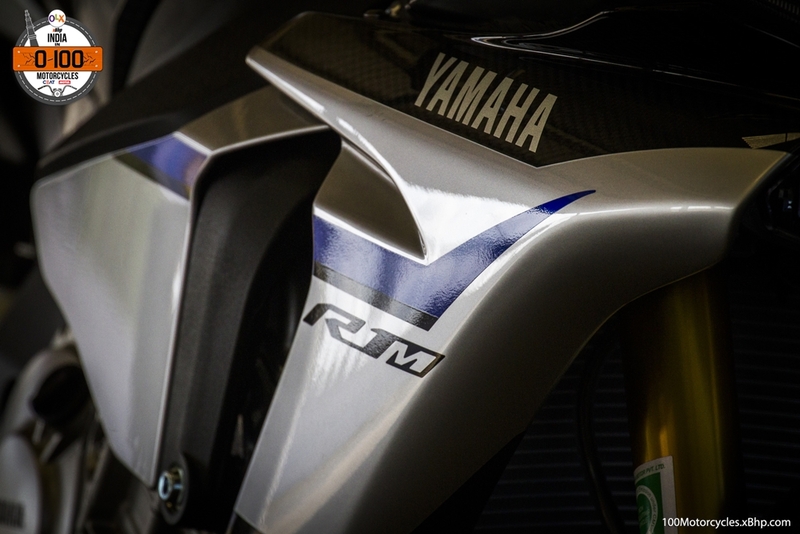 We are talking about the YZF-R1 and the YZF-R1M (the one intended to make you feel like Rossi more than ever). 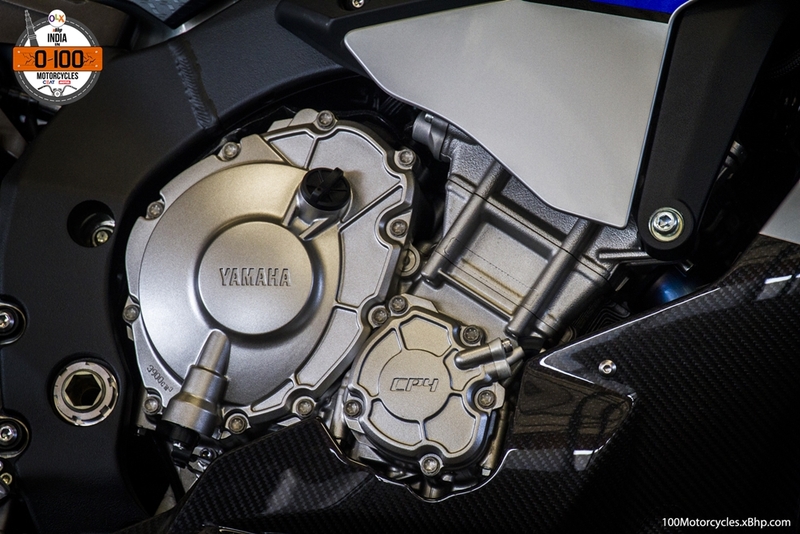 When the current generation YZF-R1 was launched, it was considered closest to a MotoGP race bike, especially the YZR-M1 out of which it is derived from. 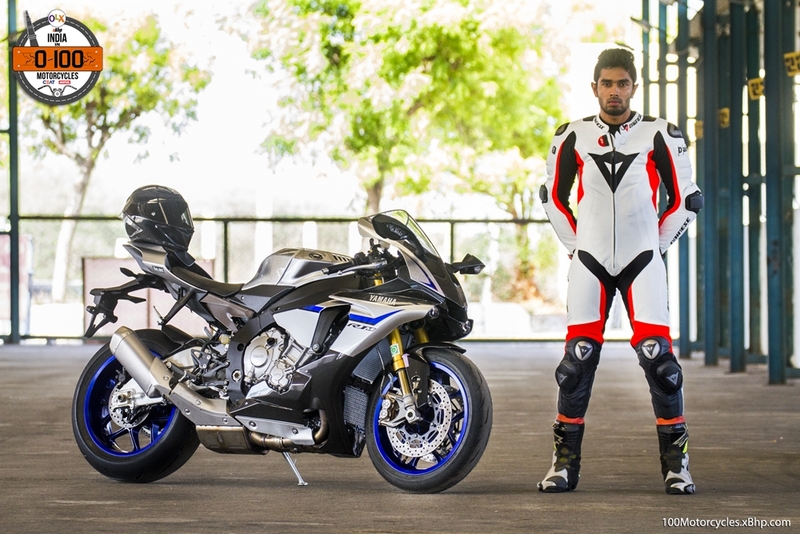 Then Yamaha also launched the M version of the R1 called the YZF-R1M which is even closer to the M1. Manufacturers are literally going crazy with technology now. 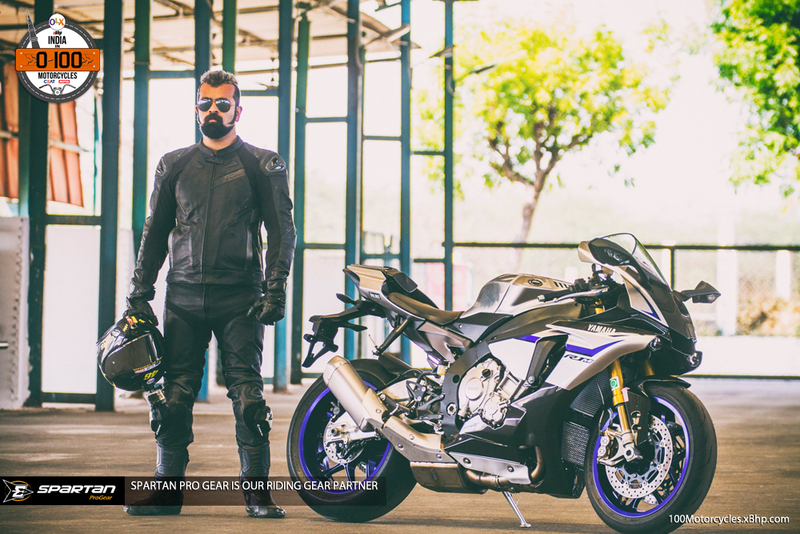 Now, the R1 is equipped with various cutting edge technologies like Front Lift control, Launch control, Slide control, cornering or lean-sensitive Traction control and Unified ABS. 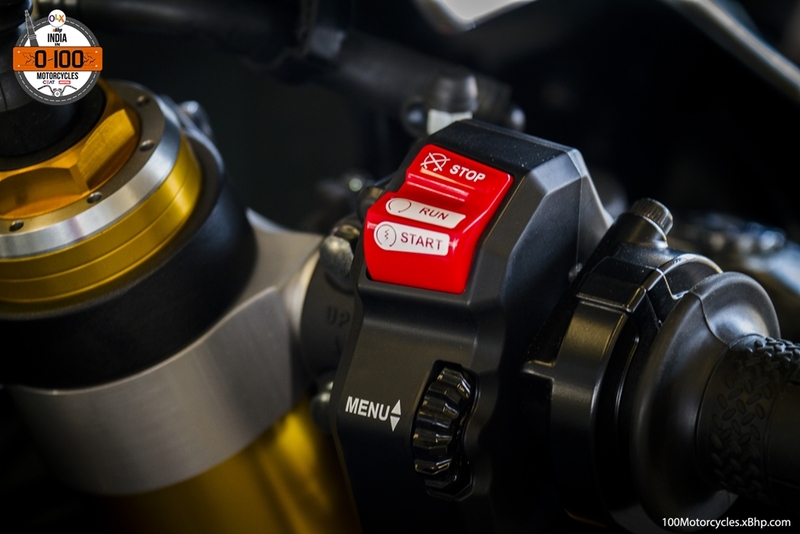 There’s also the Inertia Measurement Unit (IMU) which gathers information regarding motorcycle’s lean, front dive, front and rear lift and every possible force that the motorcycle goes through while in motion and then helps all the other electronics to work and intervene as precisely as possible. 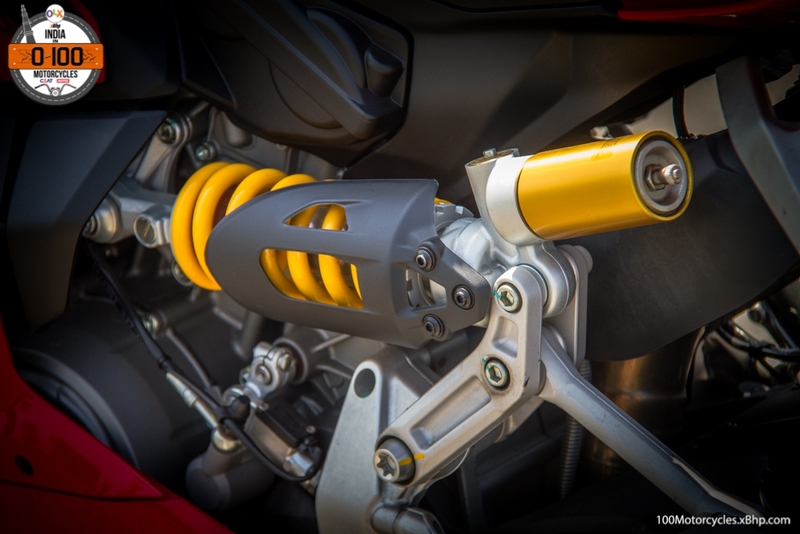 Front and rear suspensions are fully adjustable and it’s from KYB. 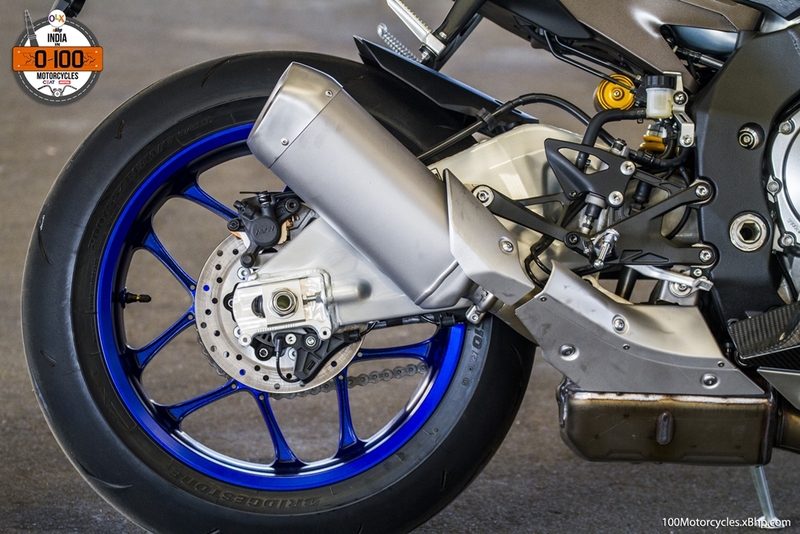 The R1M goes even further and gets Ohlins Electronic Racing Suspension which, like other electronics, works with IMU and electronically adapts itself according to the surface. 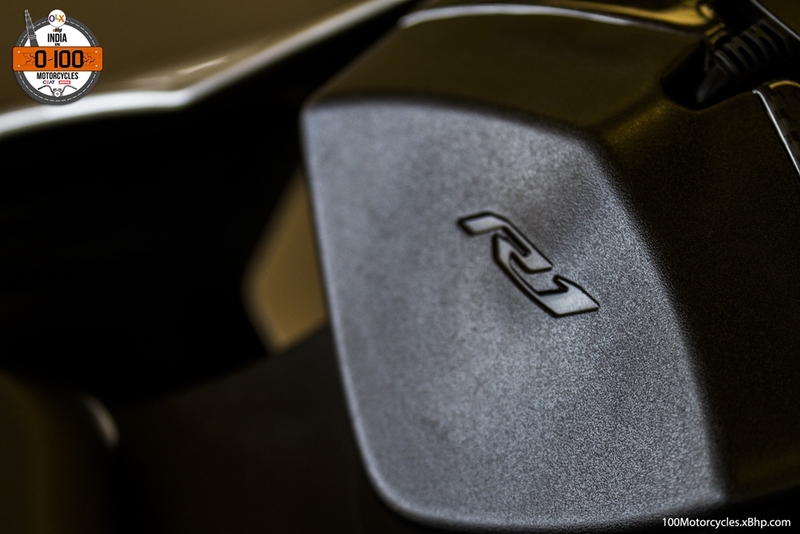 Then there’s the Communication Control Unit (CCU) which has data logging functions and records information like lap times, the position of the throttle, speed, GPS tracking and lean angle. 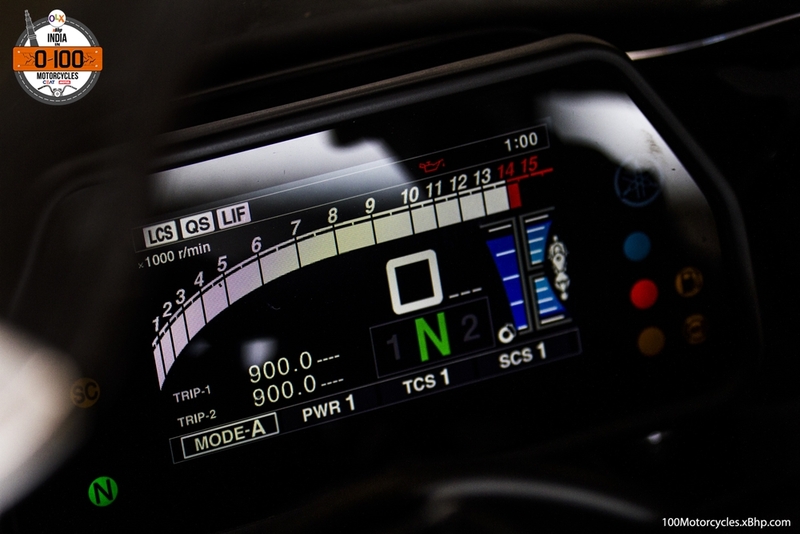 When downloading or changing all this data, CCU can also be used to communicate with Yamaha Ride Control system. 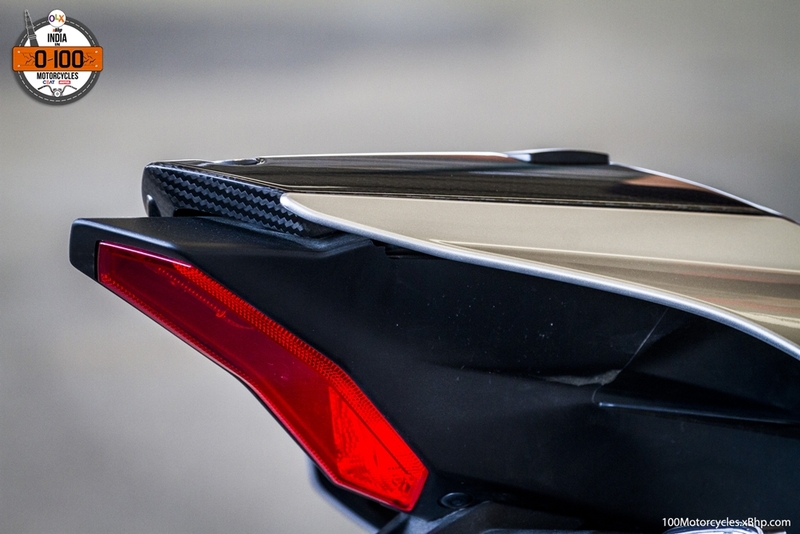 Lastly, it also gets carbon fibre bodywork for overall reduced weight. 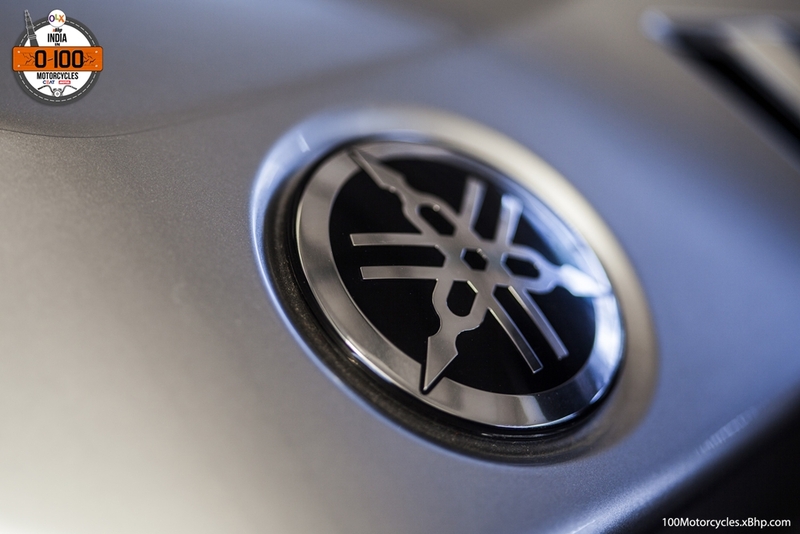 The engine is unchanged and so is the power and torque. 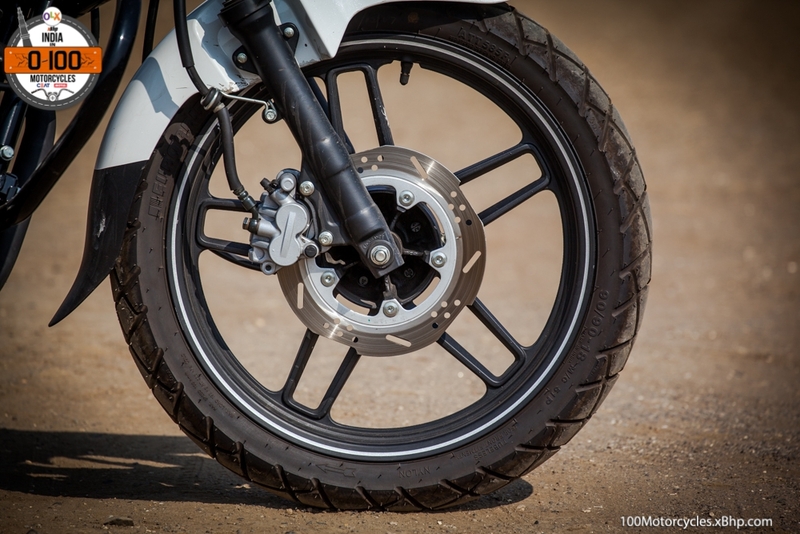 However, with several other improvements over the standard R1, the R1M performs better and with a wider 200mm rear tyre (R1 gets 190mm), the motorcycle can be leaned even more. 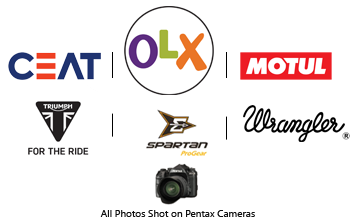 All these hardware and software systems work in harmony to provide the best possible performance out of the motorcycle. 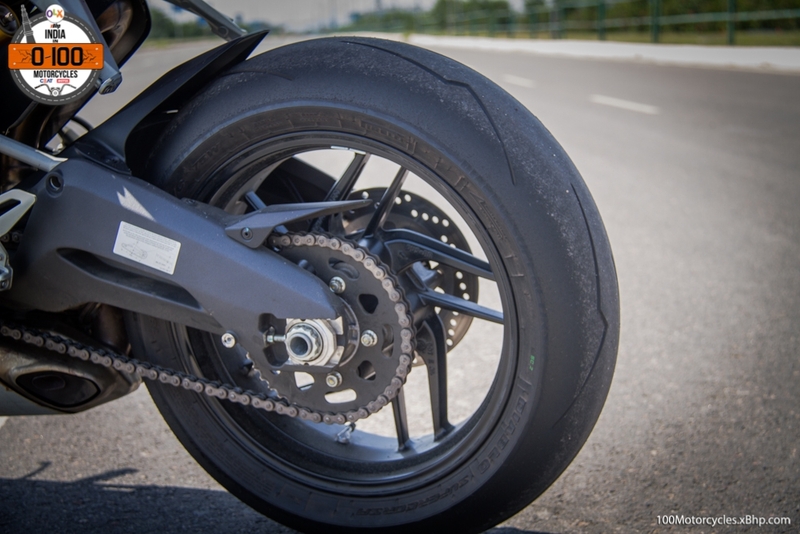 For example, the Slide Control system allows the rear tyre to slide just enough so that the rider can go through a corner as quickly as possible. If you see MotoGP, then you’d notice, especially slow motions, all riders are literally drifting through corners. This is racing technology at its best. These motorcycles don’t come cheap and the R1M retails at around 35 Lakhs in Delhi. This is far from gettable for many people out there. 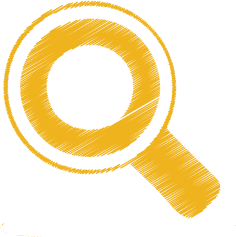 However, one can always try his or her luck on OLX and who knows, you might get a great second-hand deal. 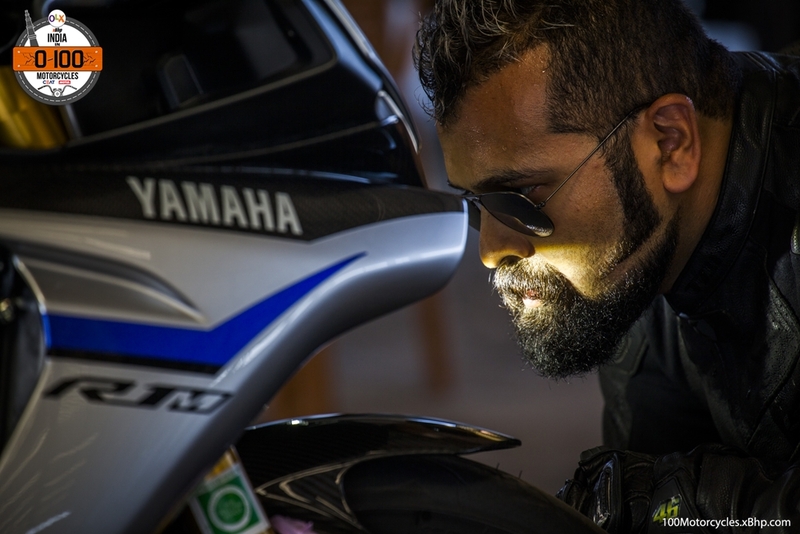 We would also like to thank Mr. Sandesh Sandy for allowing us to experience this absolutely amazing Superbike up close. 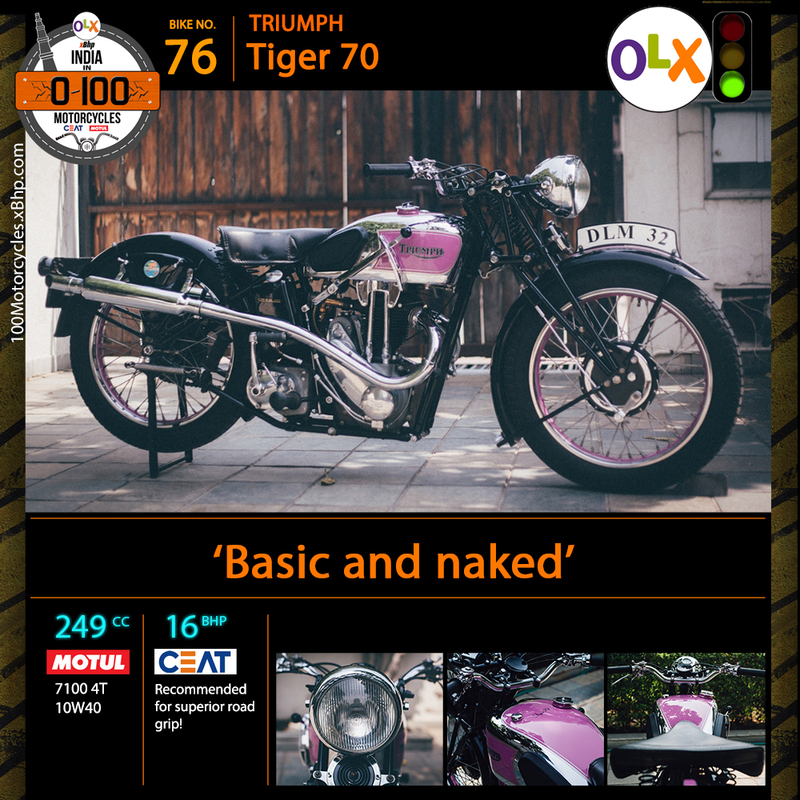 Tiger is one of the most popular motorcycle lineups by a motorcycle manufacturer today. 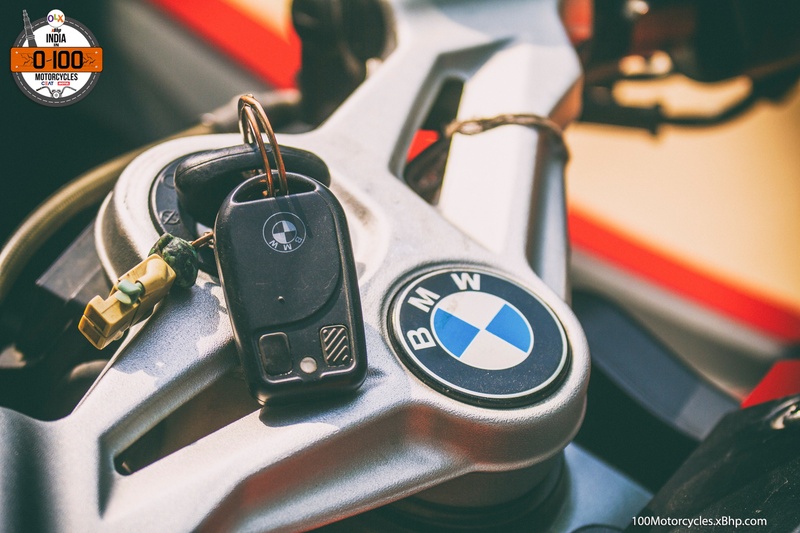 Tiger is also a reason why adventure-touring motorcycles have become a huge success in the recent years – it is big but not quite as intimidating as BMW’s gigantic R1200 GS. Running low on budget? 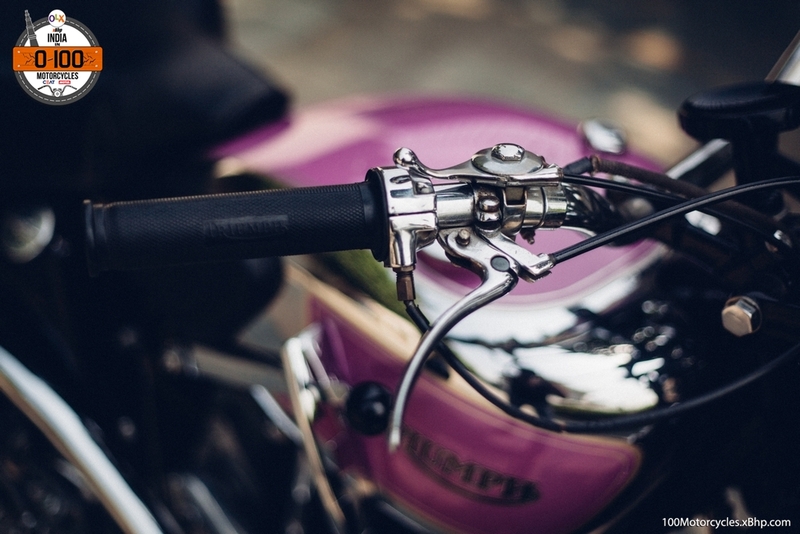 Buy you favourite Triumph motorcycle on OLX. 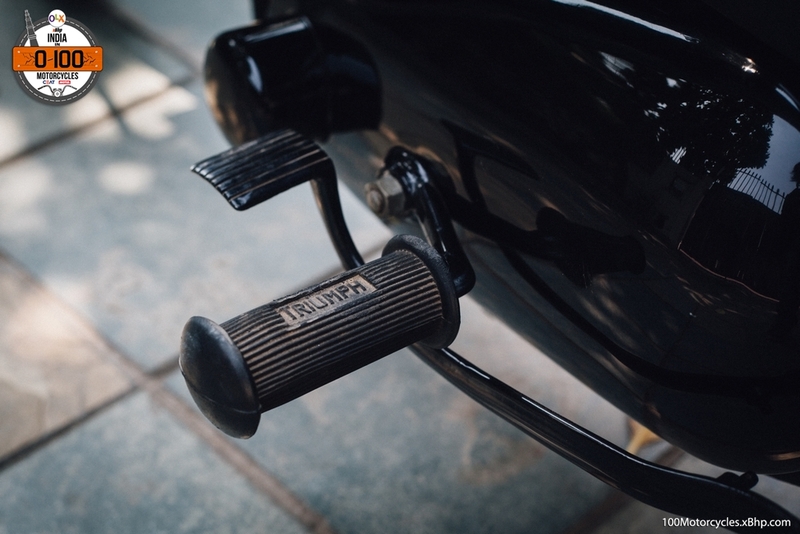 But clearly enough, Tiger is not a new brand by Triumph, it is old, very old. 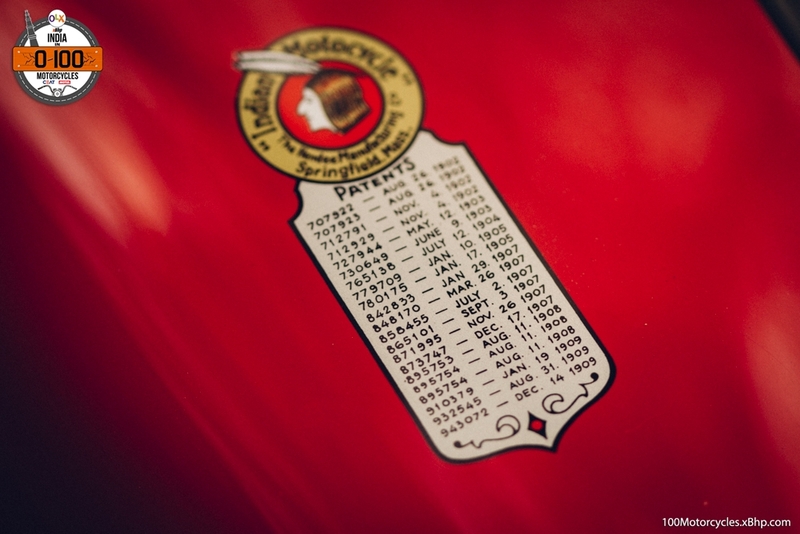 In fact, history of Tiger motorcycles dates back to 1930s! 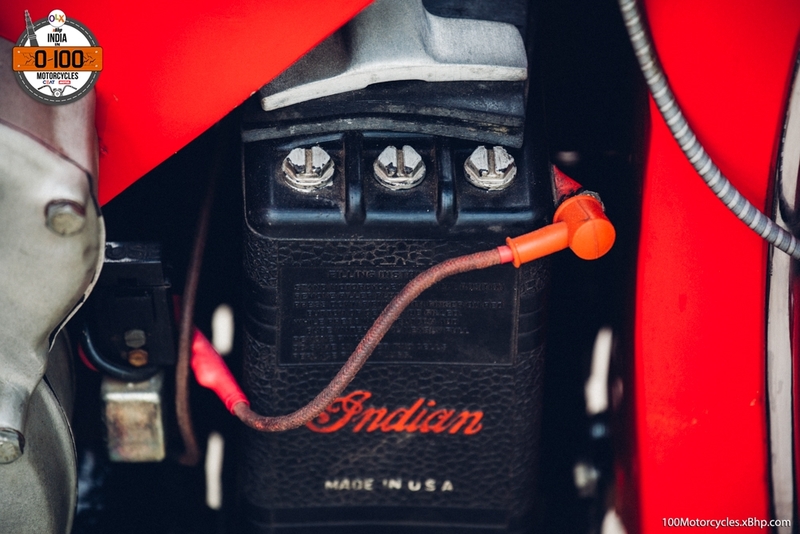 And today, we have one of the earliest Tigers – the Tiger 70 – with a 249cc single cylinder engine having overhead valve (OHV) and naturally air-cooled. 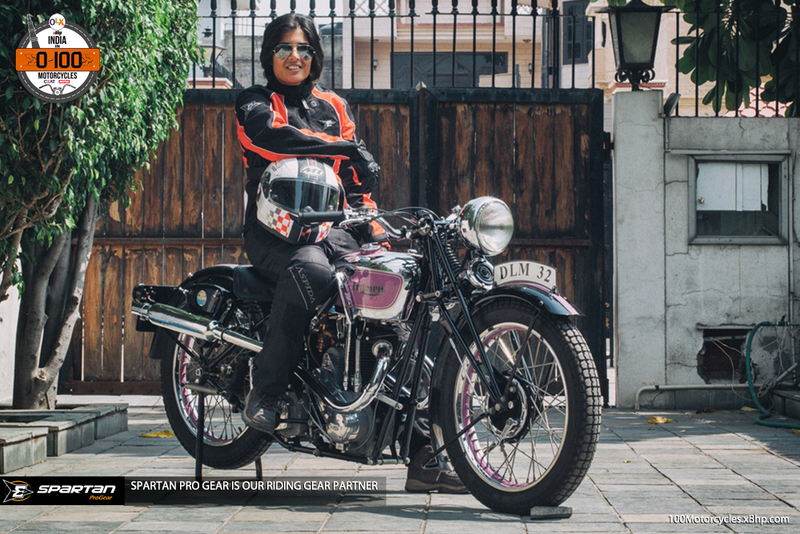 It is a 1934 model and we would wholeheartedly like to thank Mr. Gurmukh Singh for giving us this truly unique opportunity to come face-to-face with this classic. A person would be lucky to even find it on OLX but taking a chance won’t hurt anybody. So go ahead and try out your luck if you’re looking for a motorcycle like this. 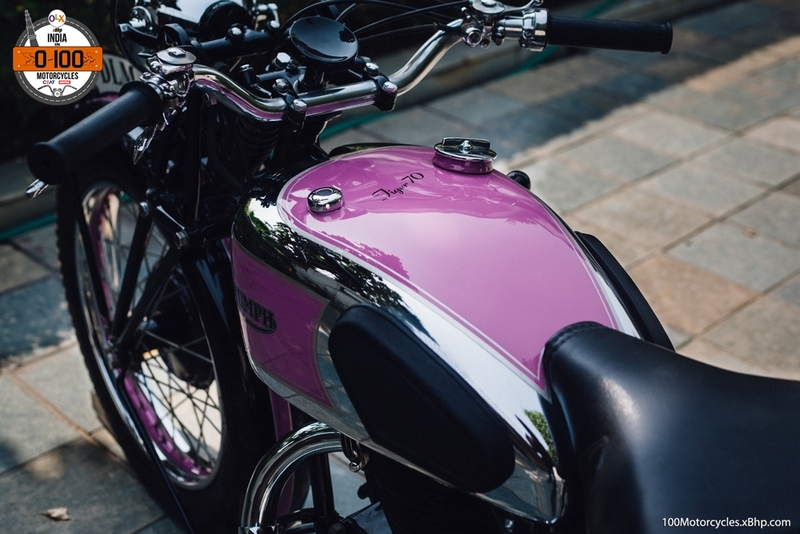 The styling of the Tiger 70 is of a typical classic – a standard fuel tank which resides on a basic frame and it’s rigid in nature (no suspension at the rear), round headlamp up front along with girder suspension. Then there is the single rider seat only (no such provision for the pillion) as this was supposed to be a race model. 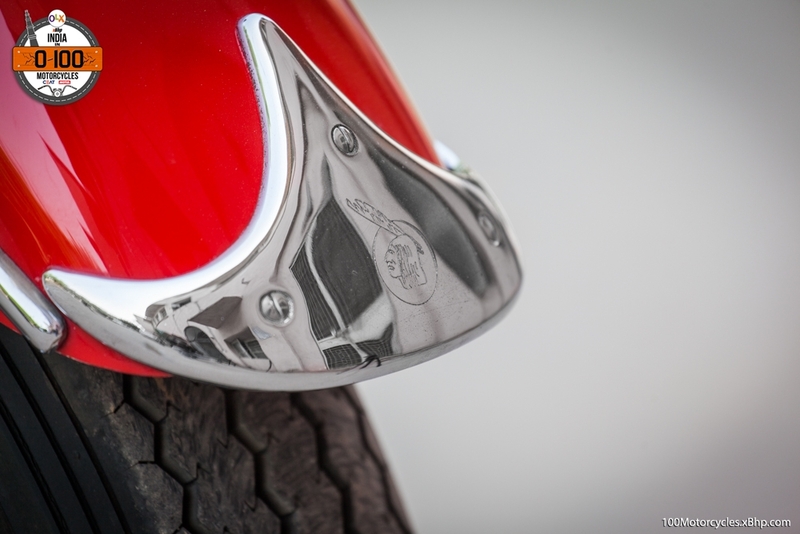 The single rider seat exposes the full rear fender making the design of the motorcycle appear streamlined. 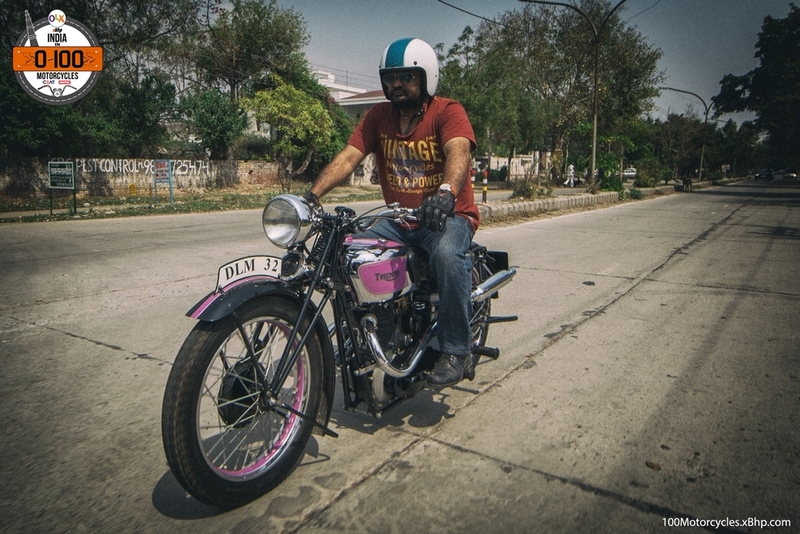 Also, the original pain of the motorcycle was silver and black but Mr. Gurmukh painted it in racing pink. 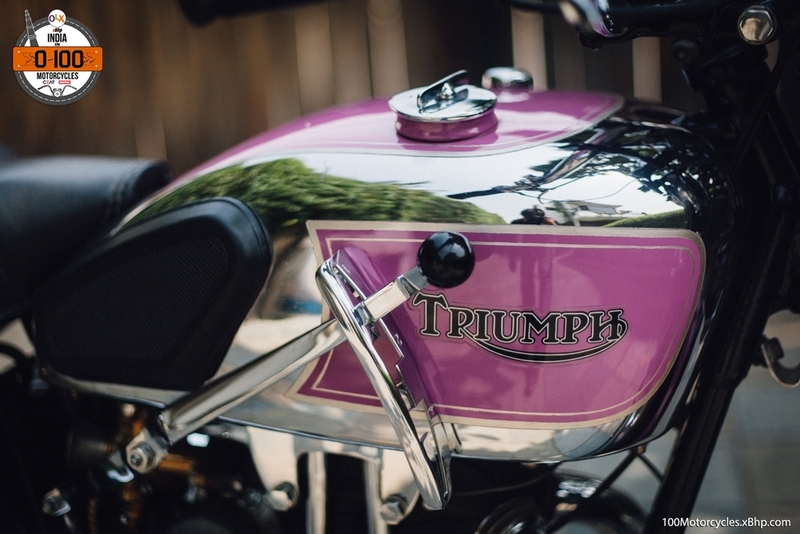 This color was once an official color in Triumph. Although, there are two elements of Tiger 70 that stand out today because – they are terribly outdated but this is how engineering was back then. 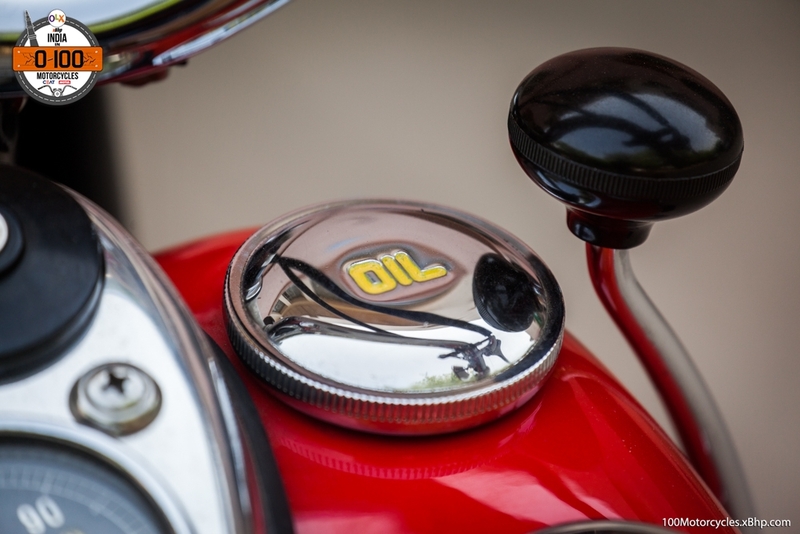 First is the 4-speed hand-shift gear lever which is on the right side of the fuel tank and secondly, the valve spring that is clearly visible from the outside of the cylinder head. They can be seen moving as the valve operates, just like looking at an engine’s inside, fascinating. It came with two exhausts (each on one side) even though it was single cylinder motorcycle. 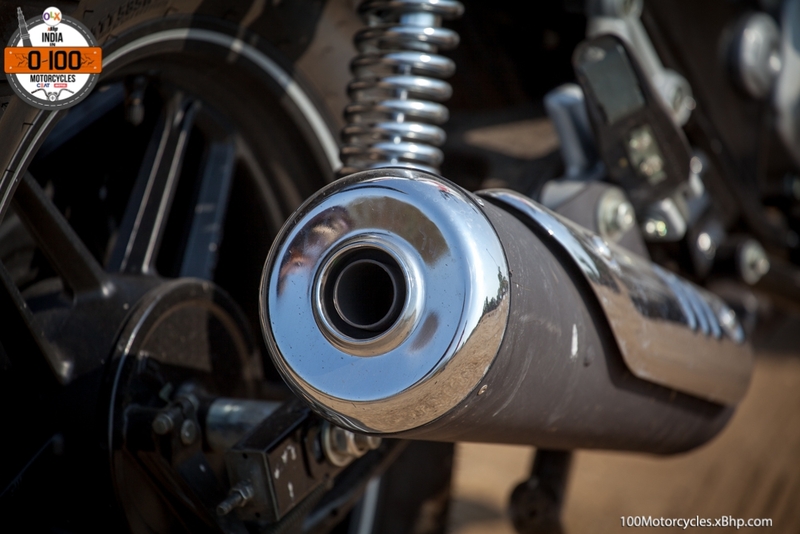 The exhausts are angled up like in a Scrambler type of a motorcycle. 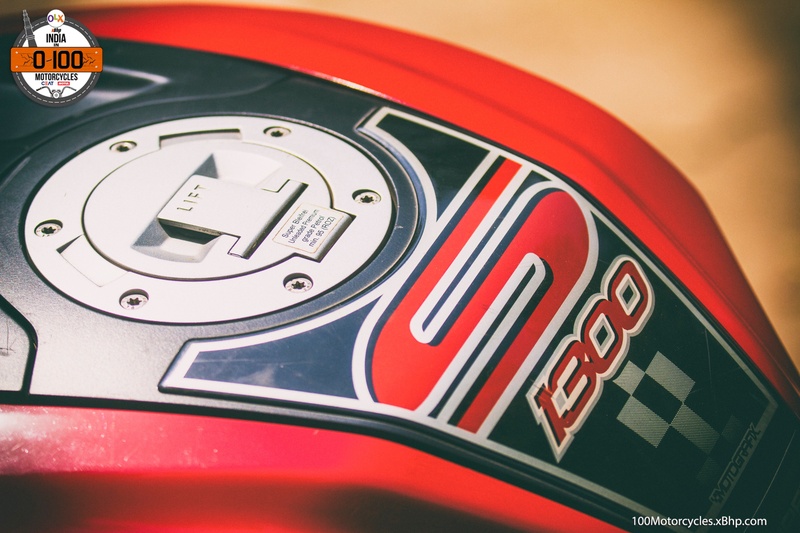 Since it was a racing model, the headlight could be easily removed to place the racing number plate. Also, there are adjusters for the front suspension with the most basic of settings you could imagine at that time – soft and hard – simple. 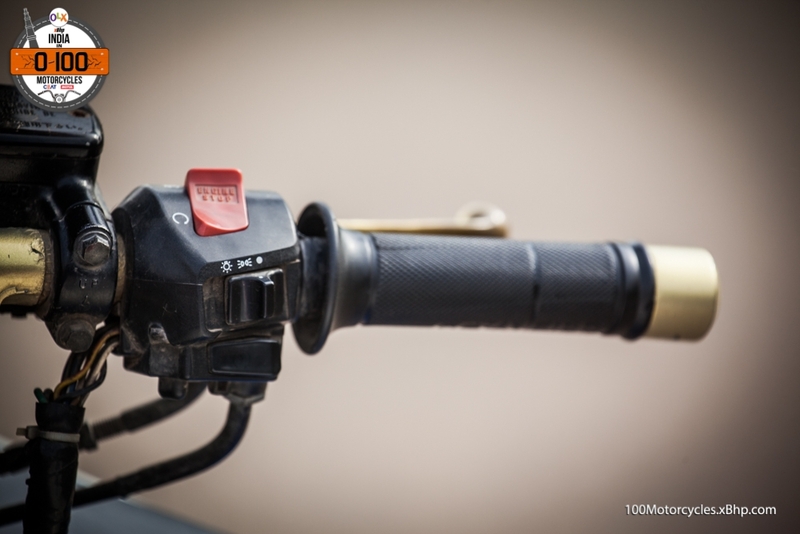 Riding a motorcycle like the Tiger 70 is very tricky for people like us and potentially dangerous as well for the fact that it has a hand gear shifter. 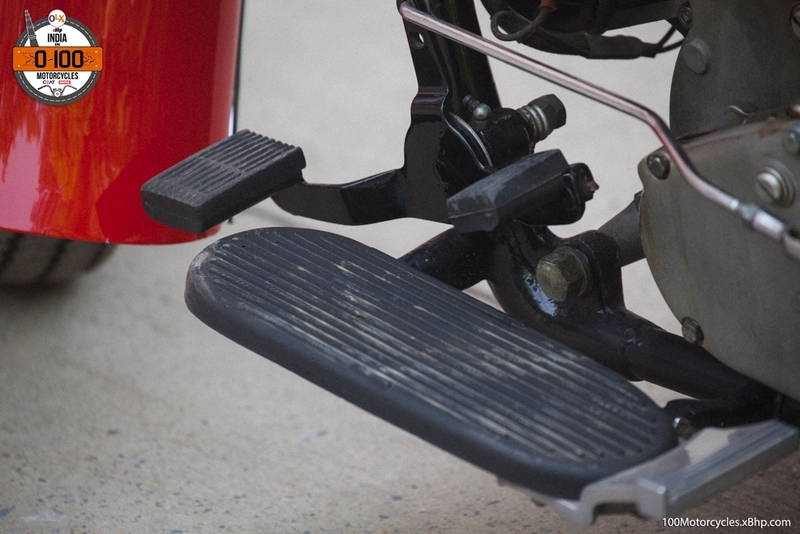 While we won’t argue if it’s easy or difficult to operate but it’s definitely not as fuss free as a conventional foot shifter that is on the correct side (left). It is also highly distracting. The age old engine was good enough to produce around 16 BHP of power at 5,800 RPM which wasn’t bad for its time. It is said to have a top speed of nearly 105 km/h. 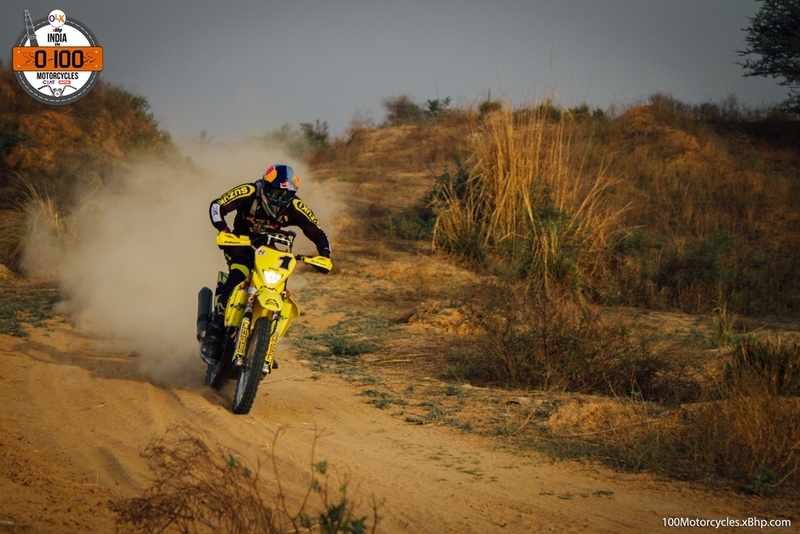 Tiger 70 demands lots of concentration while riding. There are no two ways about it. Hand shifter alone makes things ultra complicated and the whole riding experience completely different. 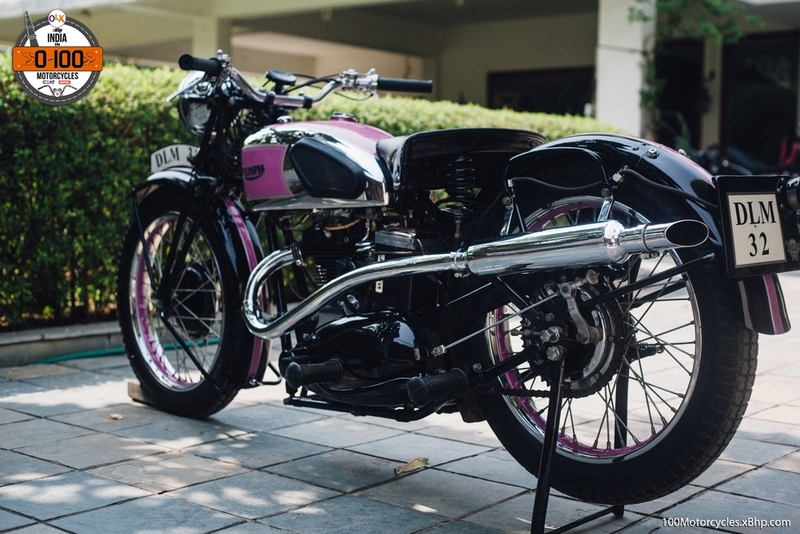 It is a proper period motorcycle if you ask us. Everything from the design to the mechanicals will take you to an entirely different time. Today, look how the Tiger has become, totally unbelievable! We would sincerely like to thank Mr. Gurmukh Singh for giving us the time and the opportunity to have a glance at his Triumph Tiger 70. 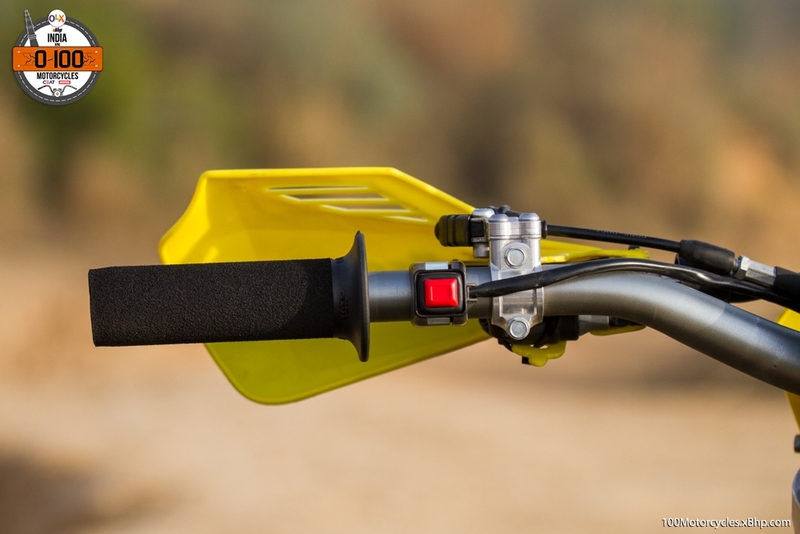 Find a used Suzuki bike on OLX. Why did we really choose this one? 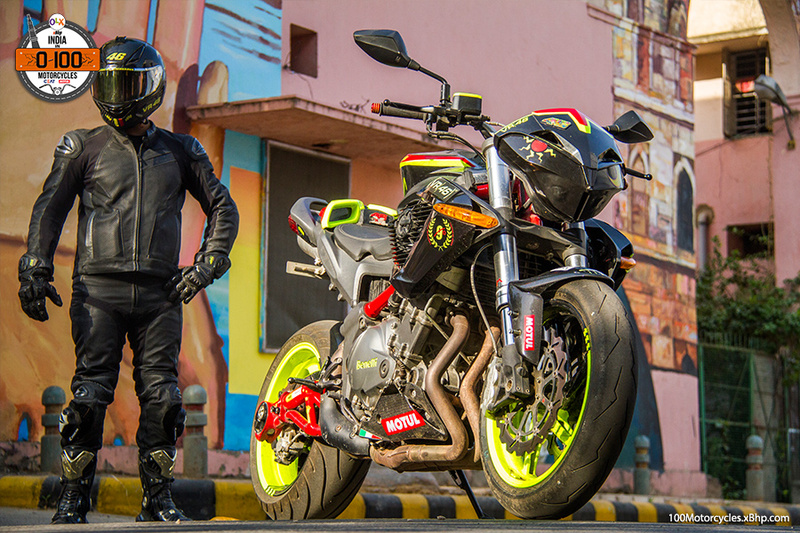 We already covered the TVS RTR 300 FX, so, why a Suzuki RMX now? 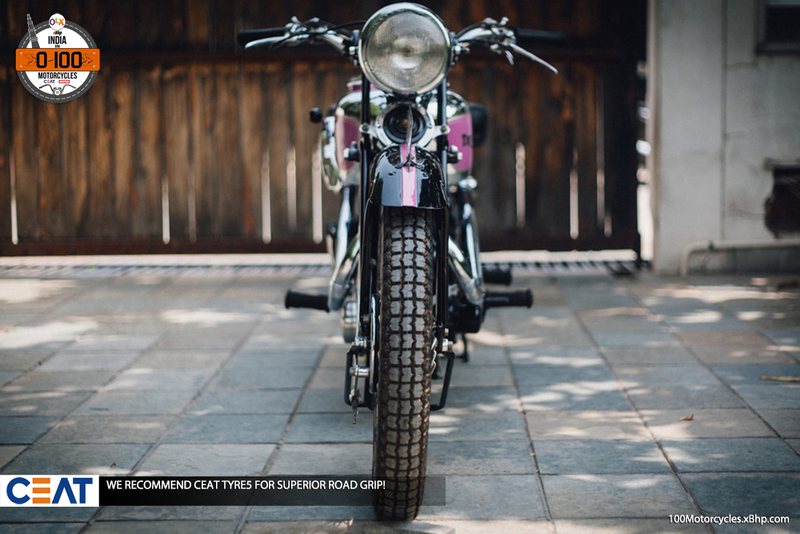 First of all, these two are different motorcycles even when they might look more or less similar. 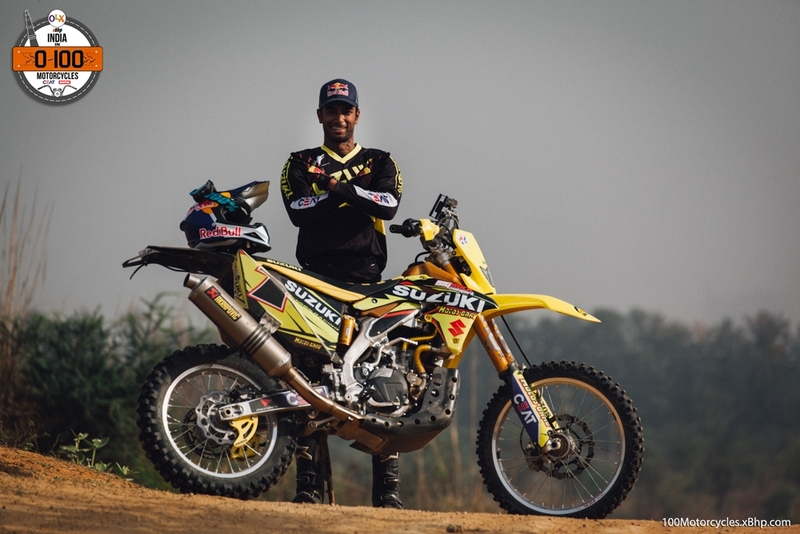 Secondly, While the RTR 300 is an Indian product ridden by an Indian rider, the Suzuki RMX 450 has been used by India’s number 1 rally racer, CS Santosh. 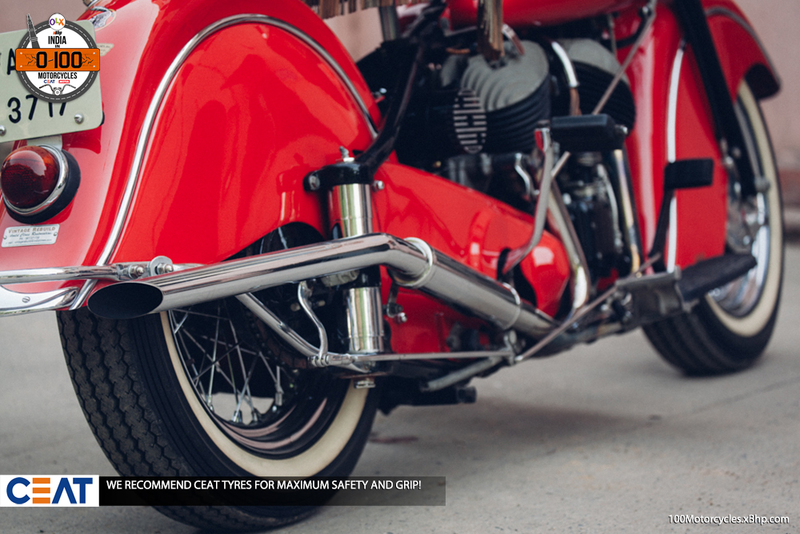 Reasons big enough for us to give this motorcycle attention. Running short on budget? 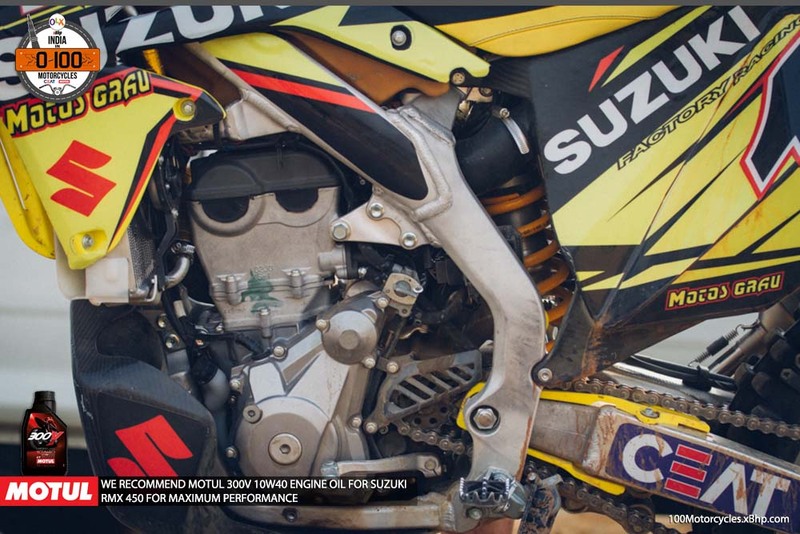 Find your favourite Suzuki bike on OLX. 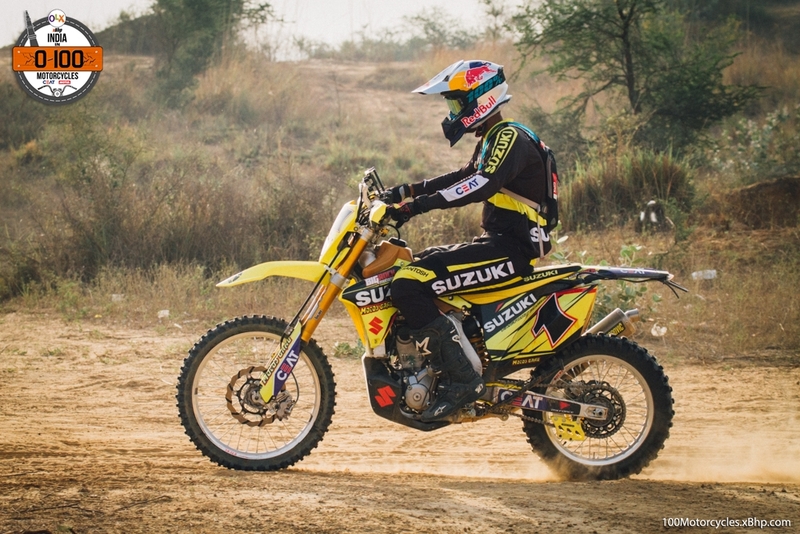 Our man CS Santosh won the 2015 Desert Storm on this motorcycle and also participated in the grueling Dakar Rally in 2016 with Suzuki. 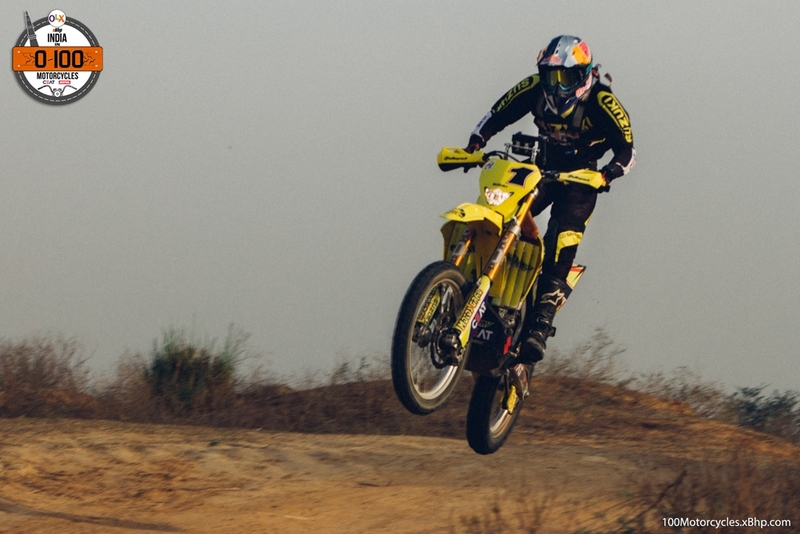 Unfortunately, he couldn’t finish the rally due to certain technical issues. 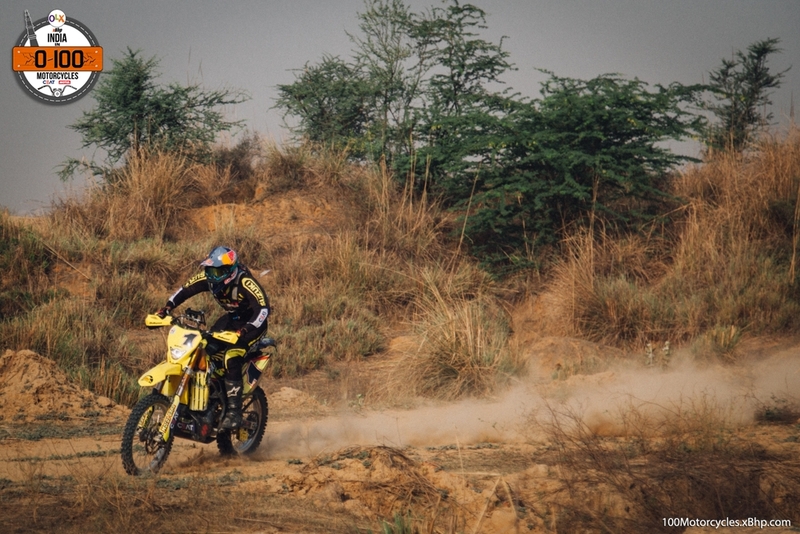 What this tells us about the motorcycle is that it is not your conventional dirt or a Motocross bike, it is a far more capable machine which is designed to run on possibly the most challenging terrains in the world (off-roading could be an understatement) nonstop for hours challenging both man and machine. 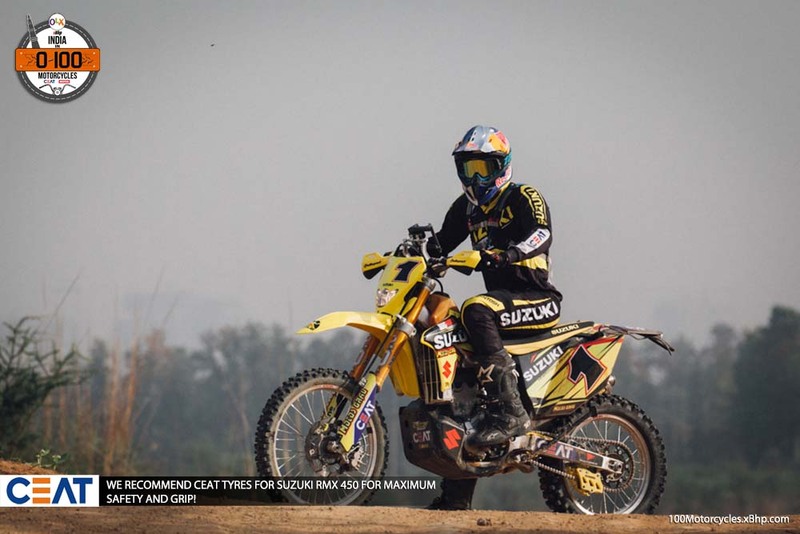 Motorcycles like this one are some of the most purpose-built motorcycles in production and there are some key differences between an Enduro motorcycle, as in Suzuki RMX 450, and a Motocross bike. 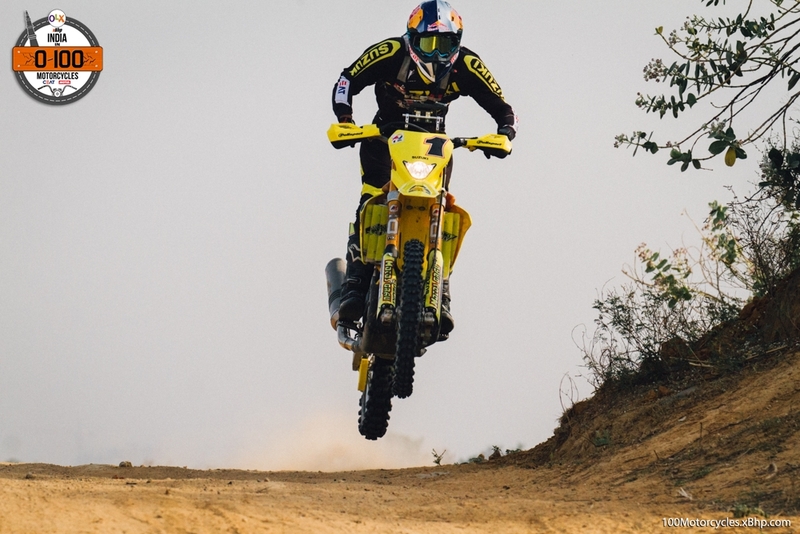 The RMX 450 is based on the RM-Z450 featuring the same engine with modifications that affect (increase) low to mid-range torque and revised 5-speed gearing. There is also a separate coolant reservoir tank so that the engine performance over grueling tarmac remains consistent and reliable by not getting overheated. The chassis is a twin spar unit, lightweight and made of aluminium alloy. It is made with both cast and extruded technology to employ both of their benefits. 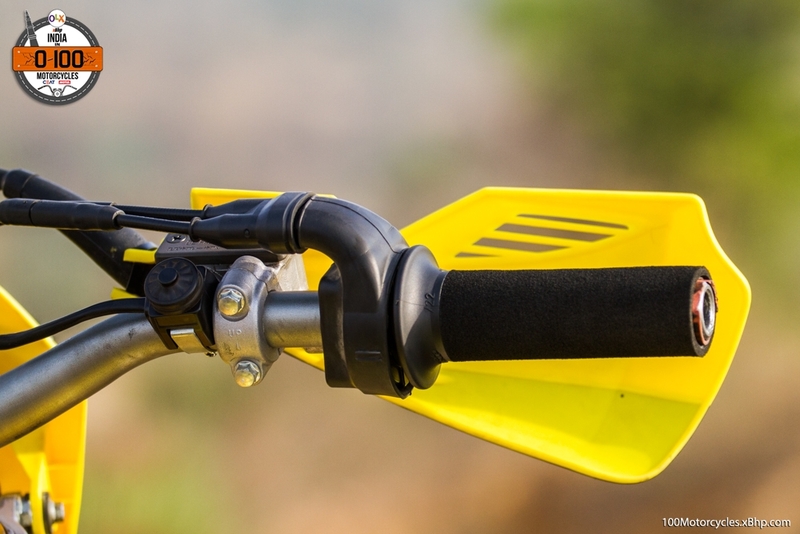 The aluminium alloy swing-arm is also derived from the RM-Z450. This gives the RMX excellent handling characteristics. Also, at the front, there’s a dedicated space which houses an ultra compact, but information rich, speedo console which can be considered for two modes – standard and sport. 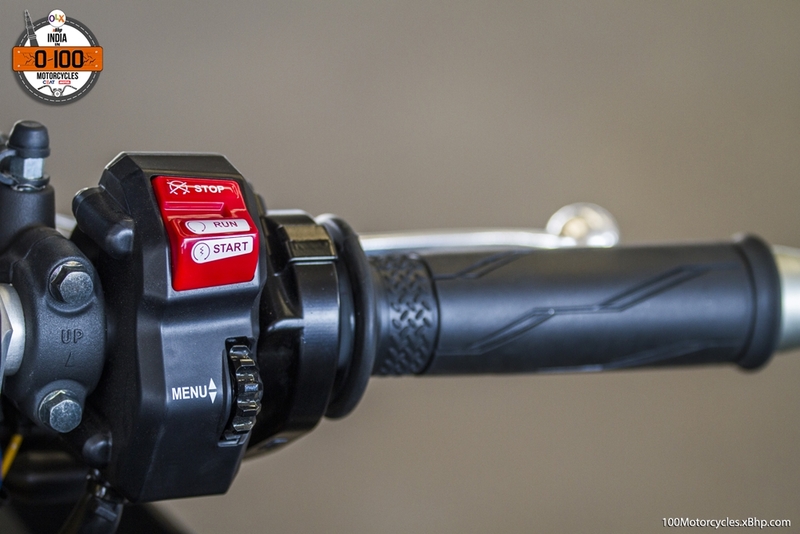 While the Sport mode displays Timer, Average Speed, Tripmeter and Tyre Diameter correction, the Standard mode displays a slightly different information with Speed, Time, Two trip meters and Voltage. 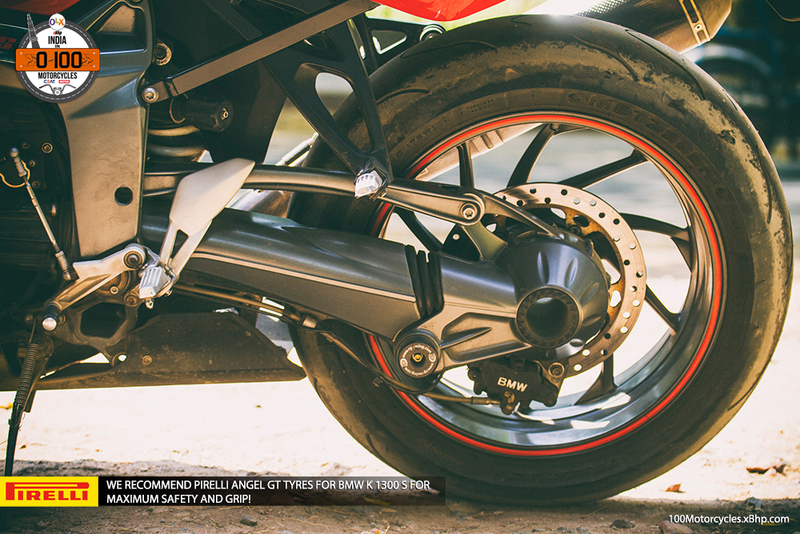 On a special note, the tyre diameter allows for precise monitoring of the speed and the distance. 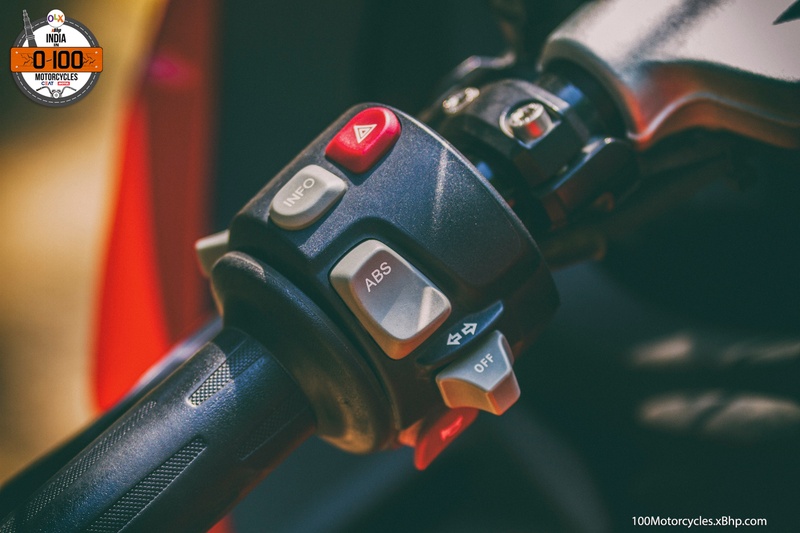 Lastly, the RMX 450 comes with both the kick start and the electric start so that the rider will always have one of the ways to start the motorcycle thereby avoiding the situation of push-starting the motorcycle. This particular RMX of CS Santosh also has a larger fuel capacity of 17 litres. 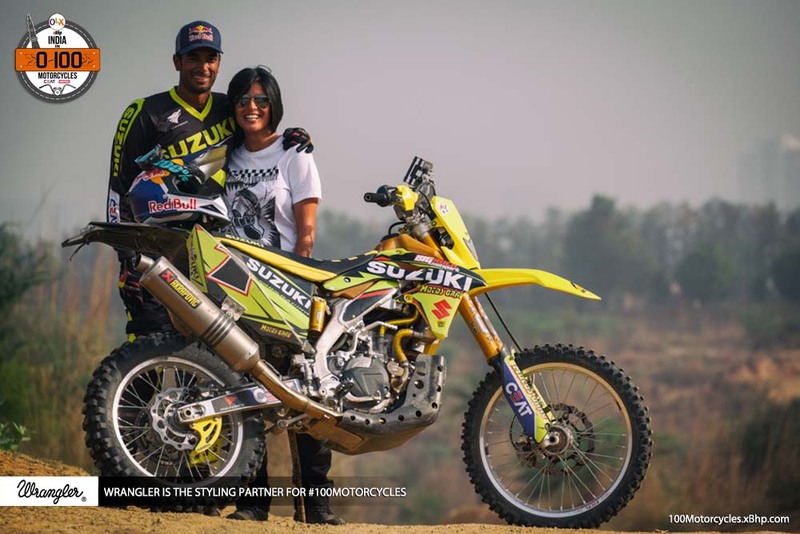 Clearly these motorcycles are not sold in India, but as we can see with professional racers like CS Santosh and Aravind KP, there can be a good future of such motorcycles in India. Who knows, we might have more people into such sports if these motorcycles are actually available for people to buy and experience them. As of now, one of the only few places that can bring any luck for someone looking to buy such a motorcycle is OLX. So try it out. 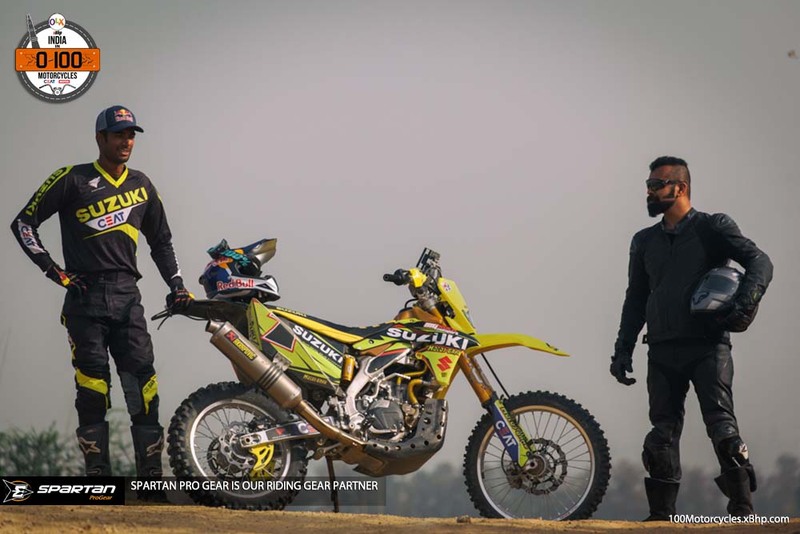 And last but not the least, we would like to thank CS Santosh for spending is valuable time for us and giving a good peek into his own career and the motorcycle. 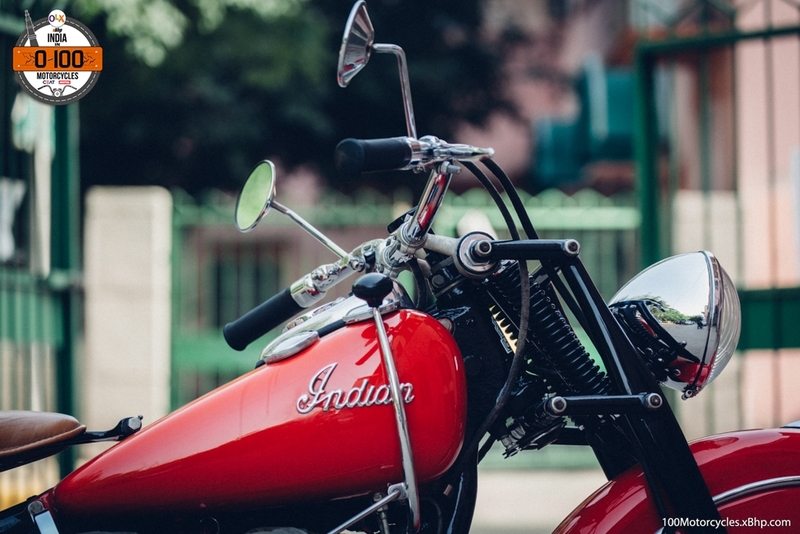 Buy a used Indian motorcycle on OLX. 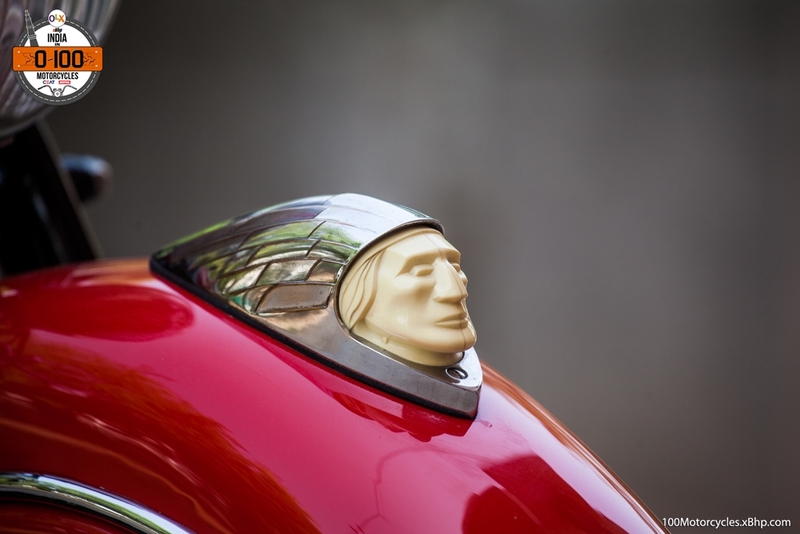 For anyone who is unaware, the ‘Chief’ isn’t a new model in the Indian’s motorcycle lineup. 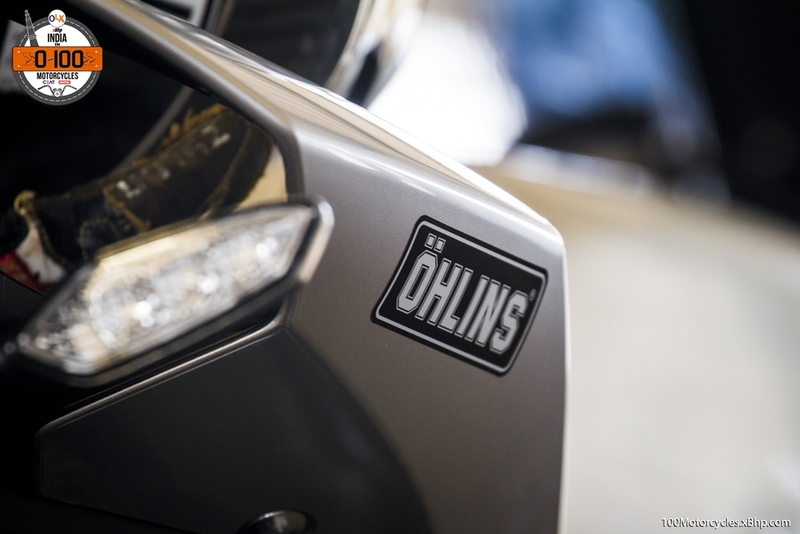 It is being made since 1922 even though it has been revived in 2014 with an all-new 1811cc V-twin engine under the extremely fruitful ownership of Polaris Industries. 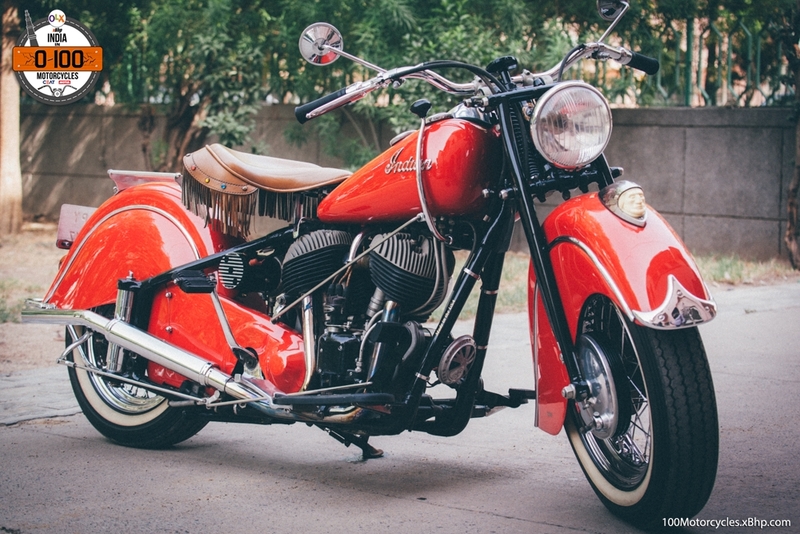 This remarkable event occurred in 2011 when the American company, Polaris Industries (renowned for making All-Terrain Vehicles), bought another American company, Indian Motorcycle Company, to revive America’s oldest bike brand. The rest is history. Now that we have acquainted you with the recent history of the marquee, let’s go a bit deeper into the Chief’s past. 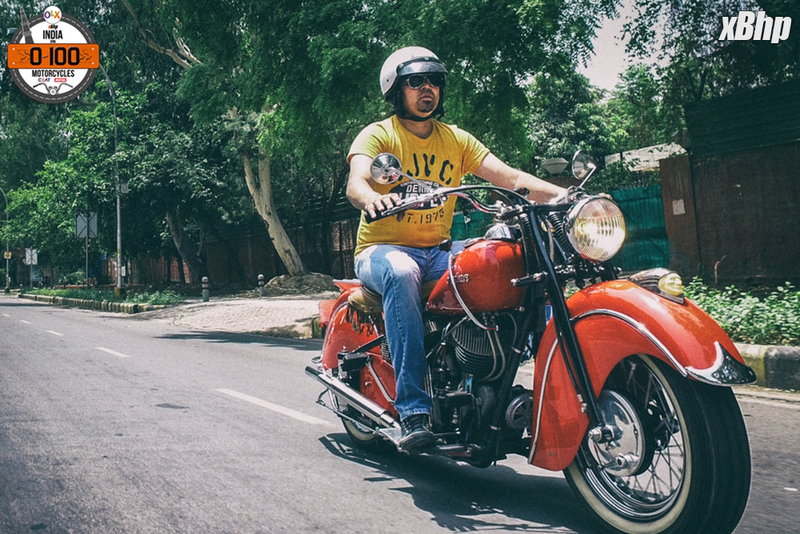 Made since 1922, the Chief is one of the two most popular motorcycles built by Indian. The other being Scout. 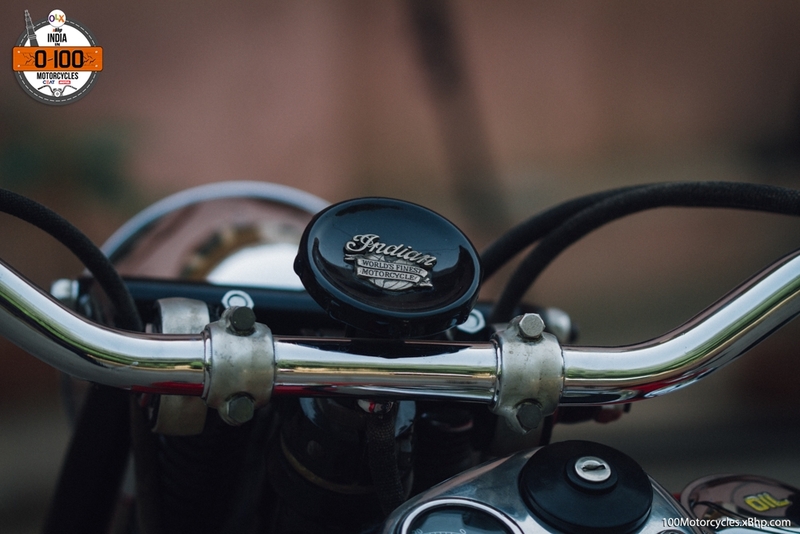 And if we delve a bit deeper, Chief, in essence, is not just one motorcycle, it is a lineup of motorcycle (Chief Classic, Chief Roadmaster, to name a few). 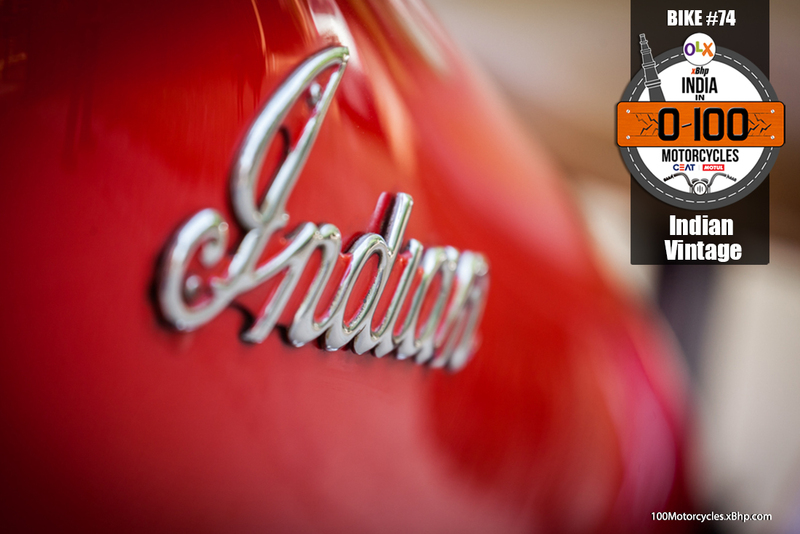 This time, we are talking about the bare bone cruiser which is only called – Chief. 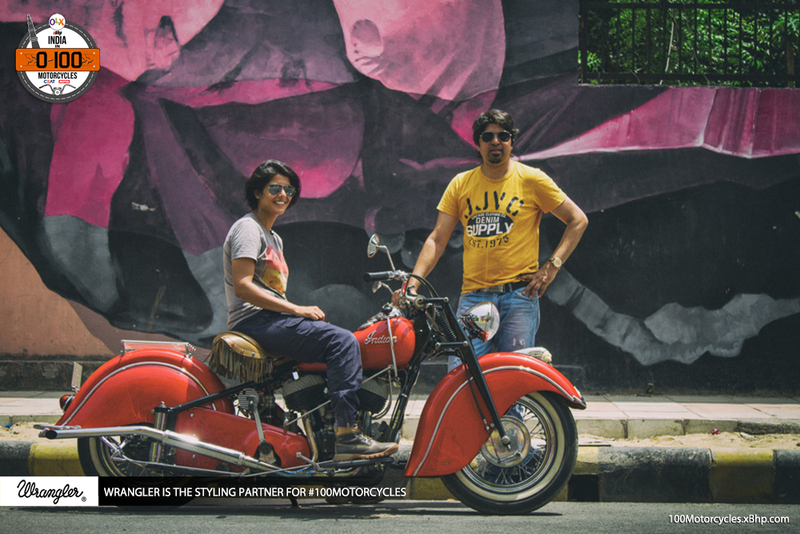 A look at the Indian Chief will make you realize that this is the design which has gone to define how a typical cruiser should look like – wide-swept single-piece handlebar, a basic round headlamp, a seamlessly styled fuel tank which is wide at the front and narrow at the opposite end, a seat which rests the whole bum of the rider and lastly, an absolutely circular rear wheel fender to finish off the smooth looks. All this is supported by the spoke wheels. 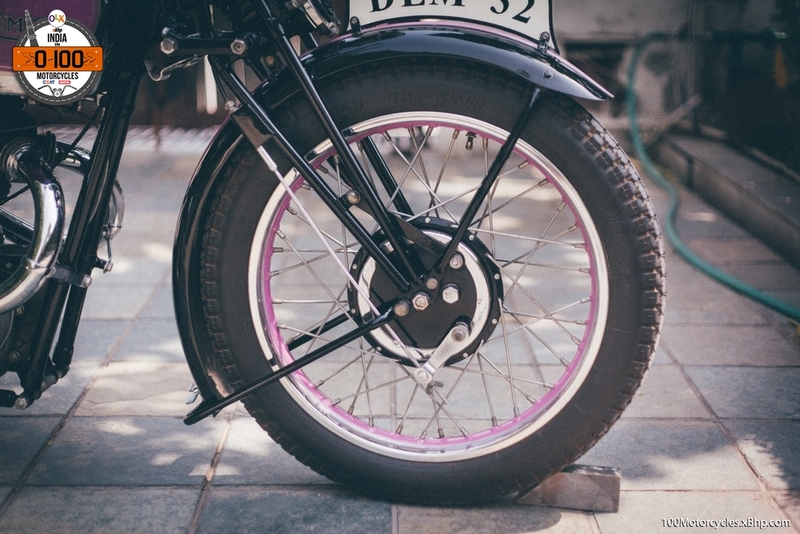 It is a conventional laid-back design offering the without-a-worry-in-the-world riding stance. It’s comfort written all over it. 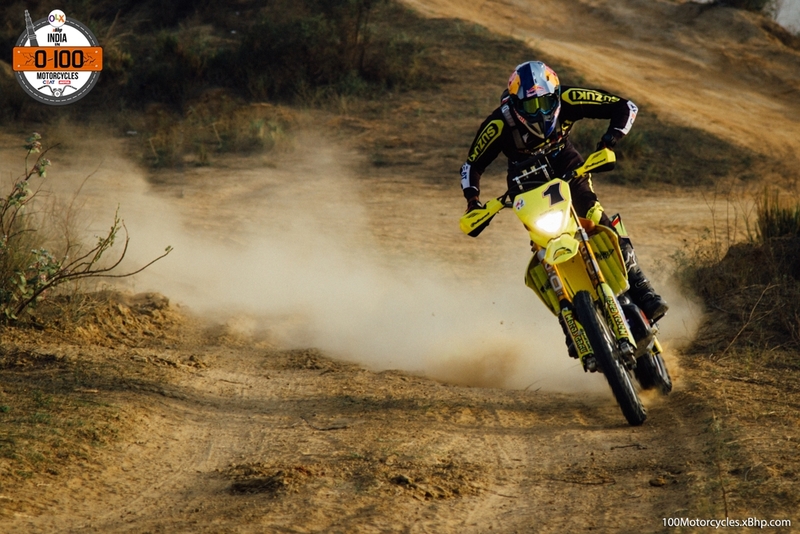 A motorcycle like this is meant to be ridden with all the time in the world. It isn’t a speed monster and neither is it meant to take you to your destination in the shortest possible time. That is not the point of the Chief. 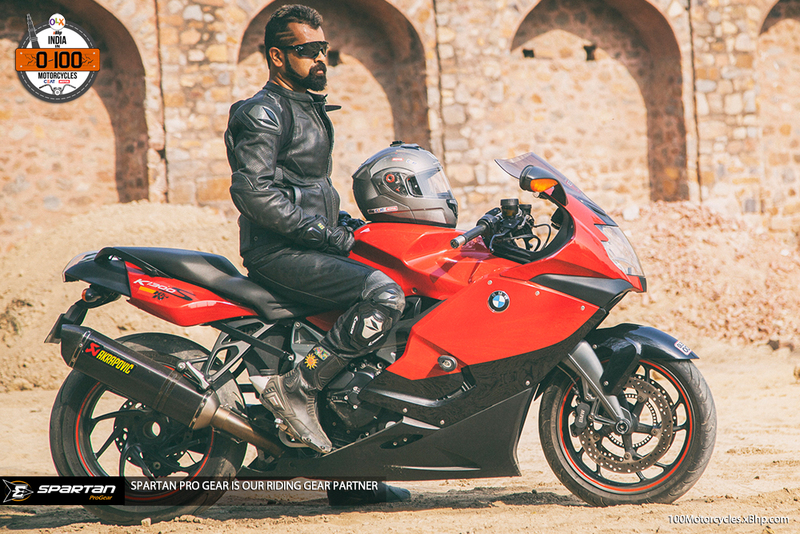 You ride it when you want to take in the whole atmosphere, every beautiful tree, nook and corner along your journey. It is about being at ease in life. You are not supposed to hurry on it, you don’t. Of course, why anyone should get these feelings is not really a rocket science. It is all possible because of the way they are designed to look and deliver the power. 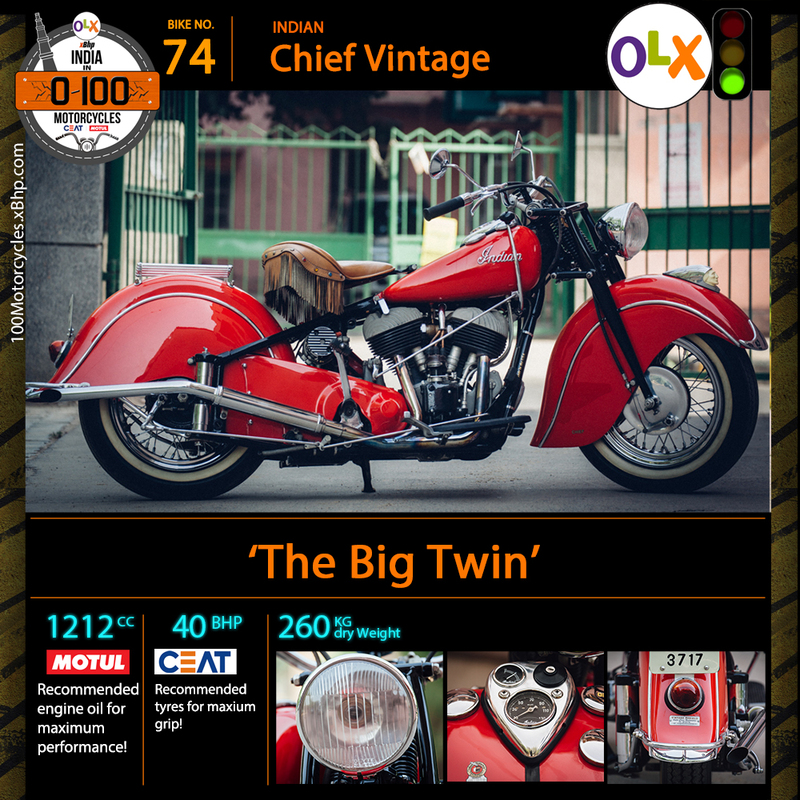 The Indian Chief is fondly called the “Big Twin” due to its 1200cc V-twin engine. 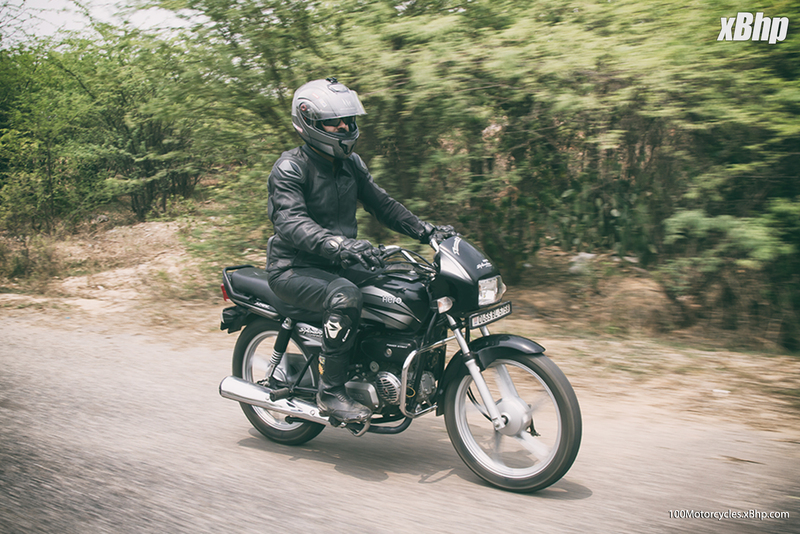 This old unit churns out around 40 BHP of power which is not much, but then, cruisers are more about effortlessly ticking through the highway. Time is not really a factor to consider. But this is all still common to the cruiser category. The Big Twin is a special motorcycle. 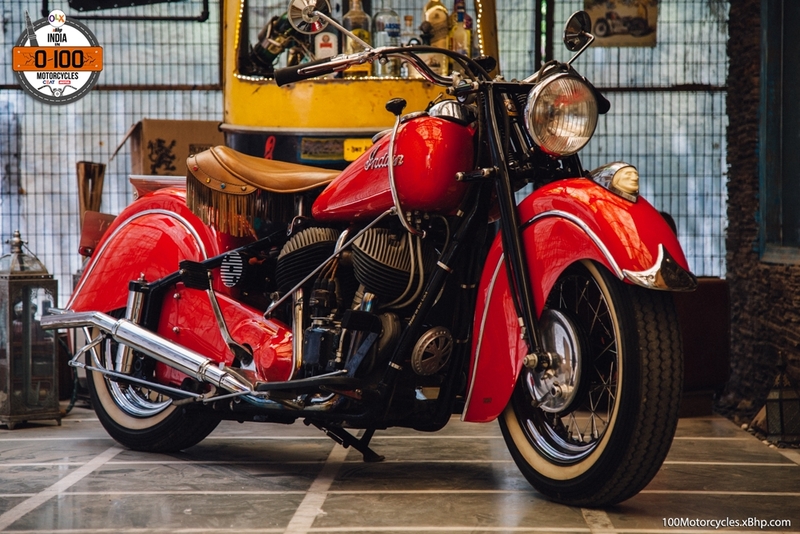 Indian has always had a unique style statement for their motorcycles with the valanced fenders at front and rear. 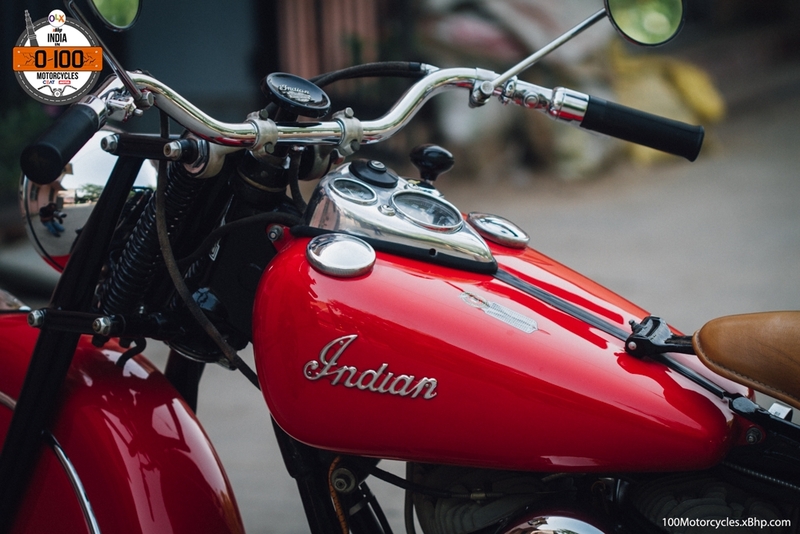 Then there’s the Indian mascot on the front fender which also acts as a parking light. 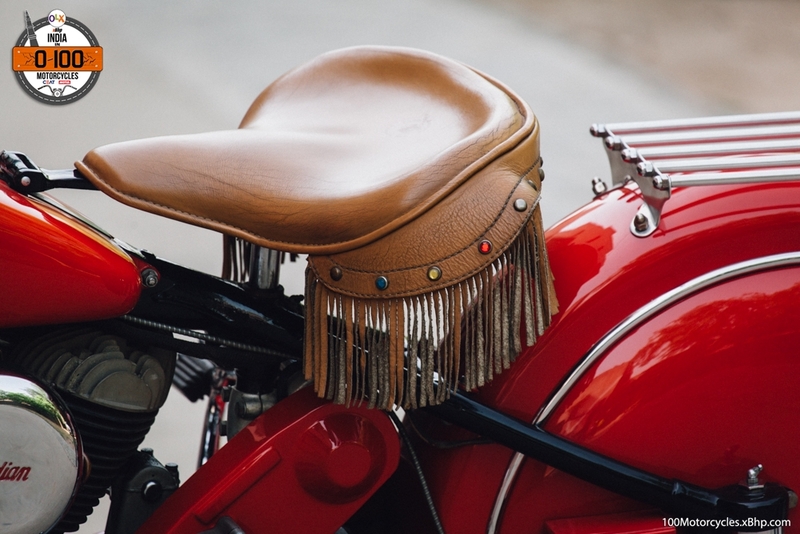 Lastly, this Indian Chief has a hand shifter and the foot clutch which is popularly called the ‘Suicide clutch’. Why? 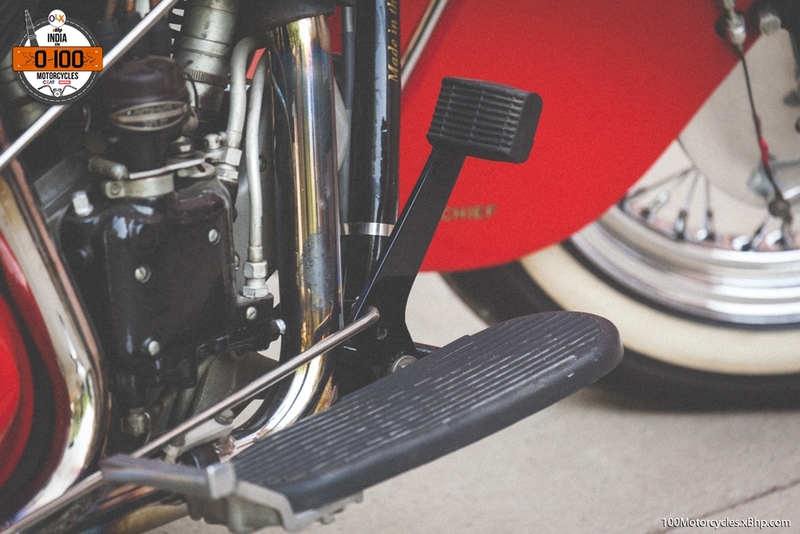 Because the foot operated clutch was never as smooth as the hand-operated clutch and the motorcycle always had a jerky motion ahead as soon as it was disengaged risking an accident. 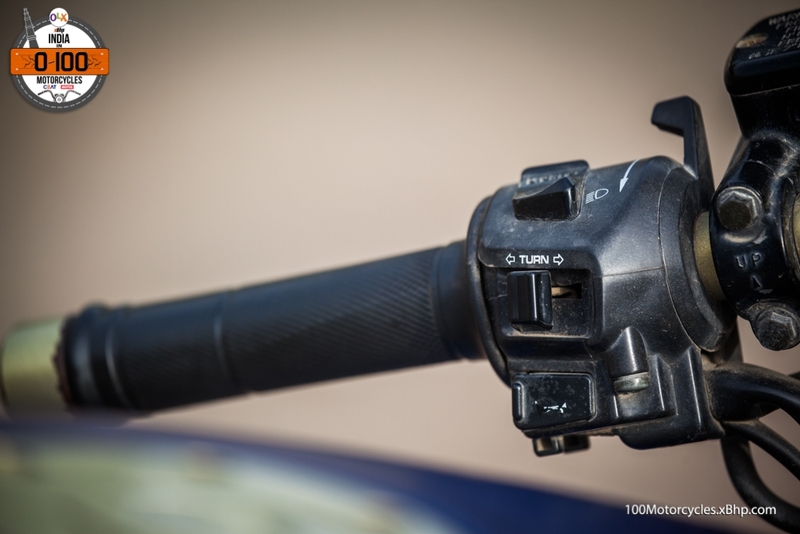 Also, the throttle was on the left side of the handlebar which was another completely opposite arrangement. 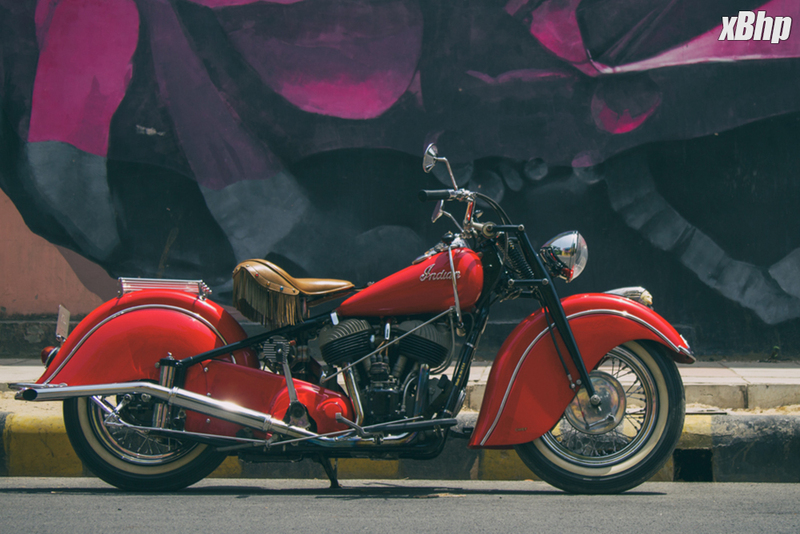 All this made the bike quite unfriendly to many people and even then, it is considered one of the most popular cruisers ever built by any motorcycle manufacturer. 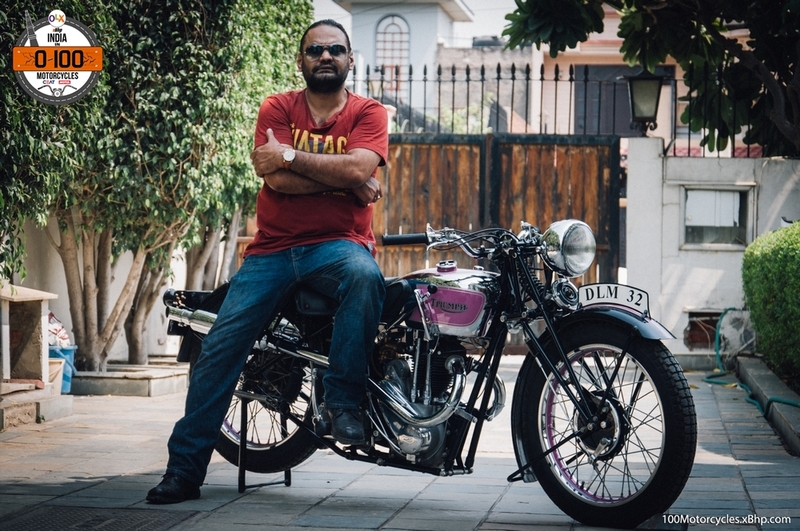 For our India in 0 to 100 Motorcycles project, we would like to thank Mr. Desh Deepak, who is the owner of this lovely piece of motorcycling history, for sparing his time for us.